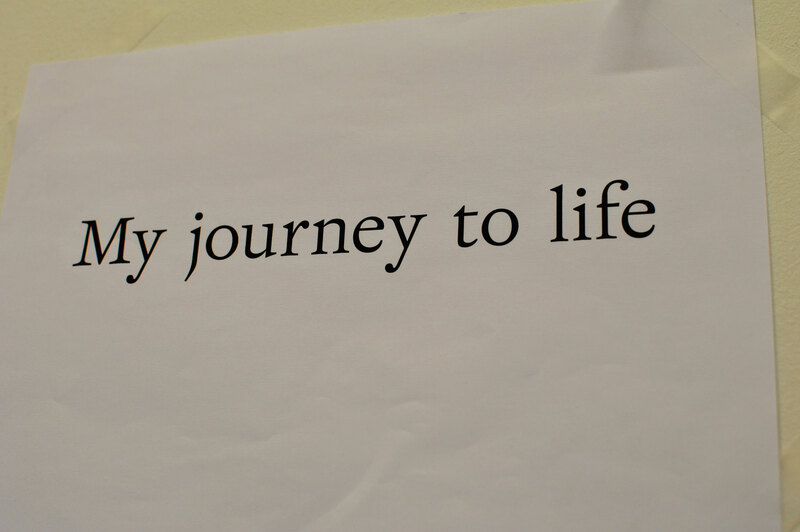 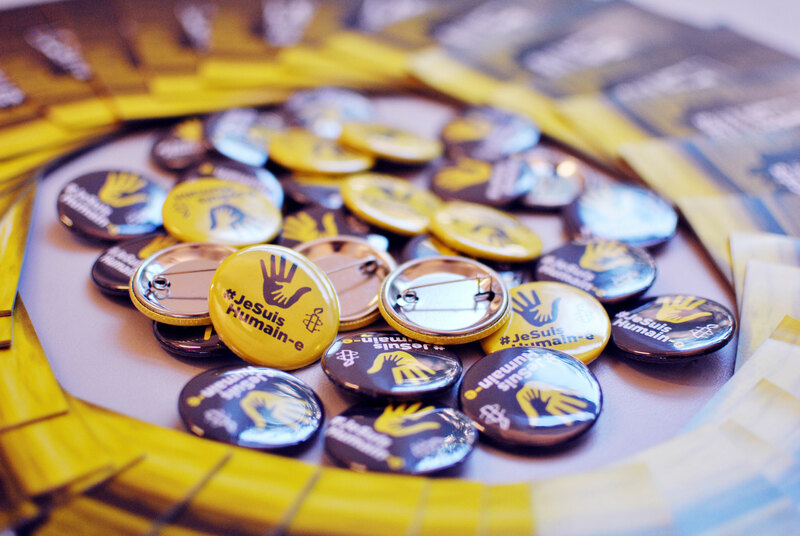 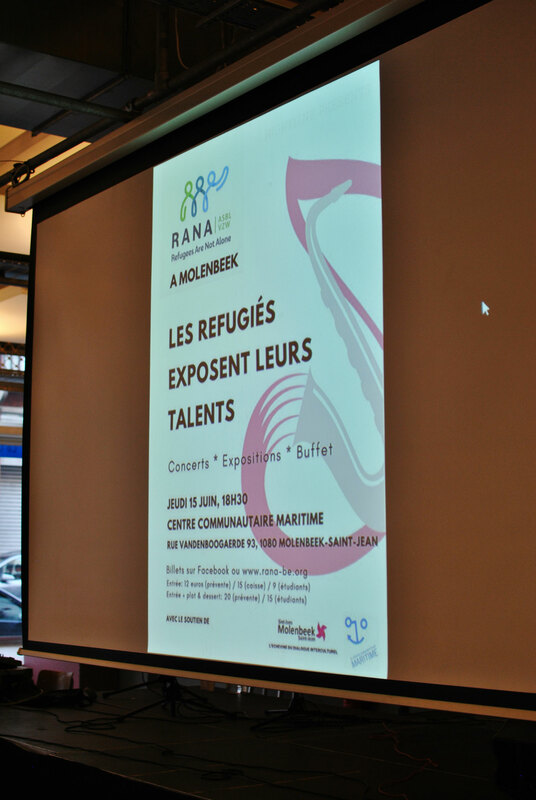 What we do - RANA - Refugees Are Not Alone ! 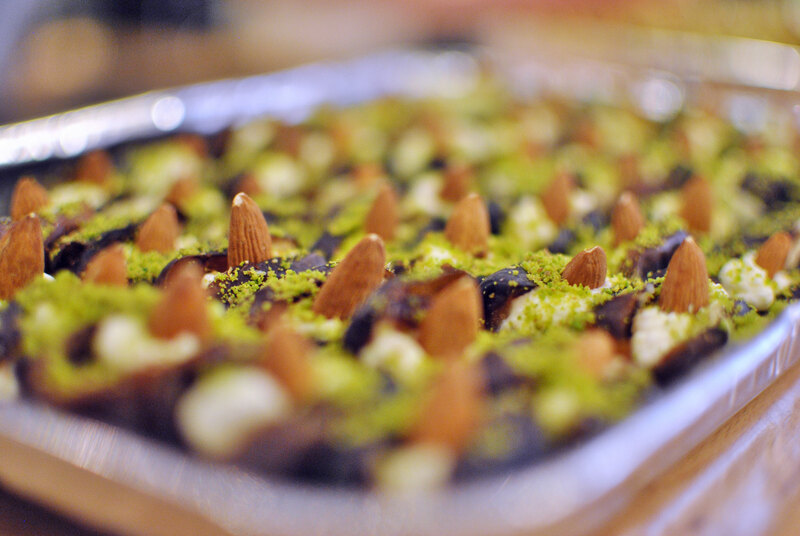 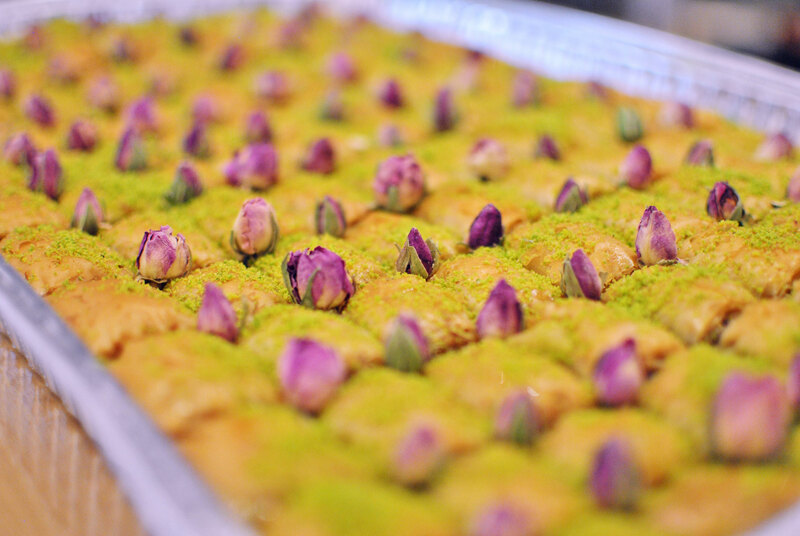 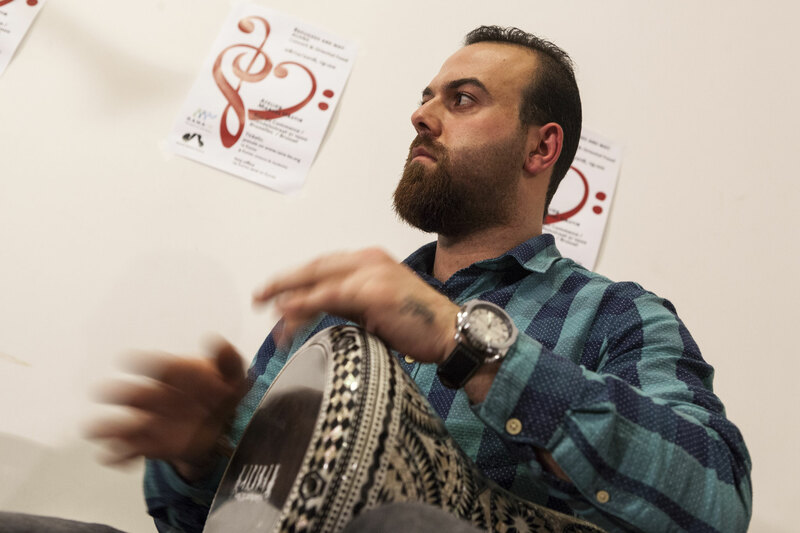 Evening event: concert by “Syrians Got Talent” and Middle-Eastern buffet (8-12-2016). 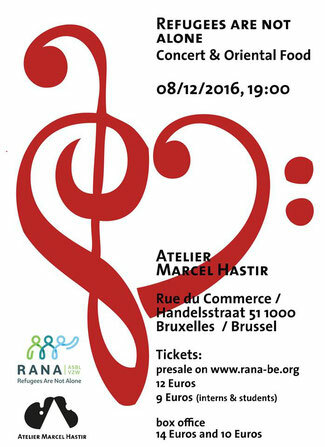 RANA (Refugees Are Not Alone) had the pleasure of inviting guests to a rather different soirée on 8 December at the famous house of the painter Marcel Hastir. 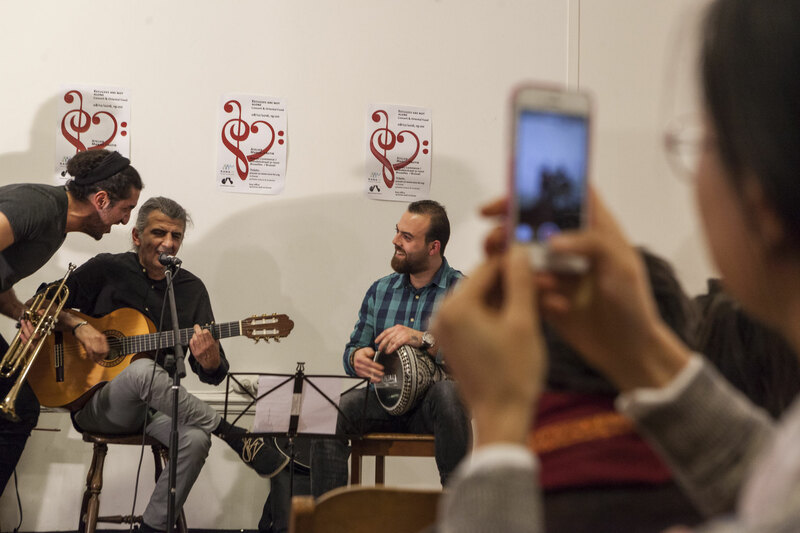 Syrians Got Talent, a group of Syrian refugee musicians in Belgium, played some of the great classics of Middle-Eastern music. 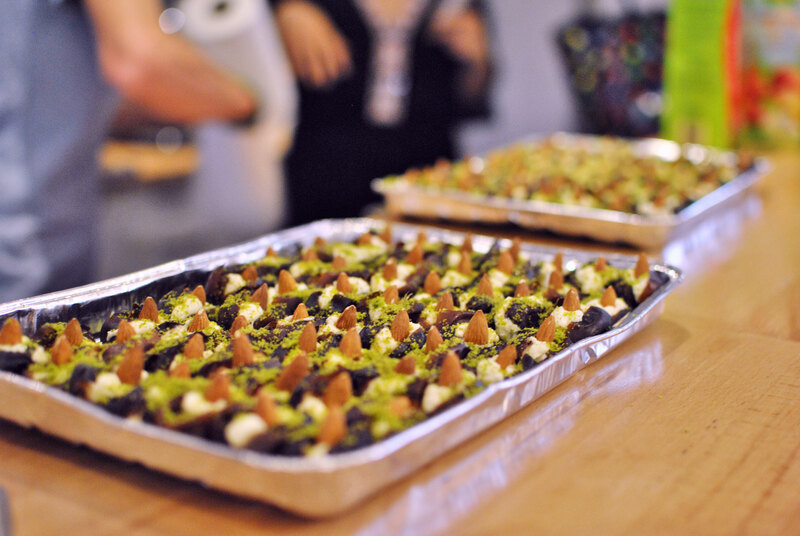 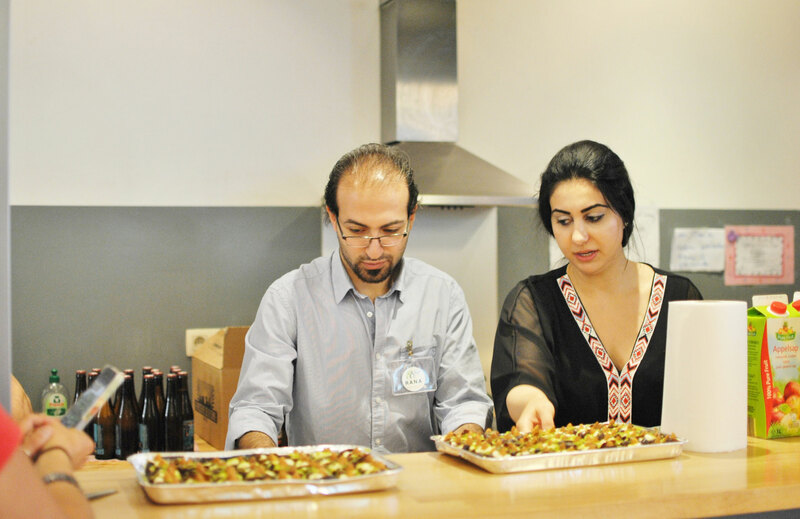 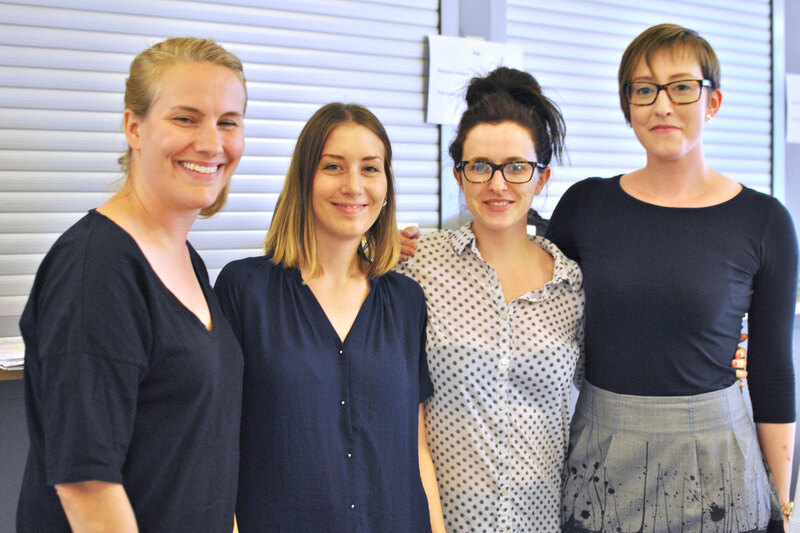 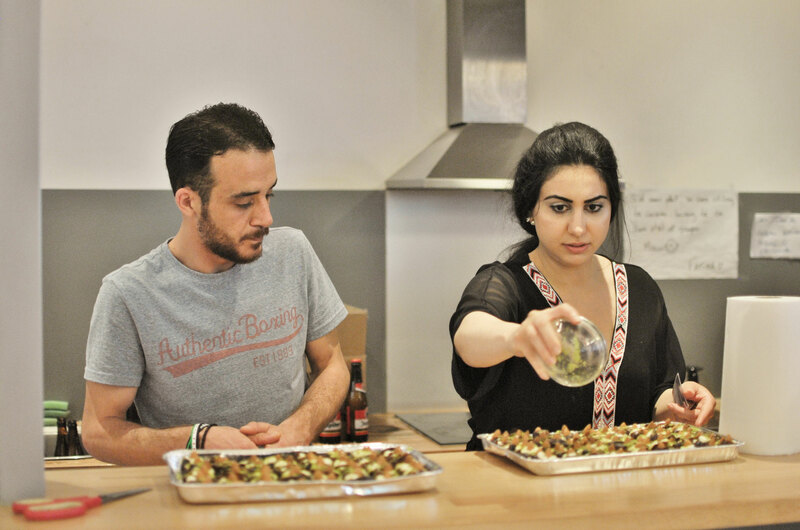 Expert cooks from refugee families prepared delicious food. 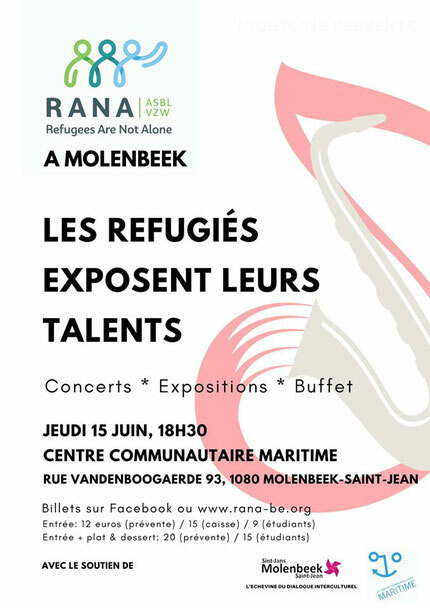 We discussed the immigrants’ positive experiences but also the serious problems facing these new arrivals in Belgium. 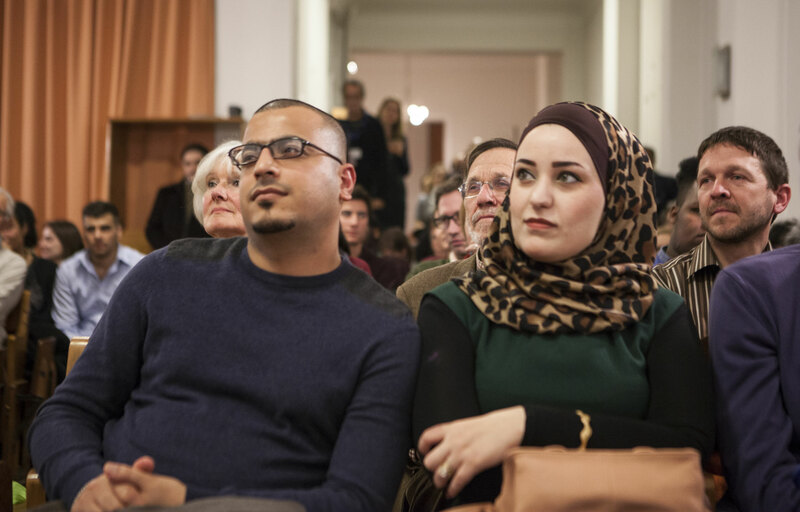 You can find some of the words and images from this event on cctvnews, a report which was shown again on other channels, such as umangtv (Pakistani TV). 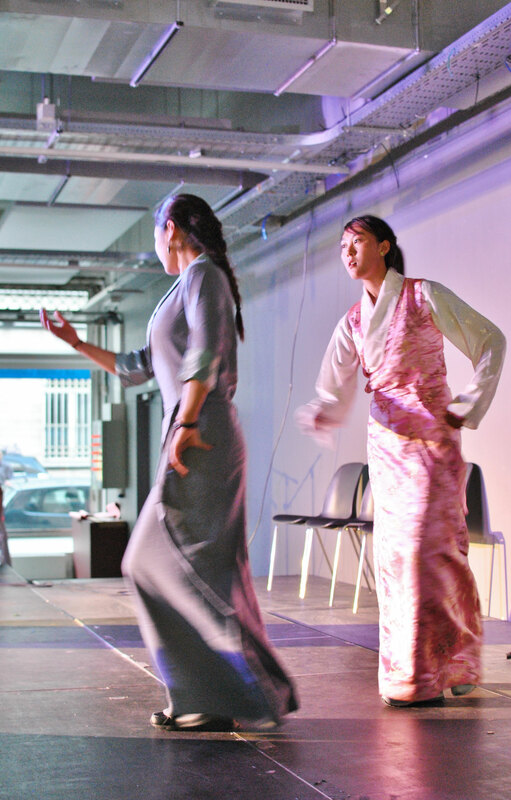 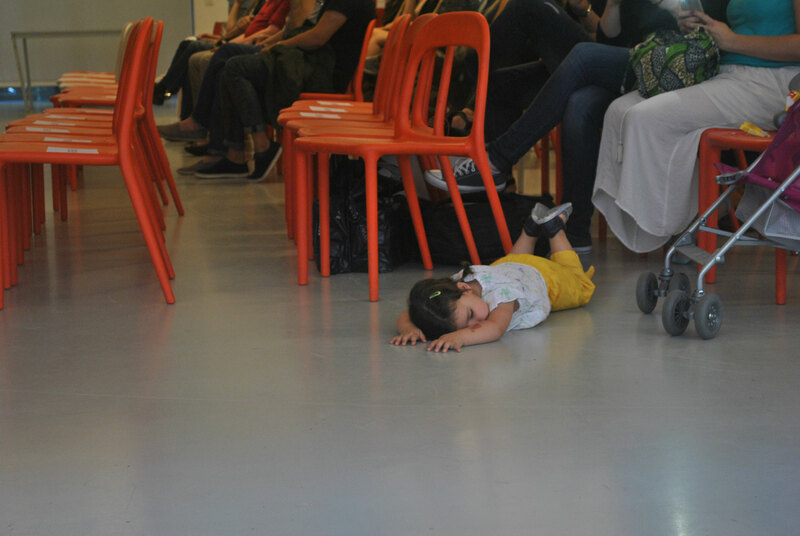 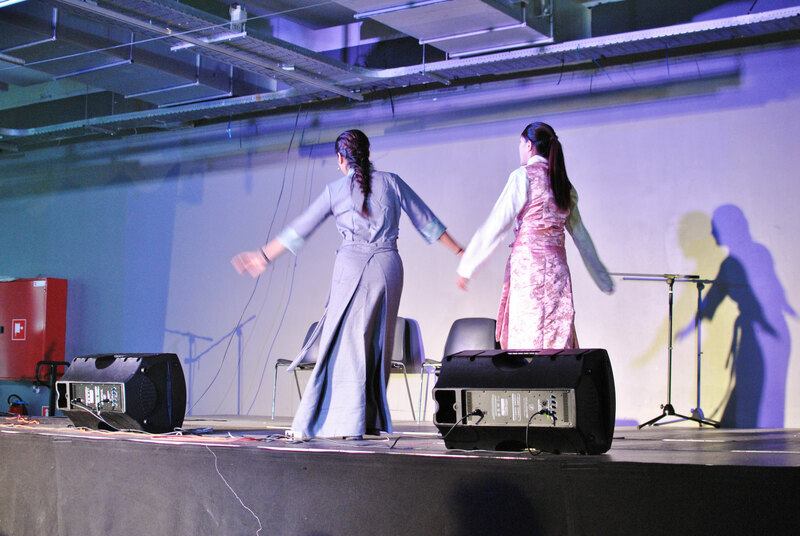 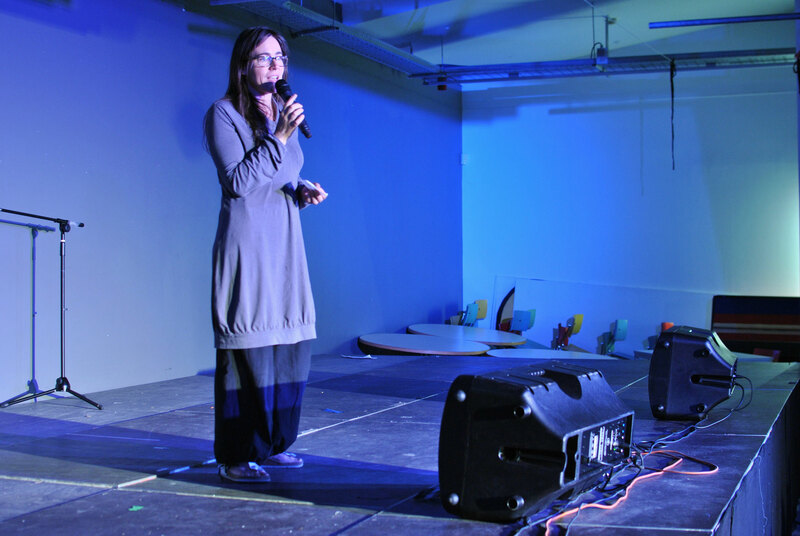 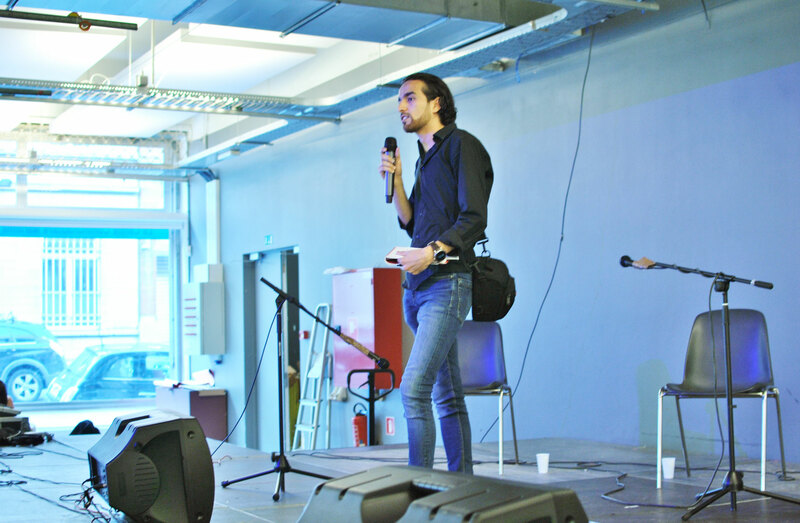 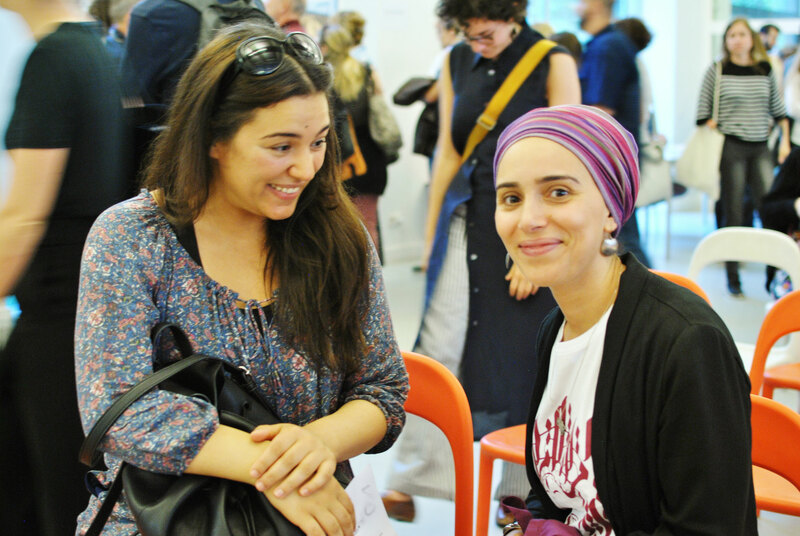 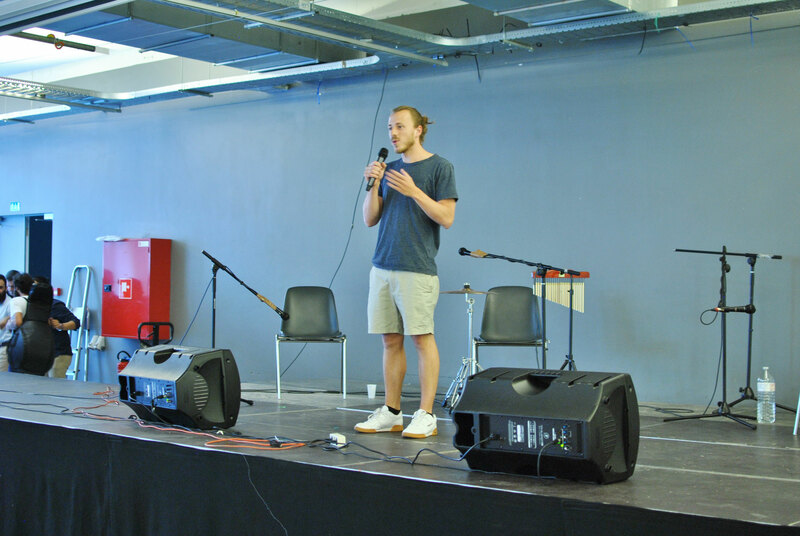 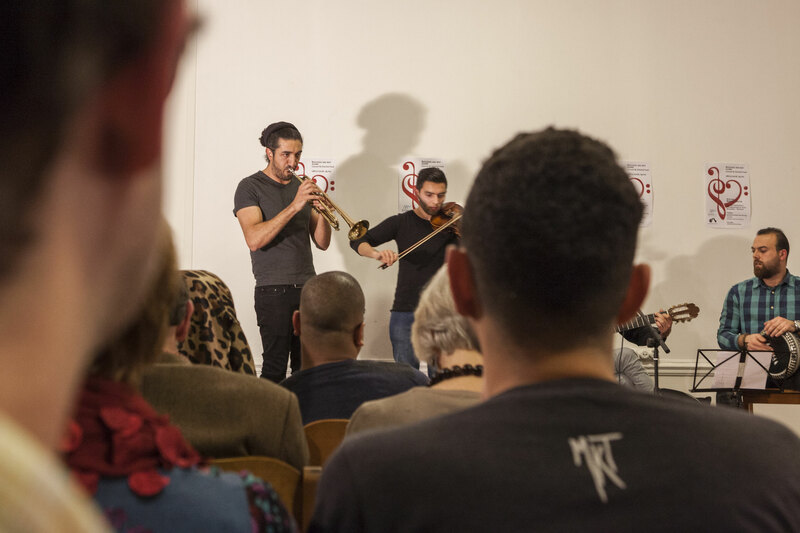 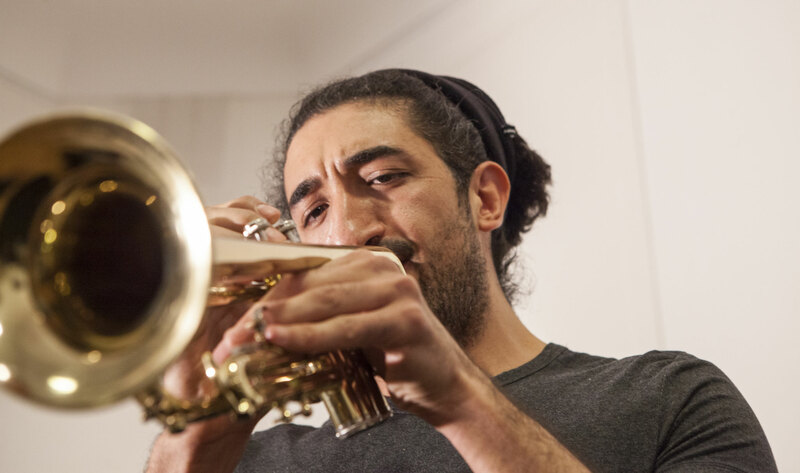 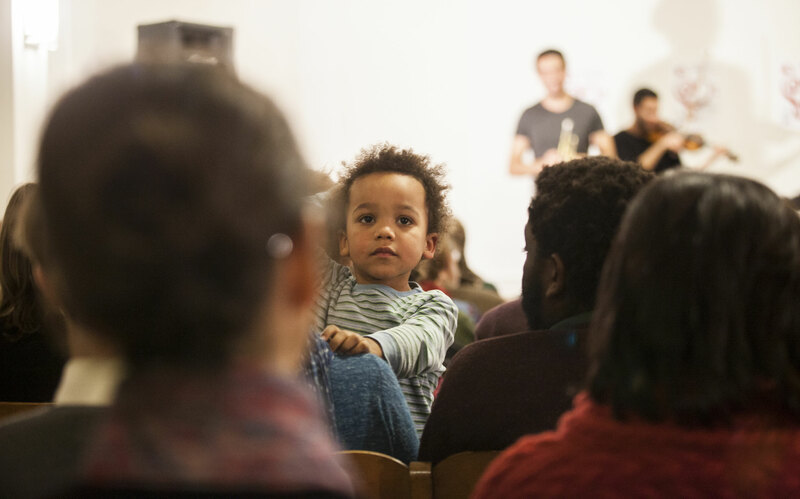 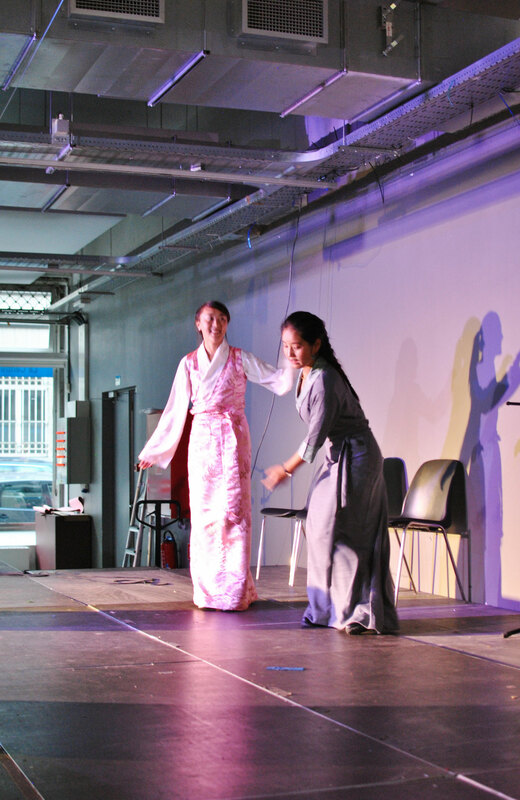 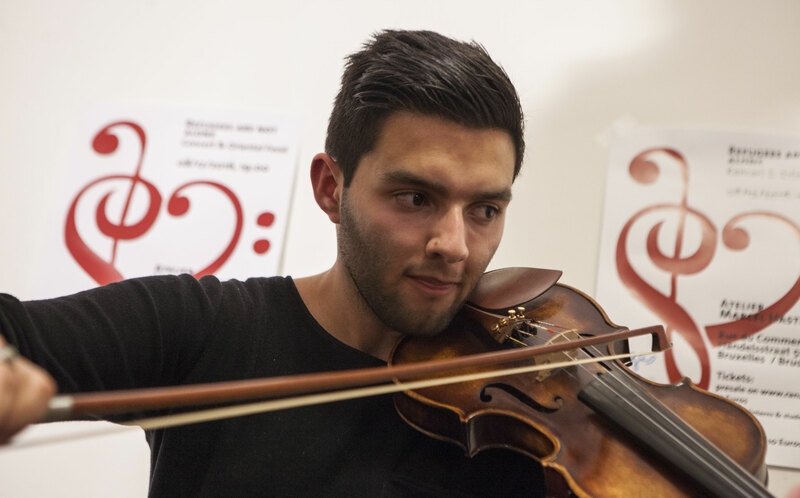 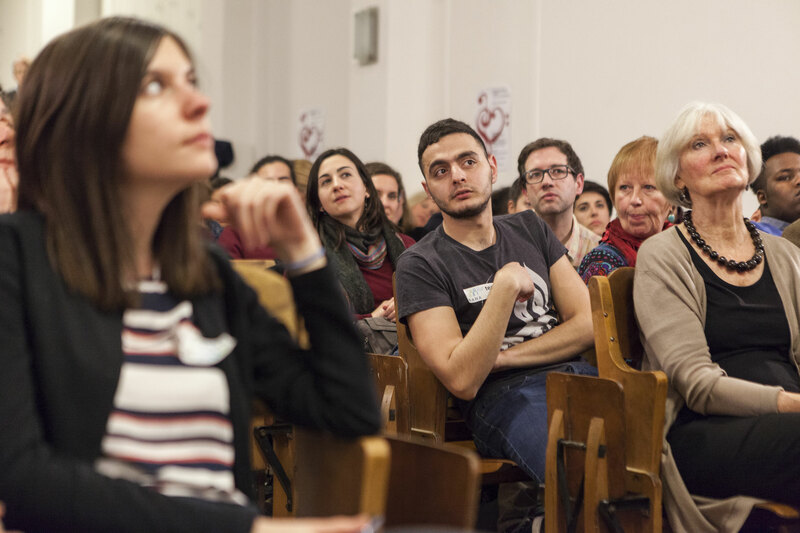 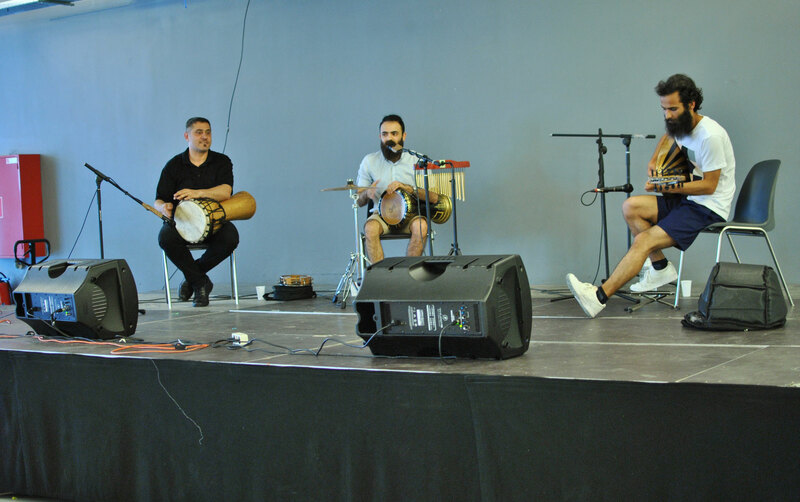 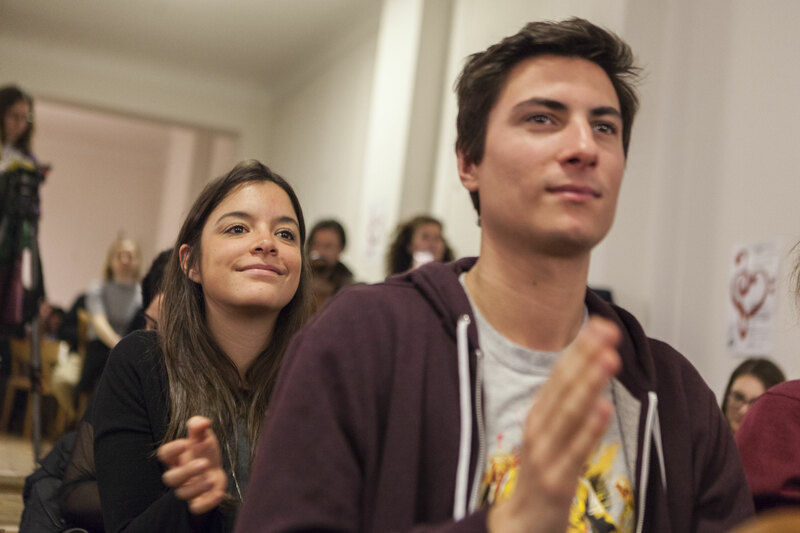 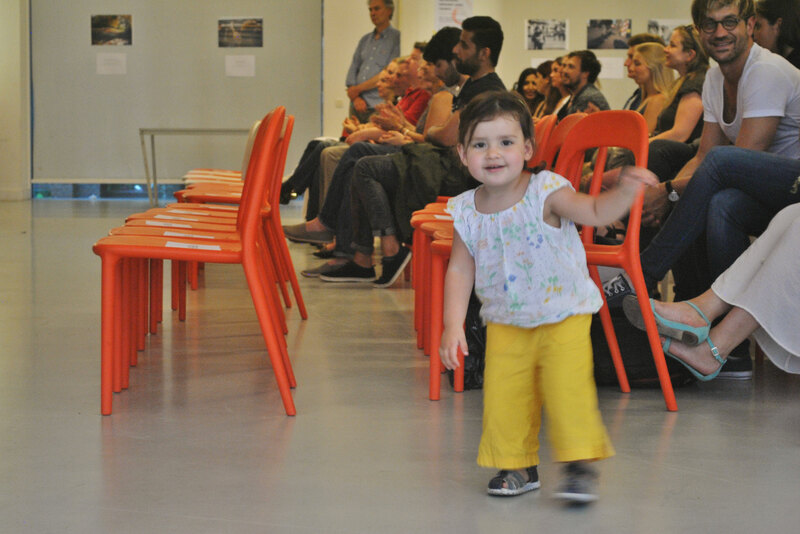 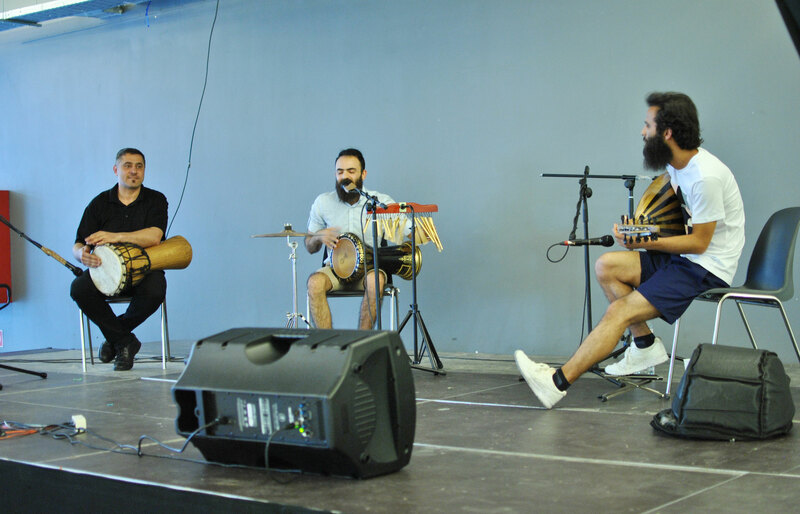 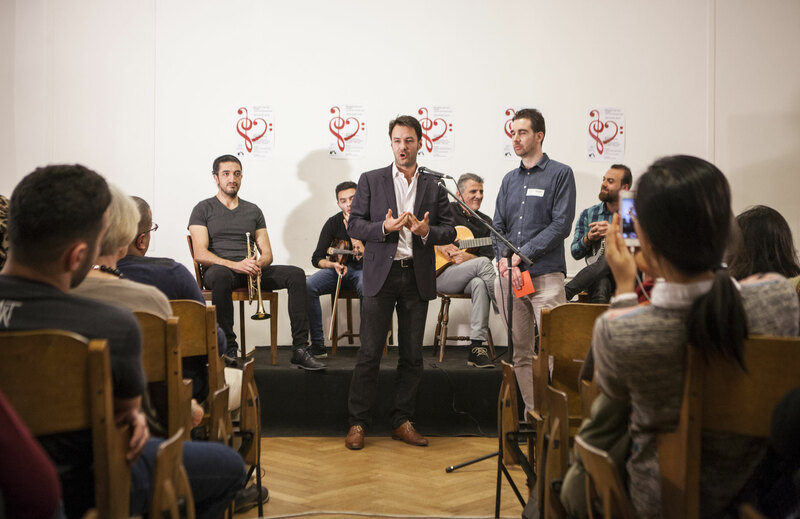 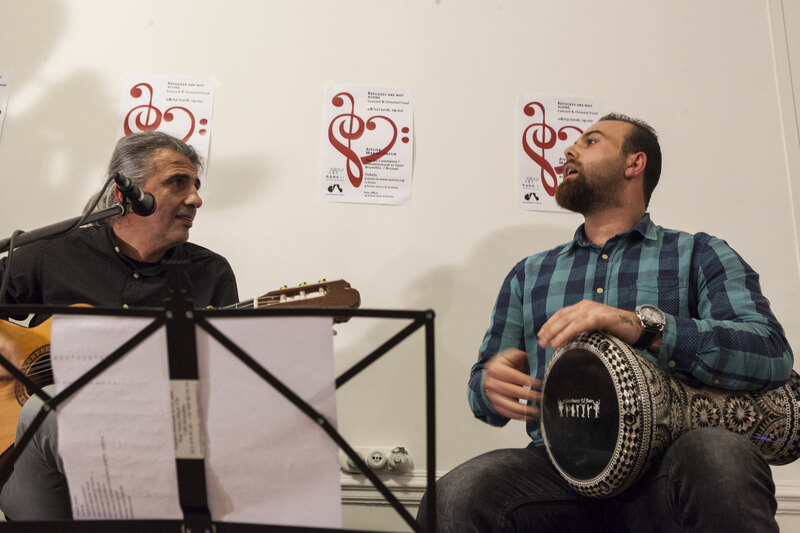 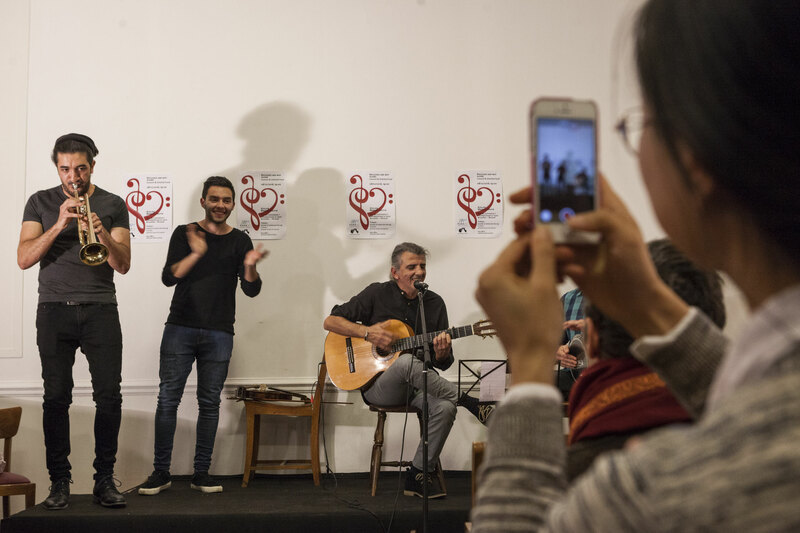 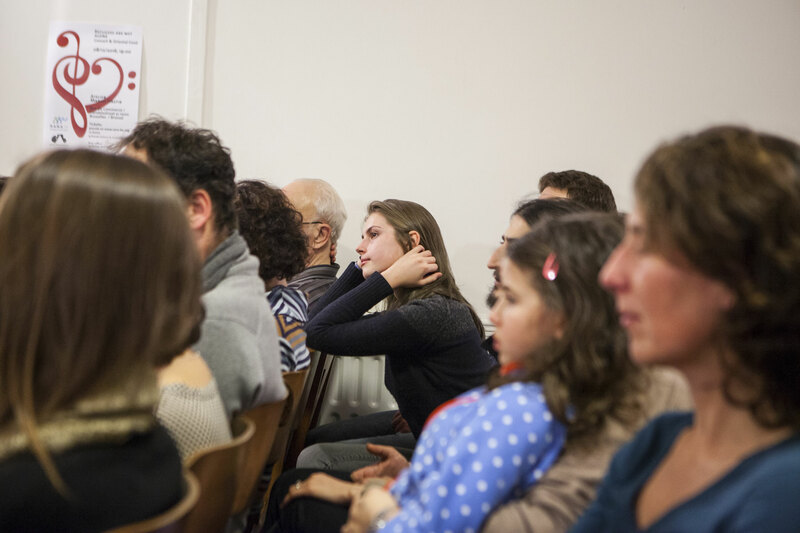 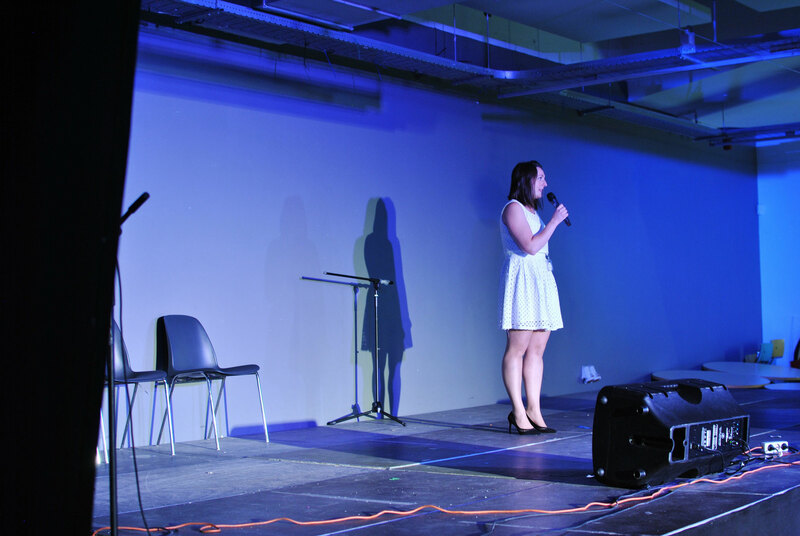 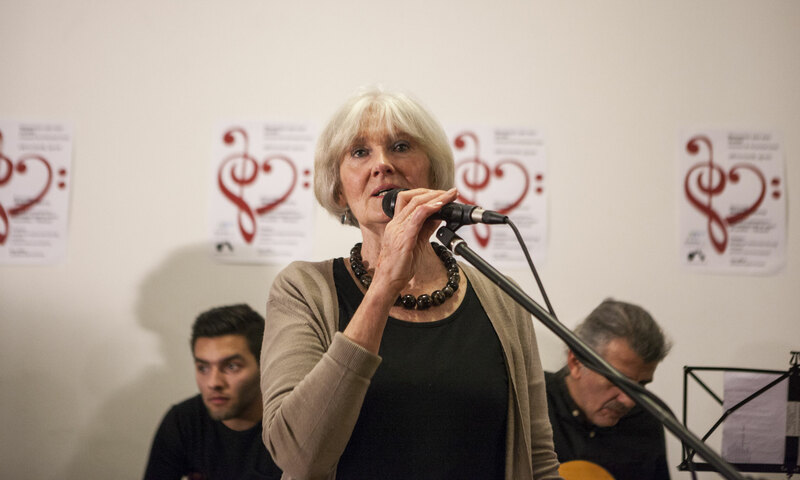 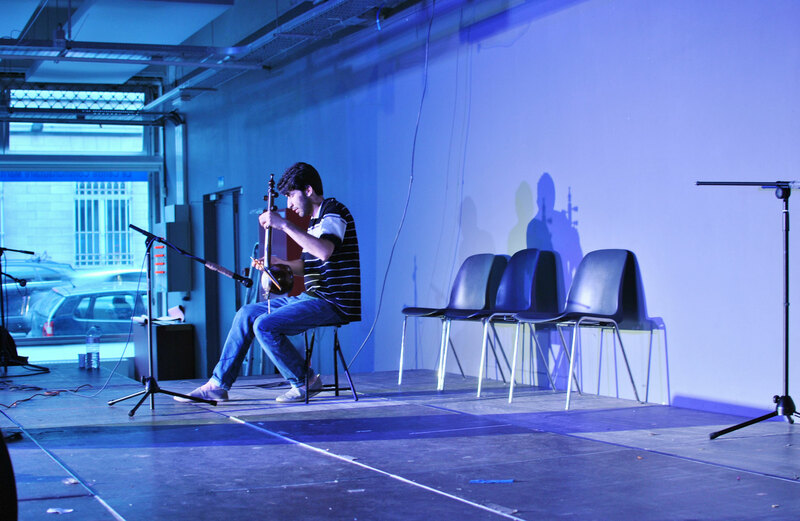 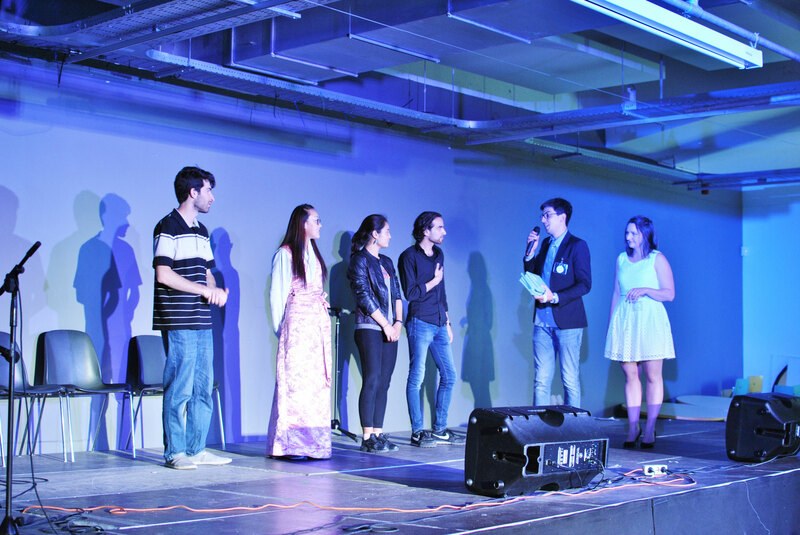 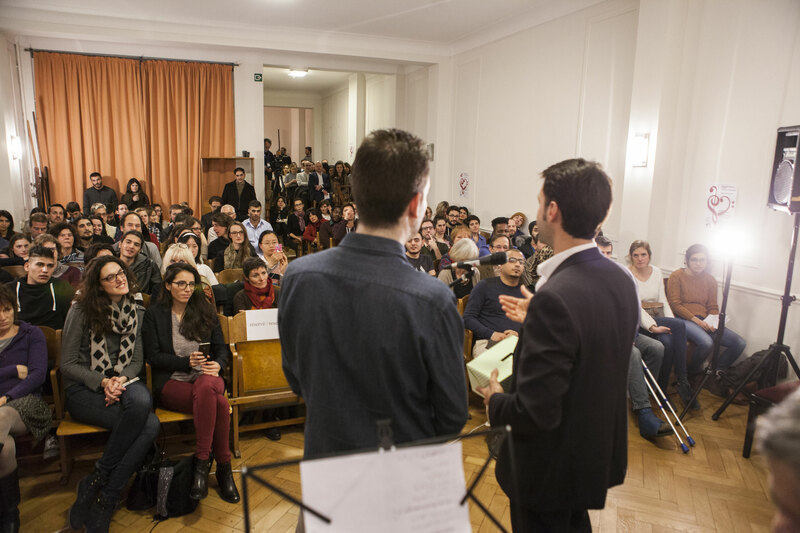 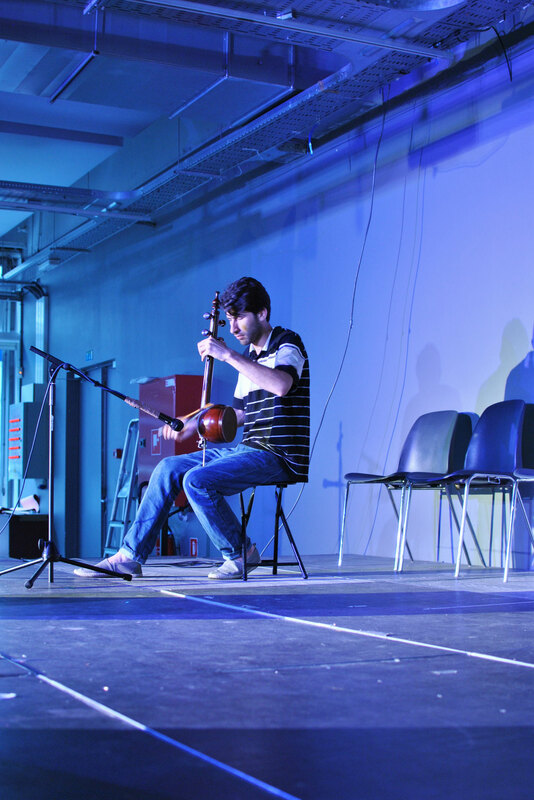 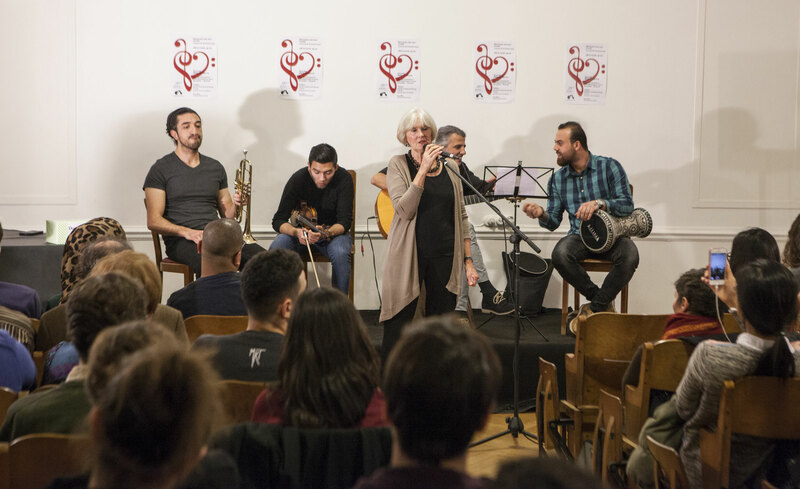 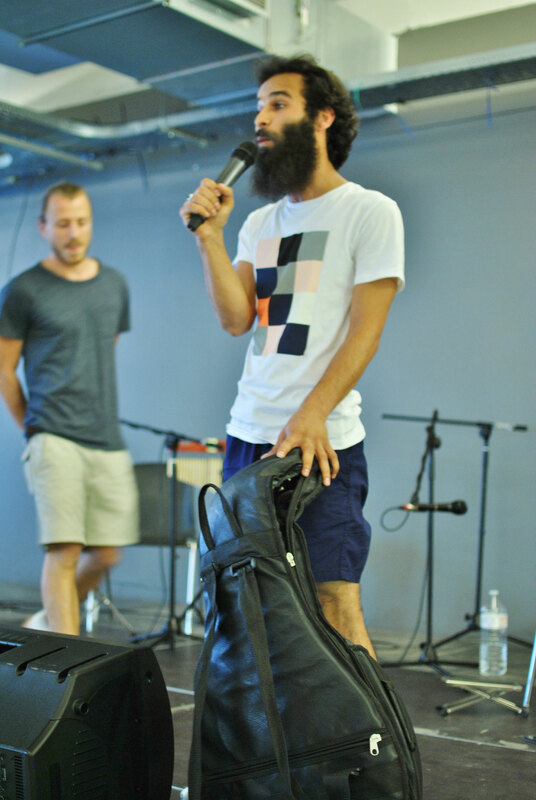 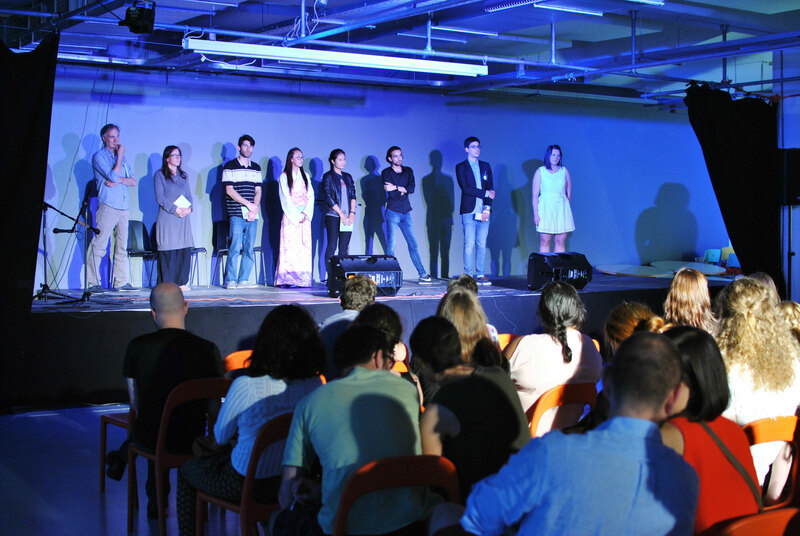 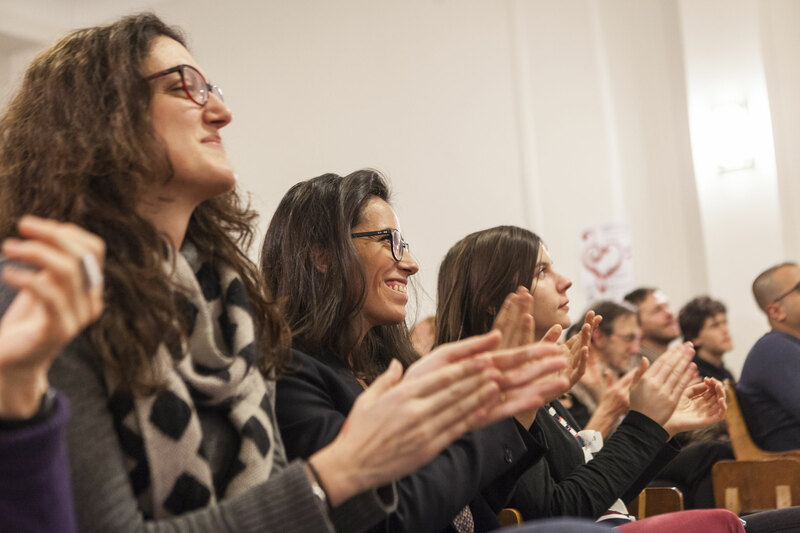 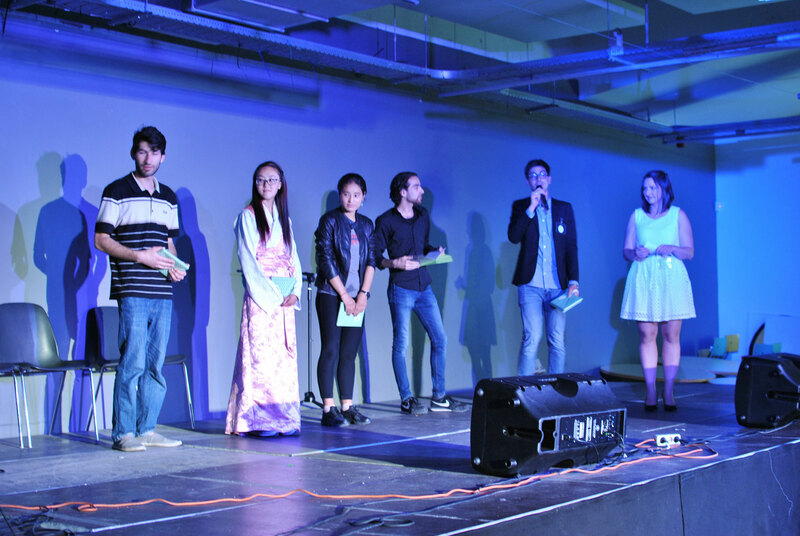 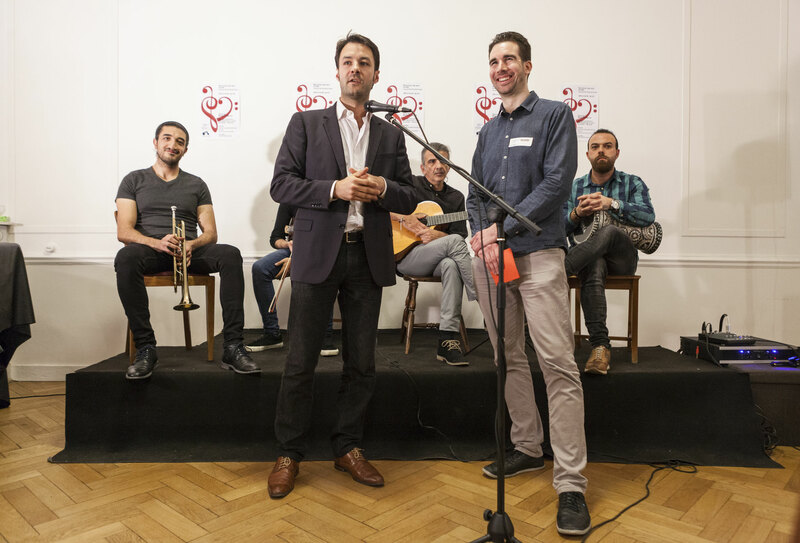 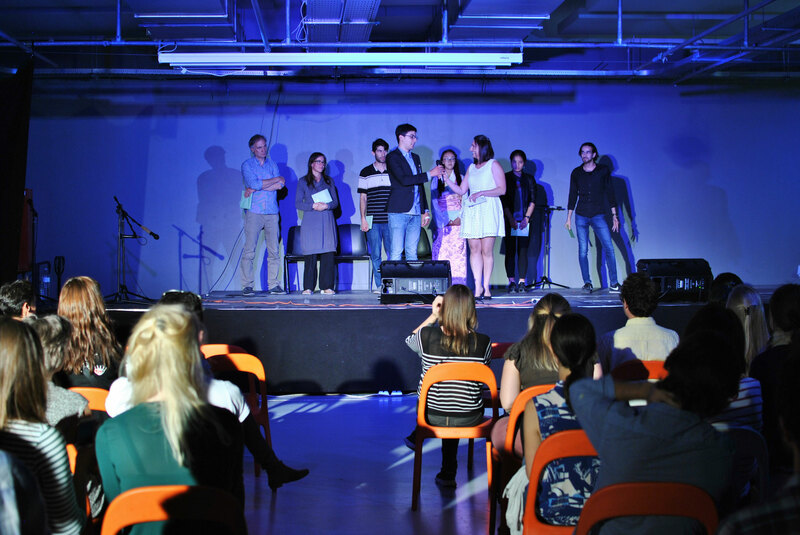 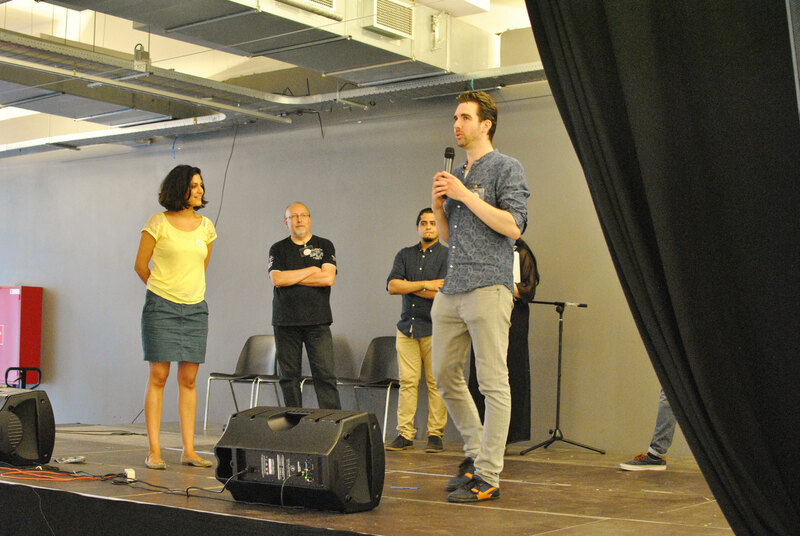 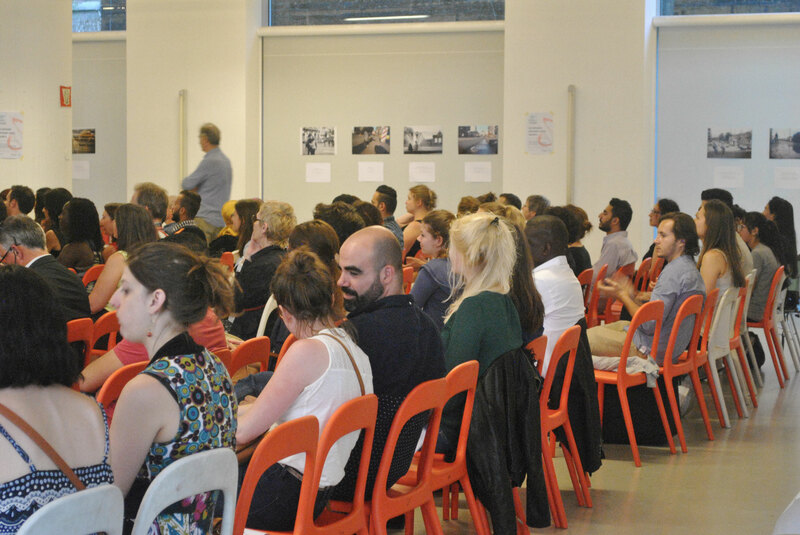 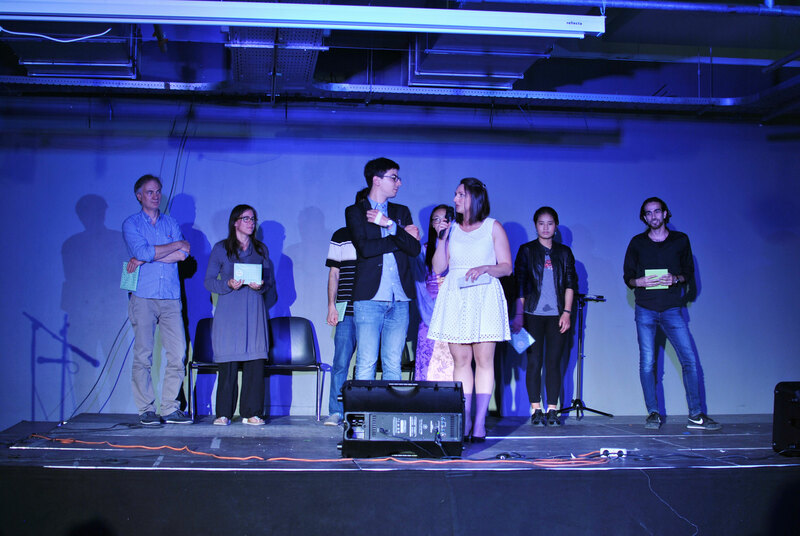 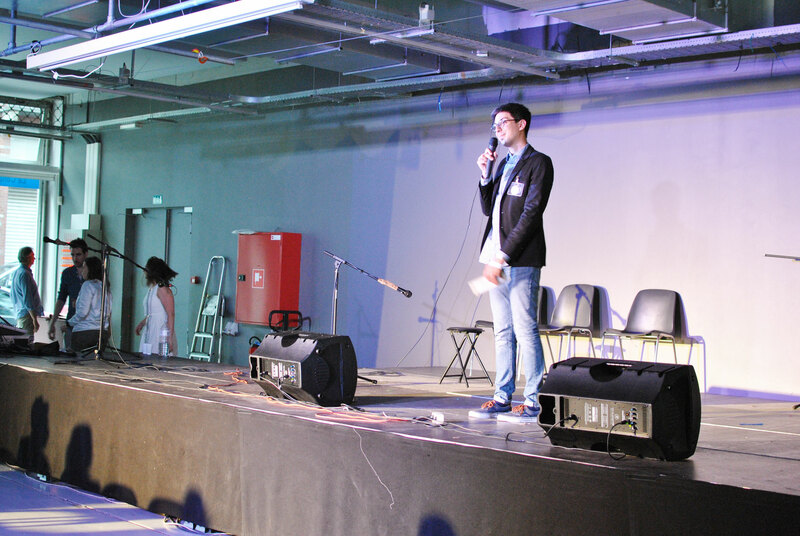 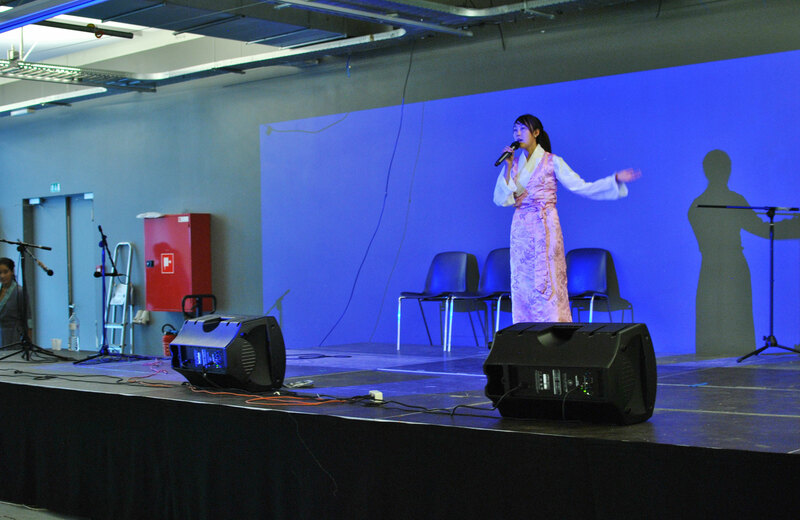 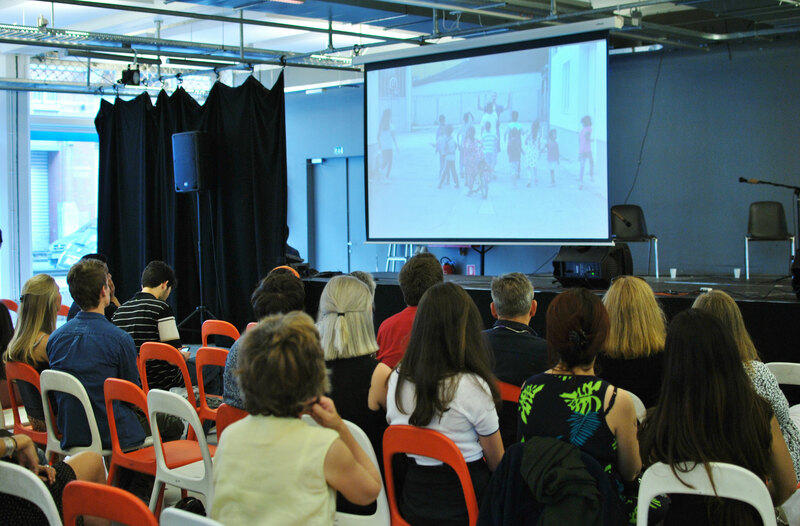 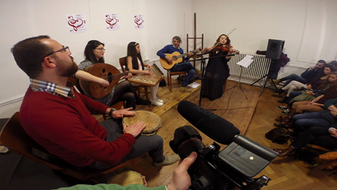 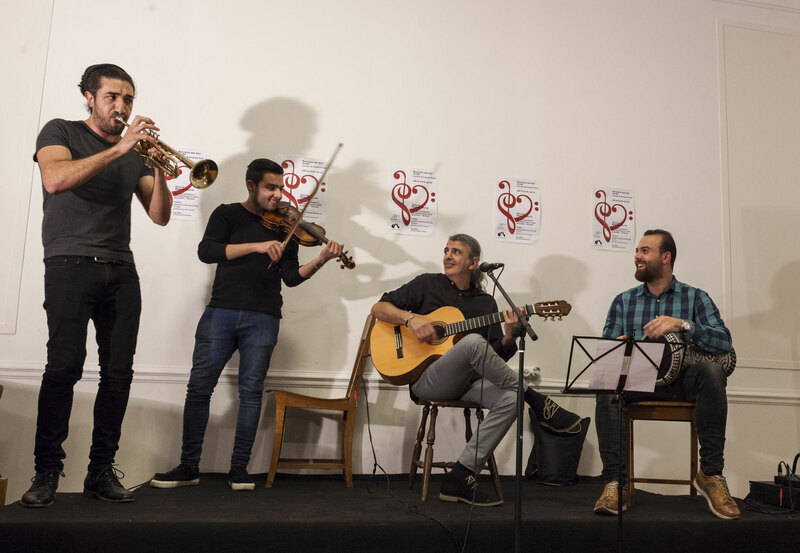 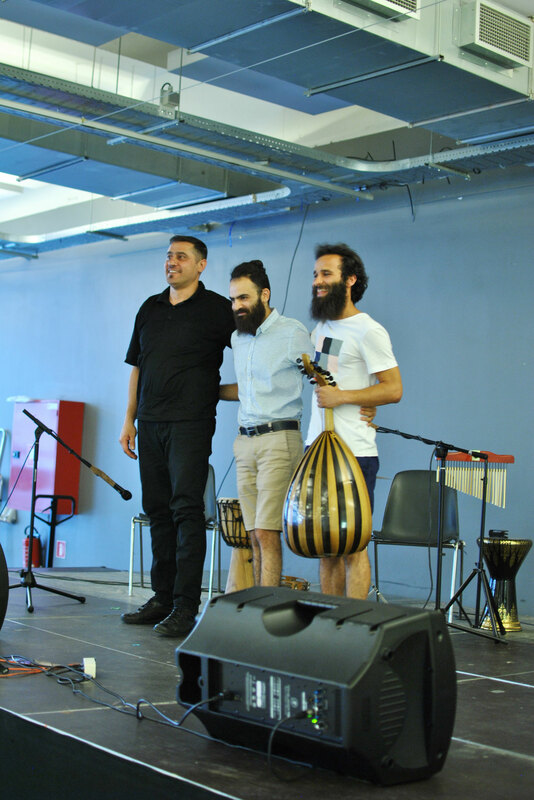 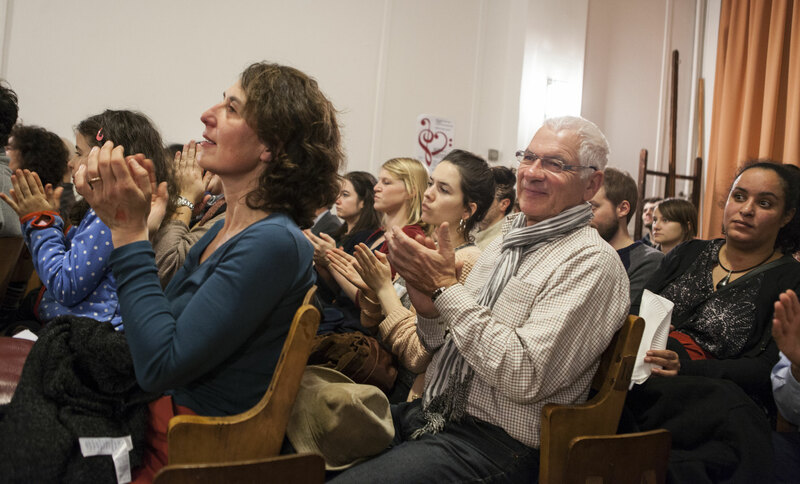 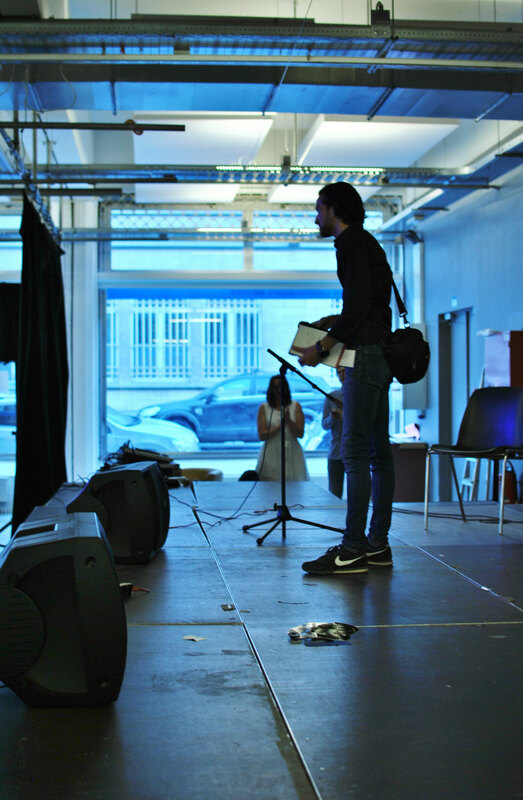 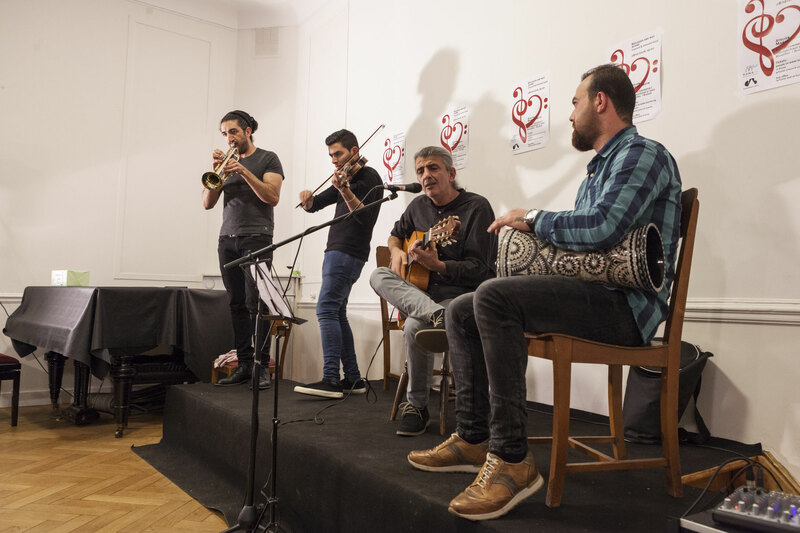 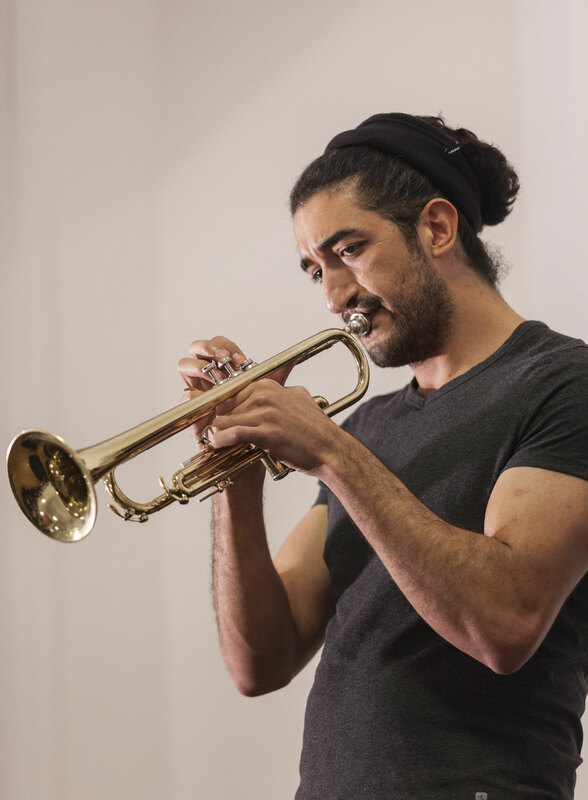 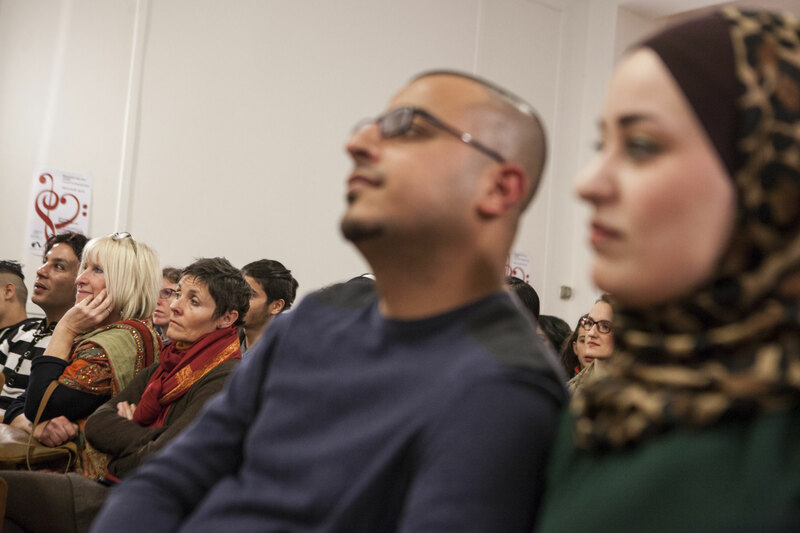 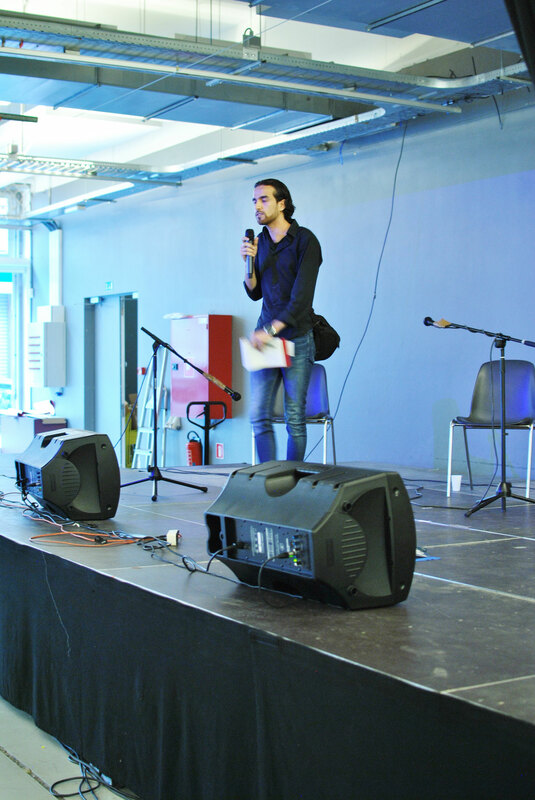 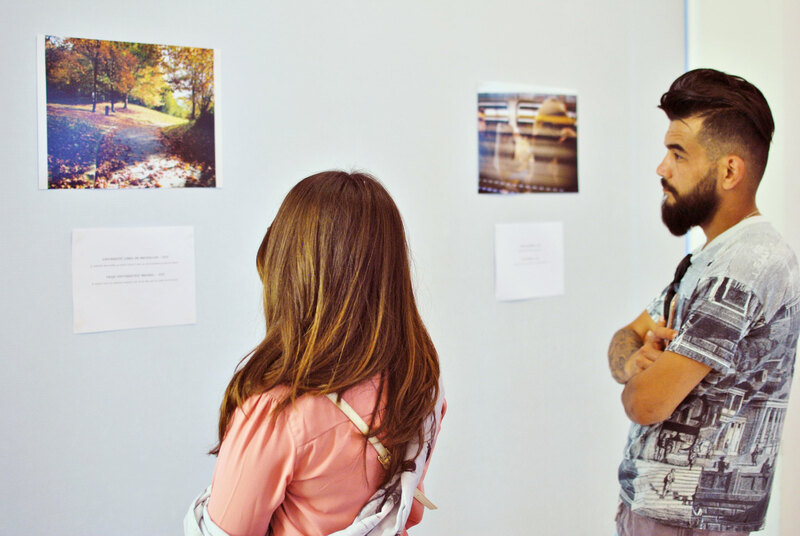 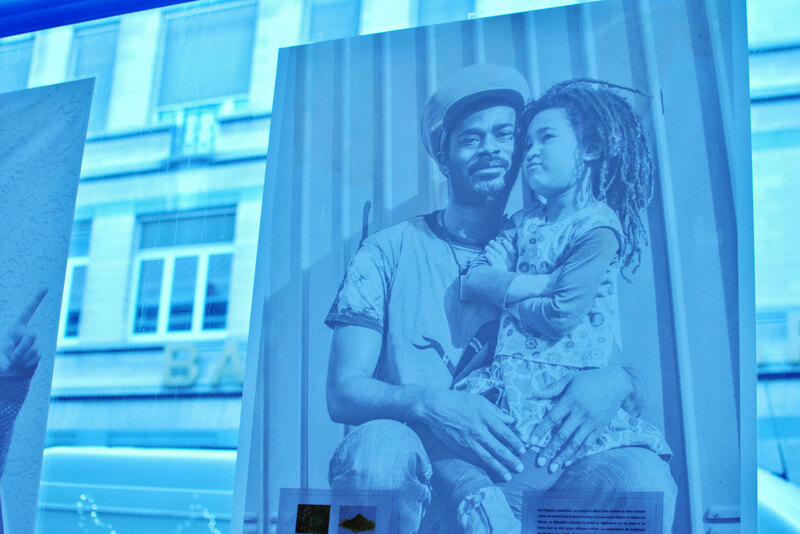 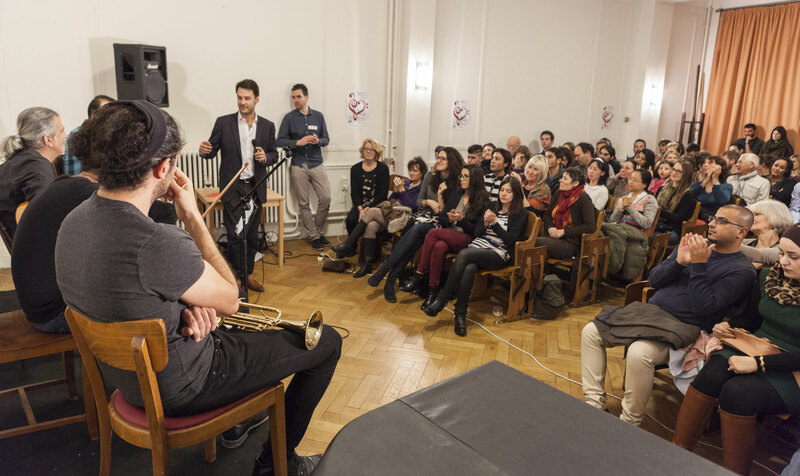 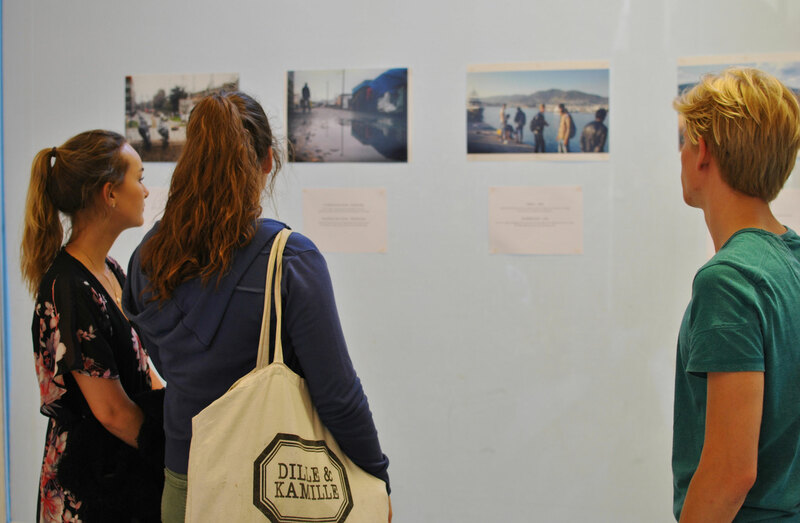 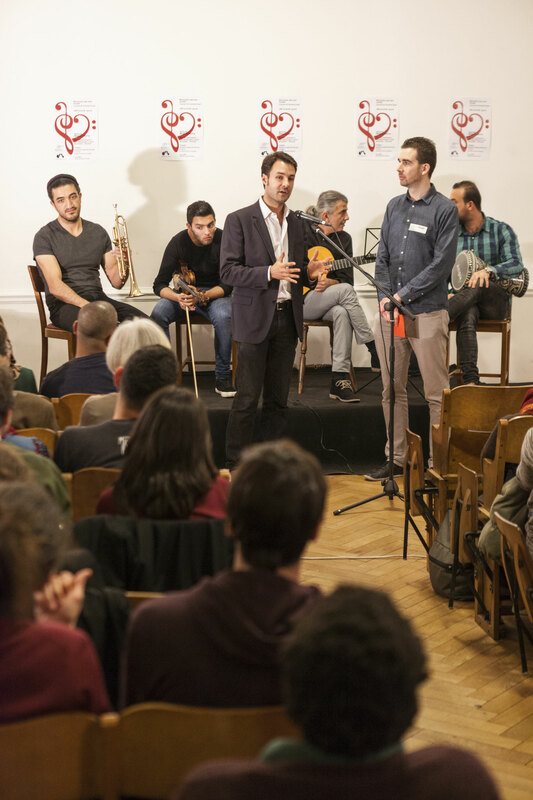 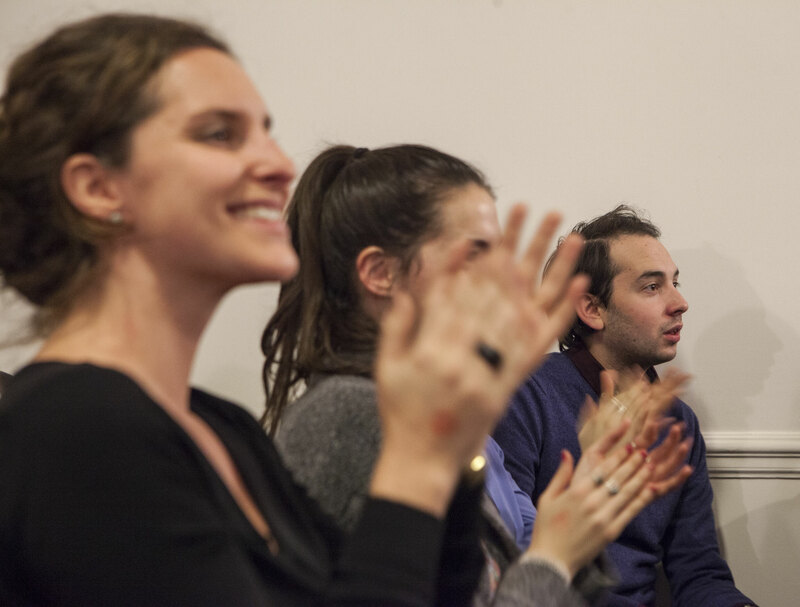 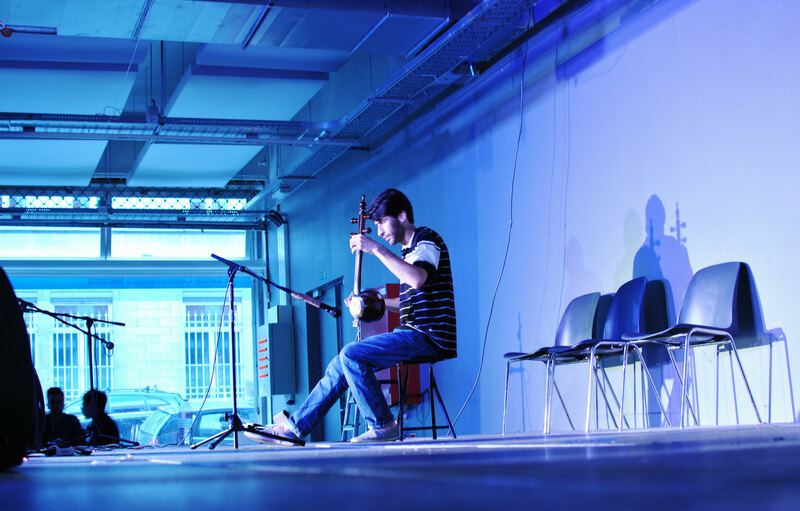 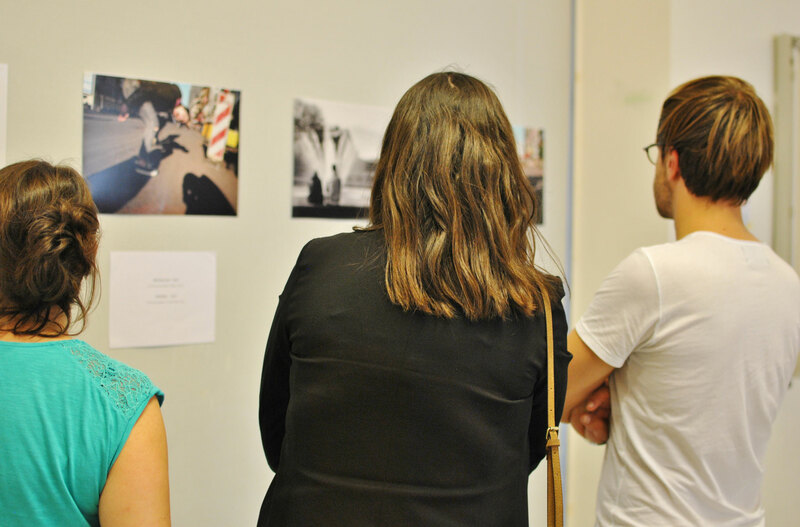 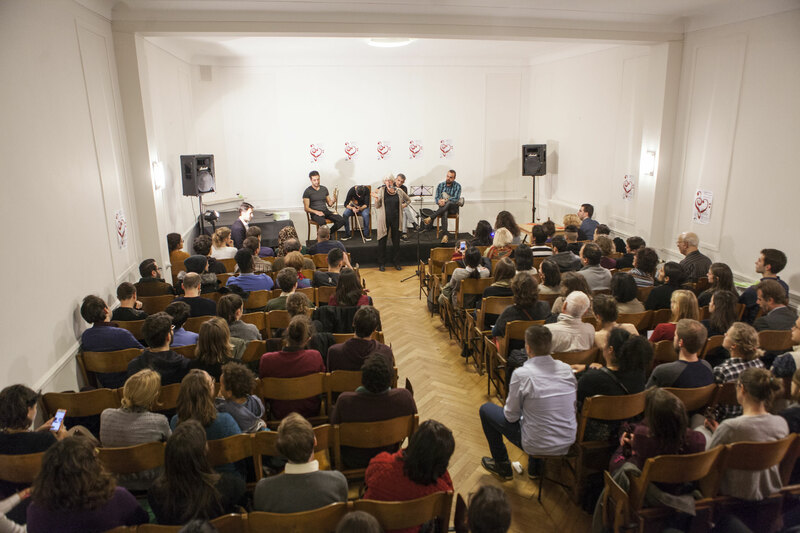 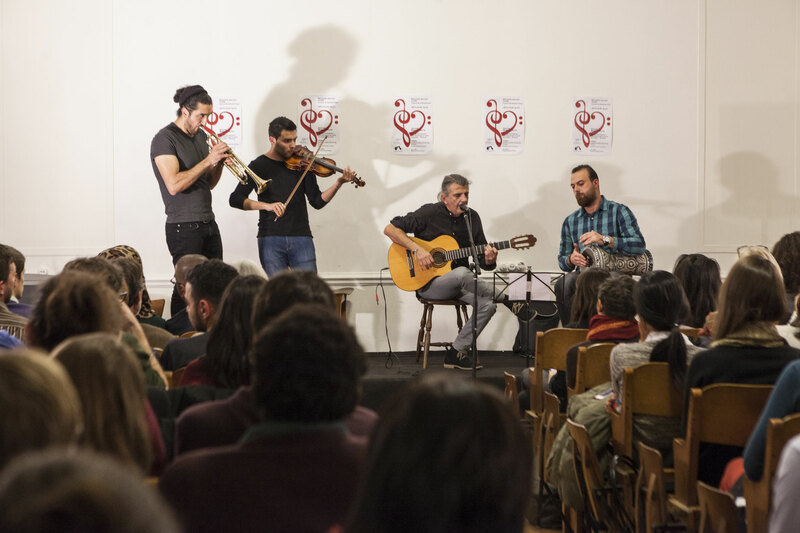 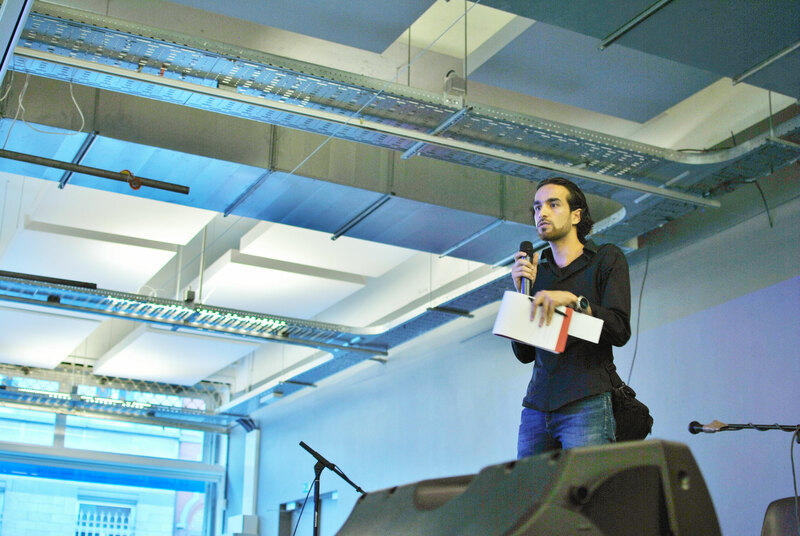 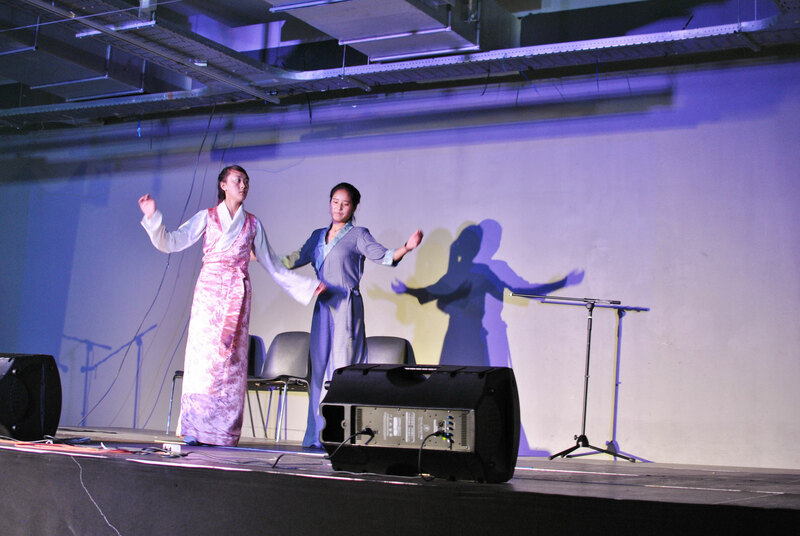 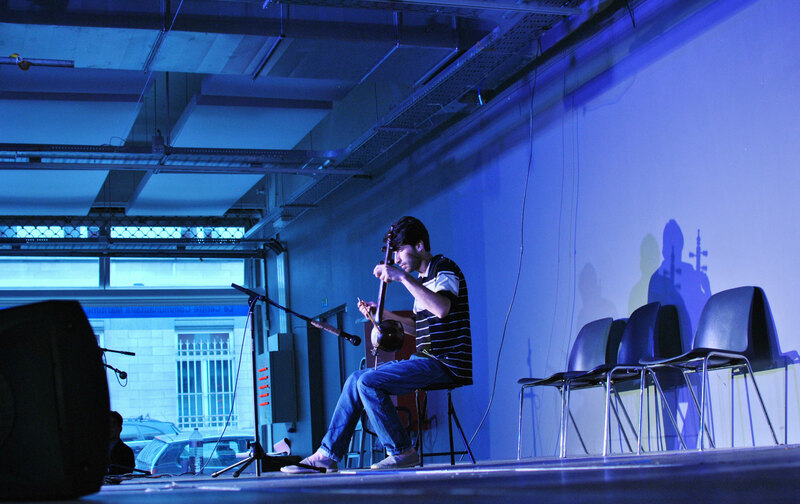 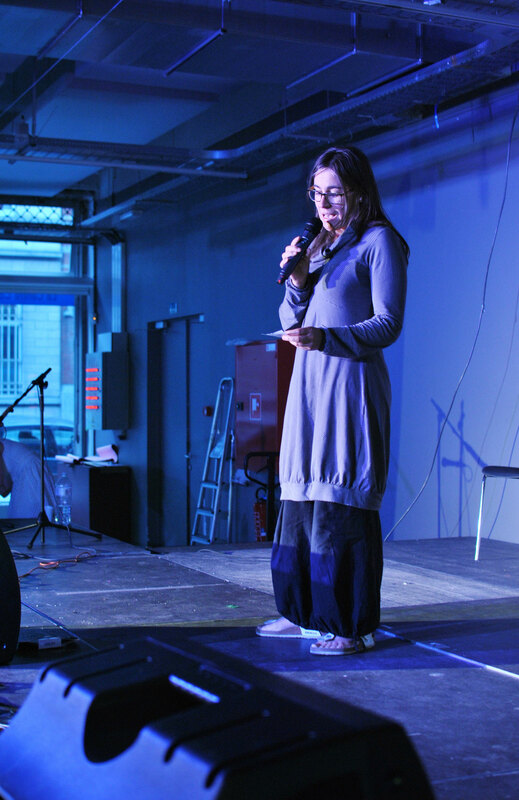 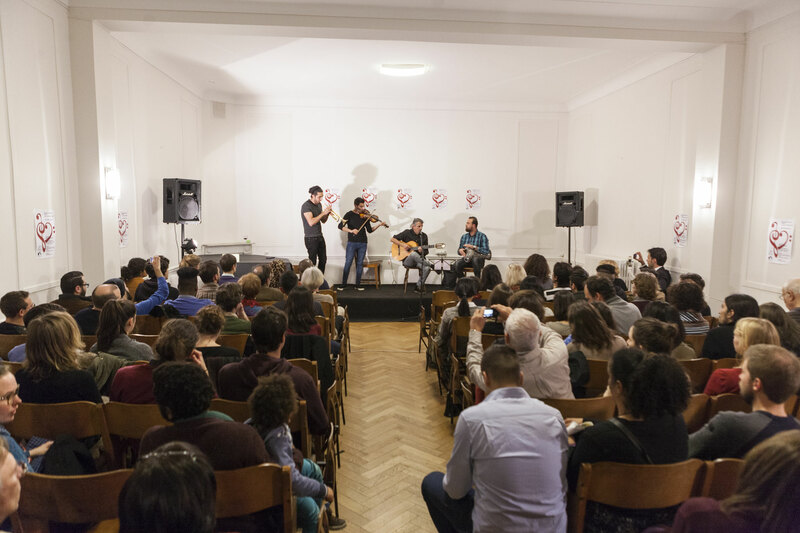 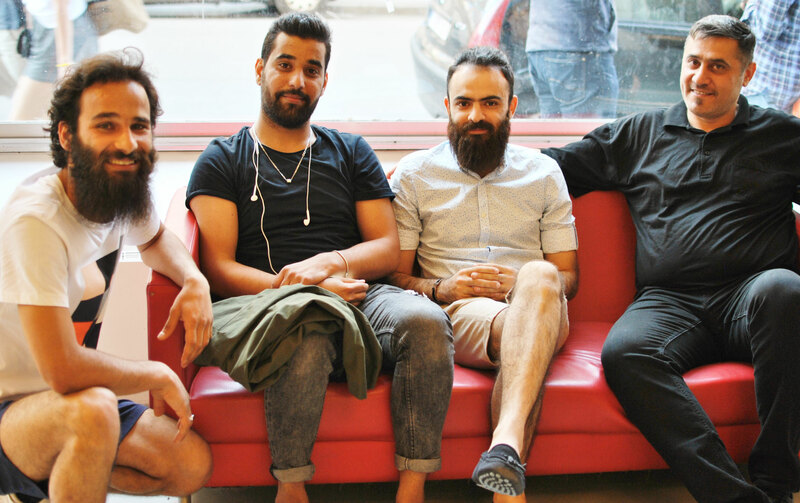 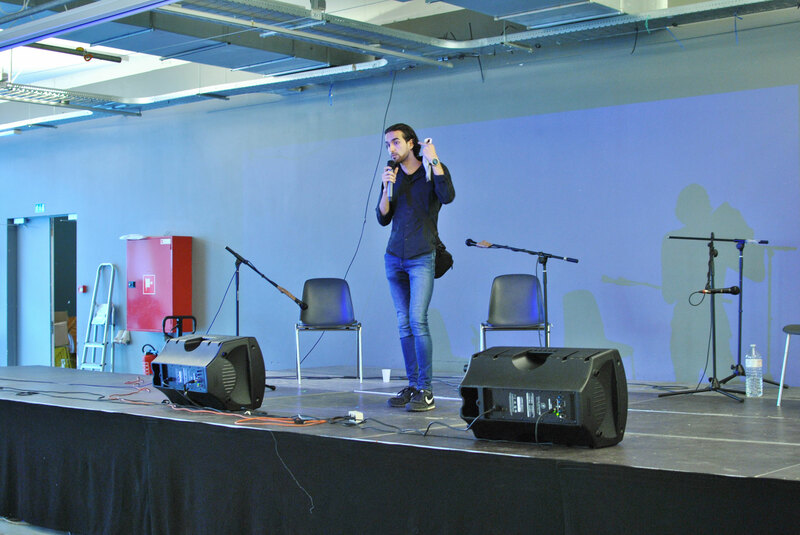 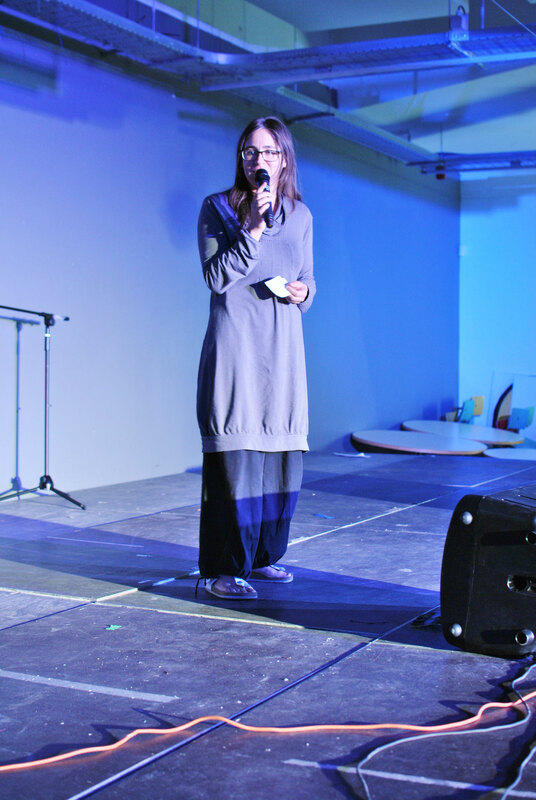 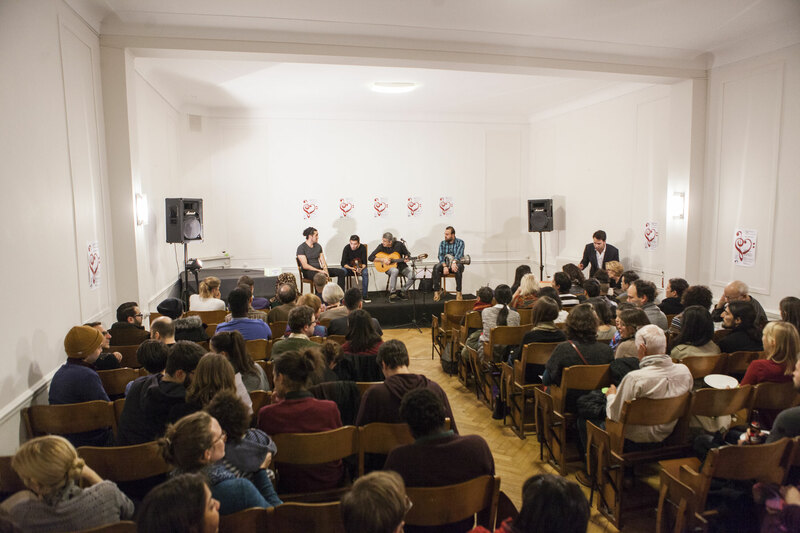 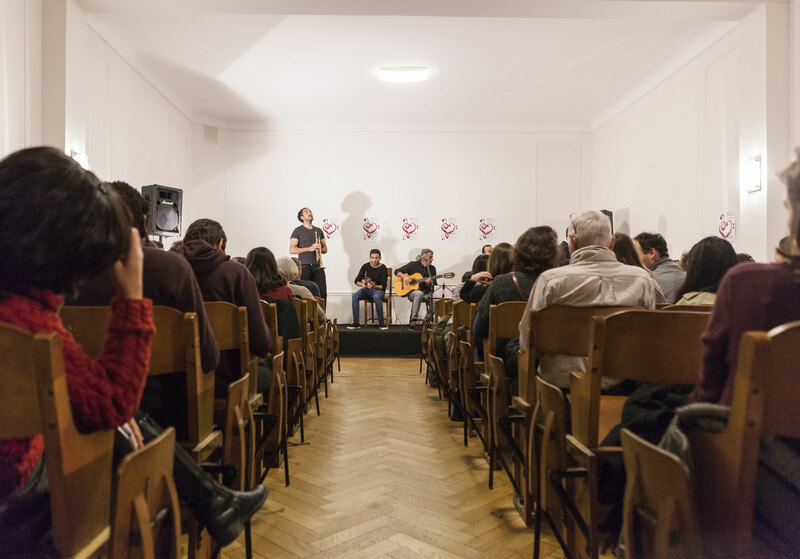 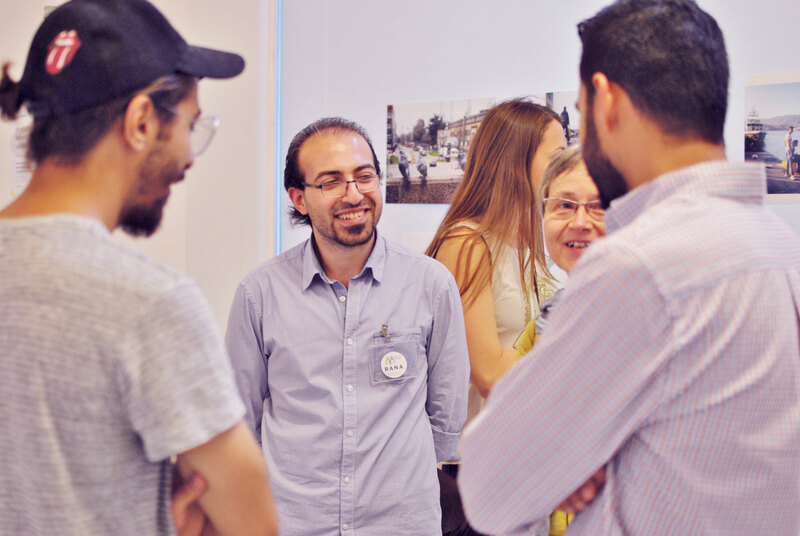 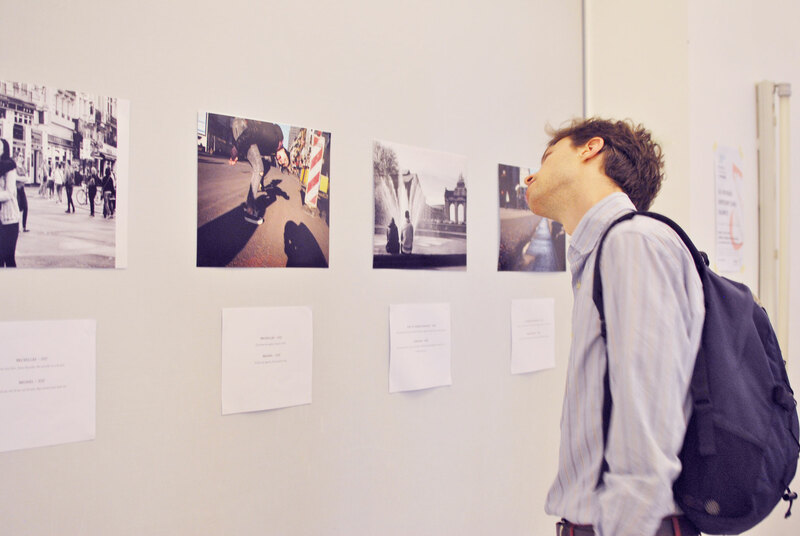 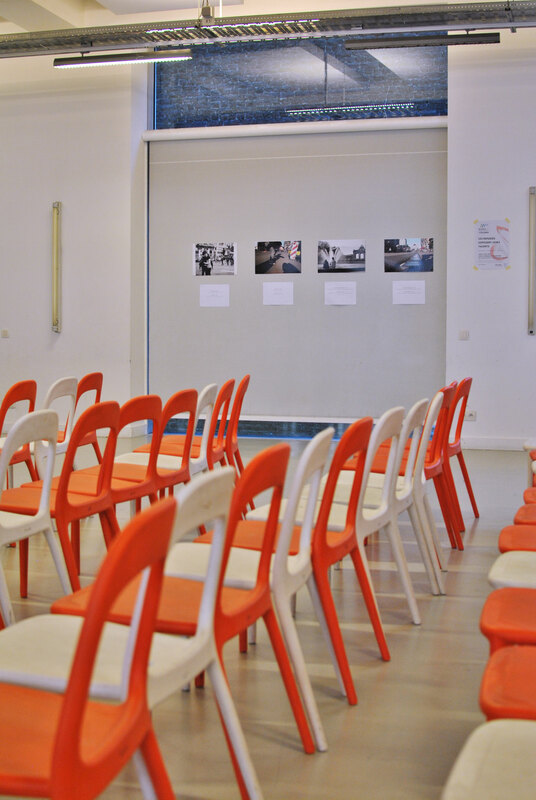 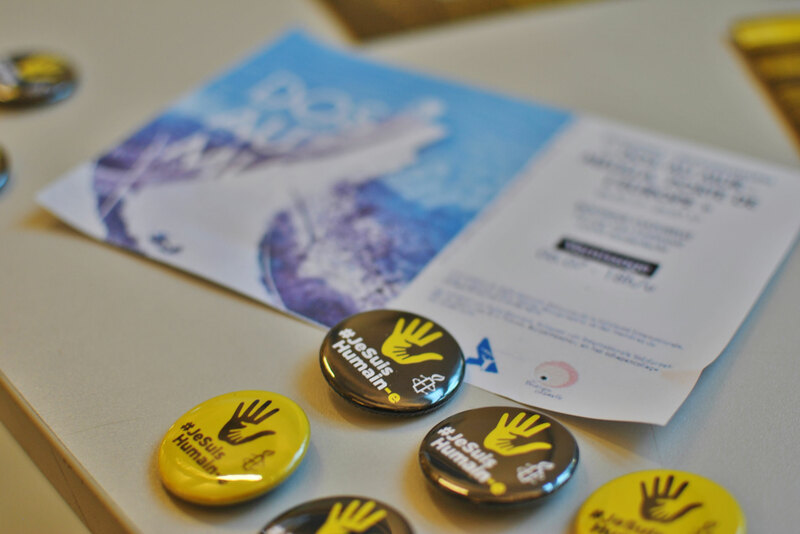 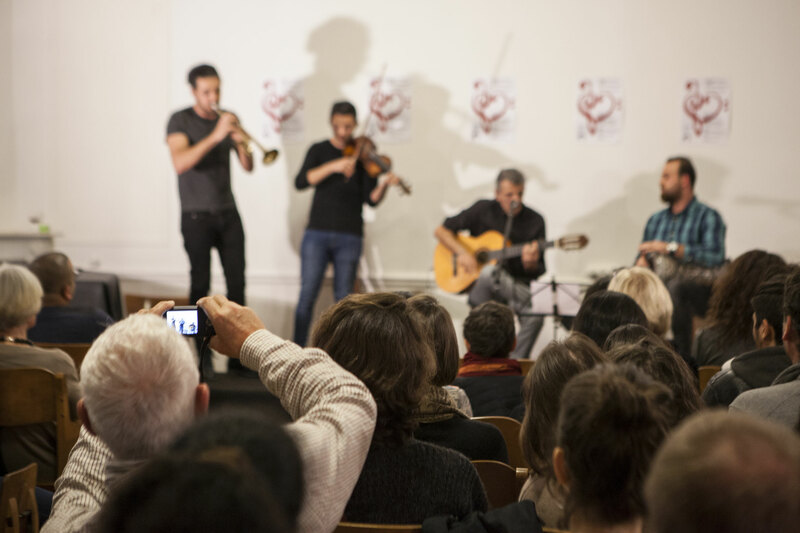 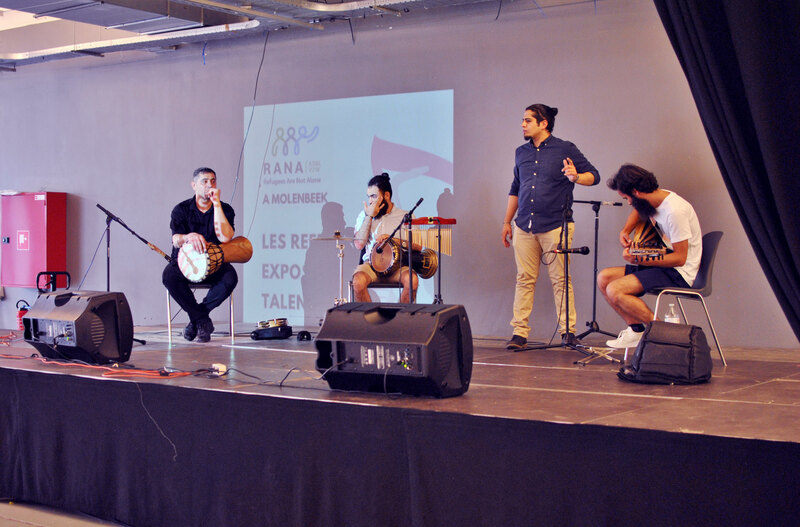 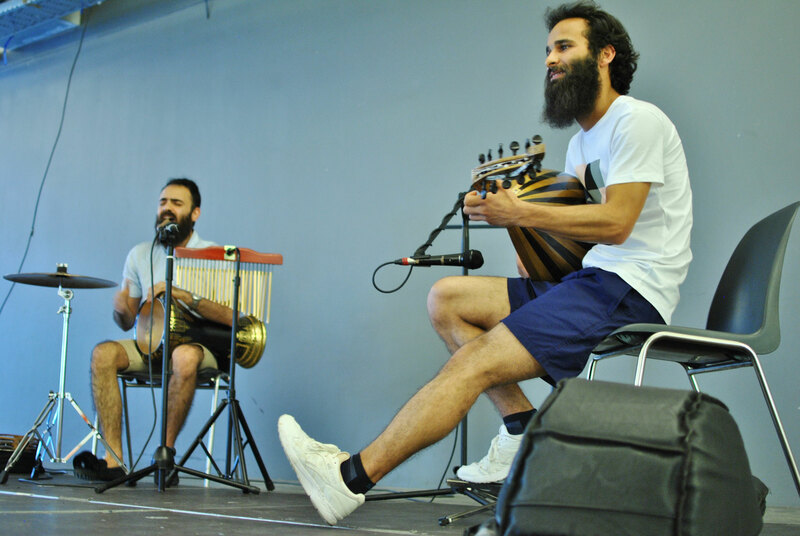 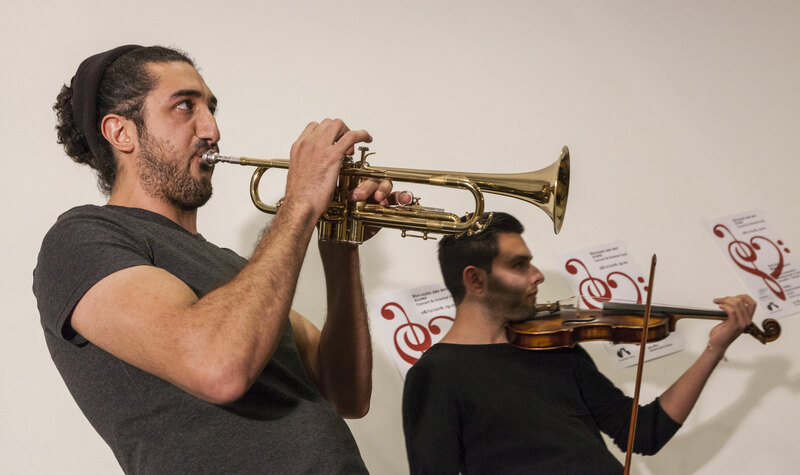 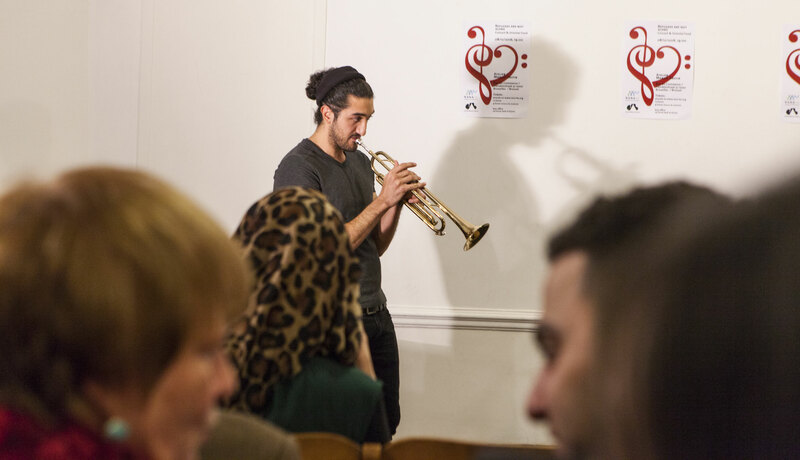 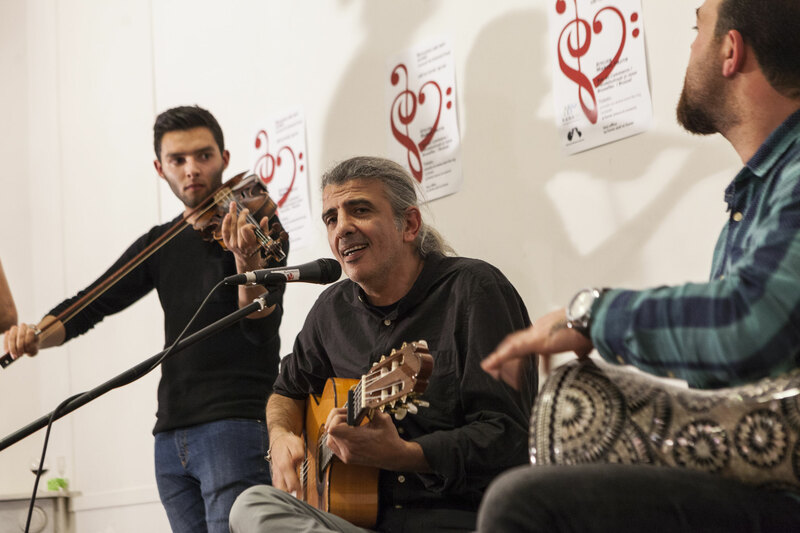 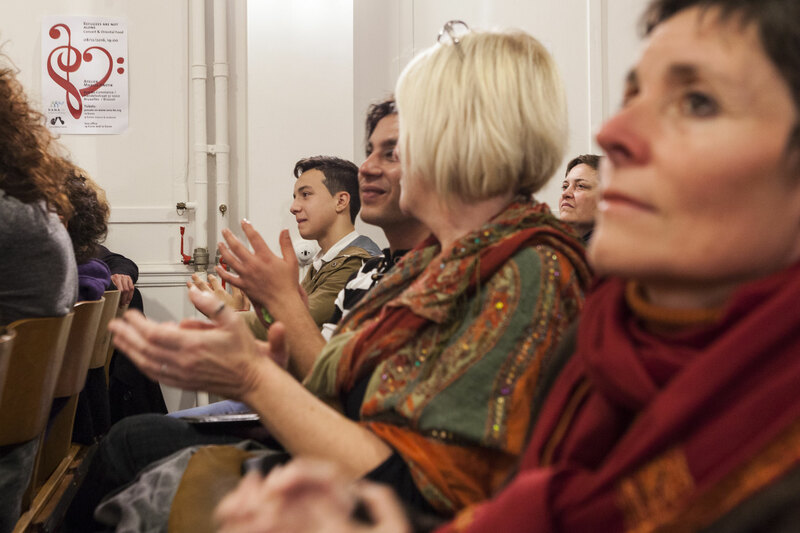 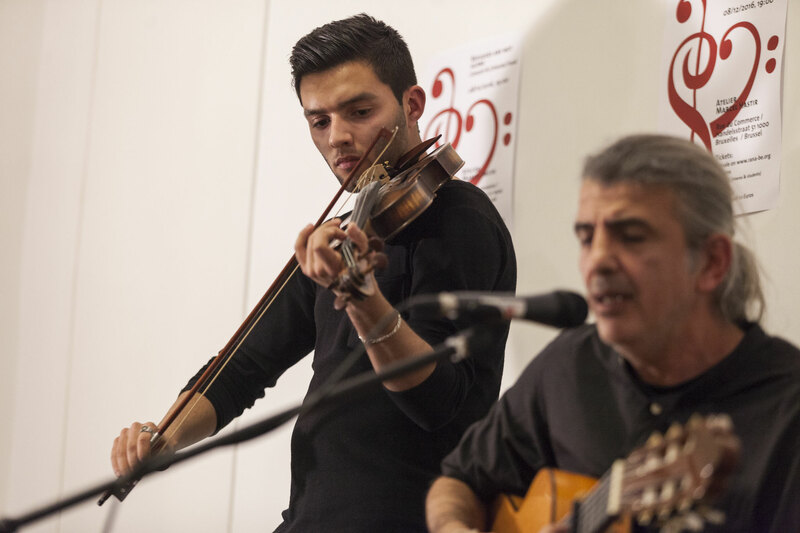 With the aim of supporting asylum seekers’ social integration, RANA organised (on 31 March 2016) the concert “Syrians Got Talent” at the Marcel Hastir atelier (51, Rue du Commerce,1000 Brussels). 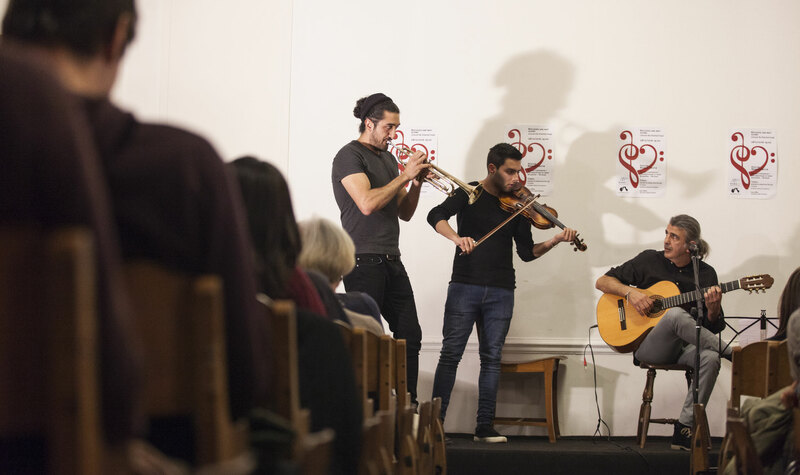 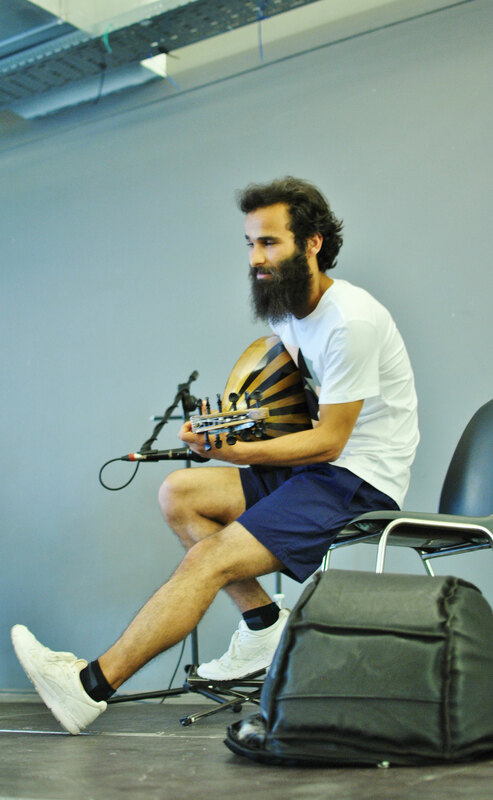 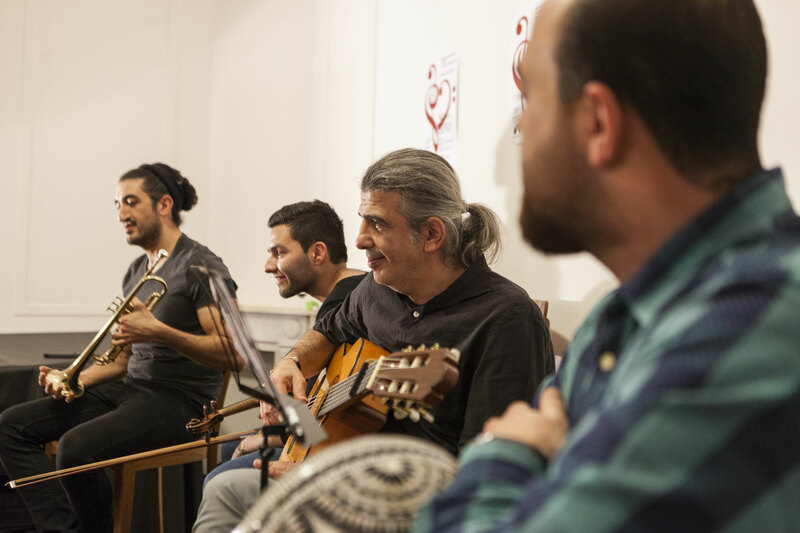 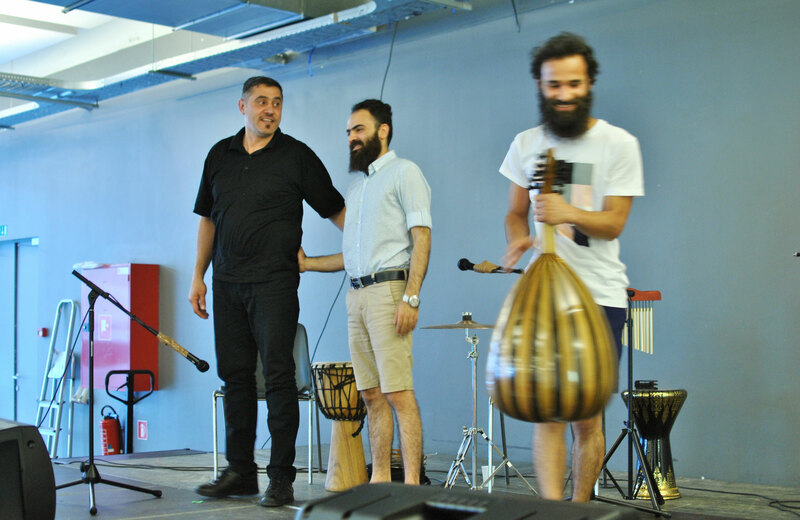 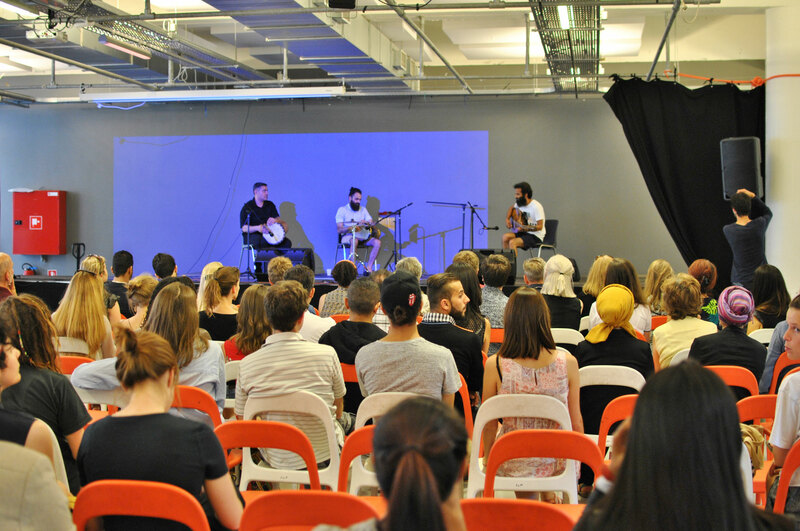 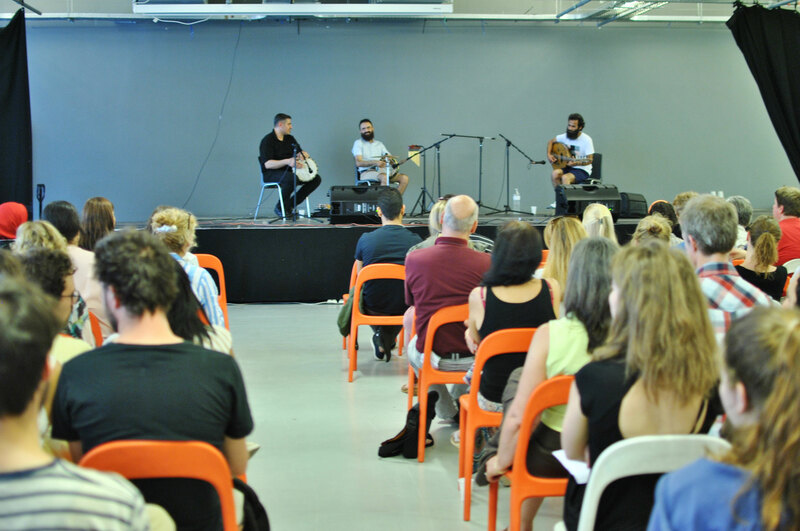 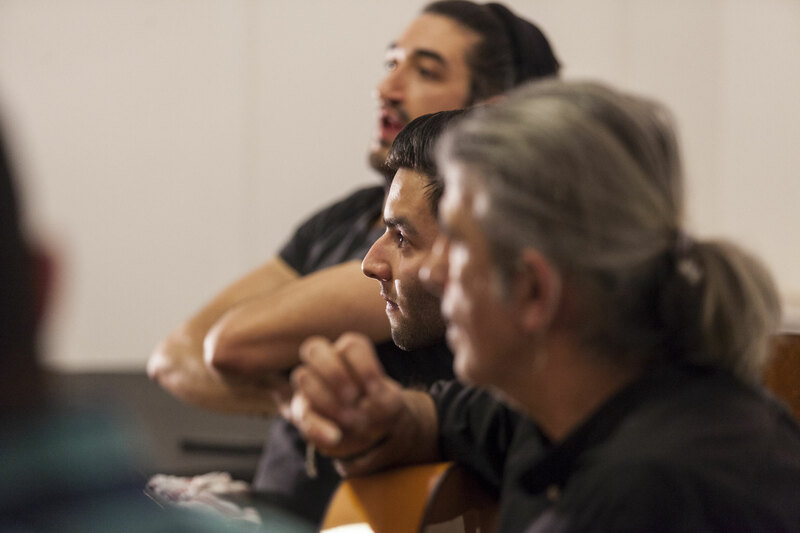 Five Syrian refugees sang Brel and displayed their talents on the Arabic lute (the oud), the kanun, violin and guitar. 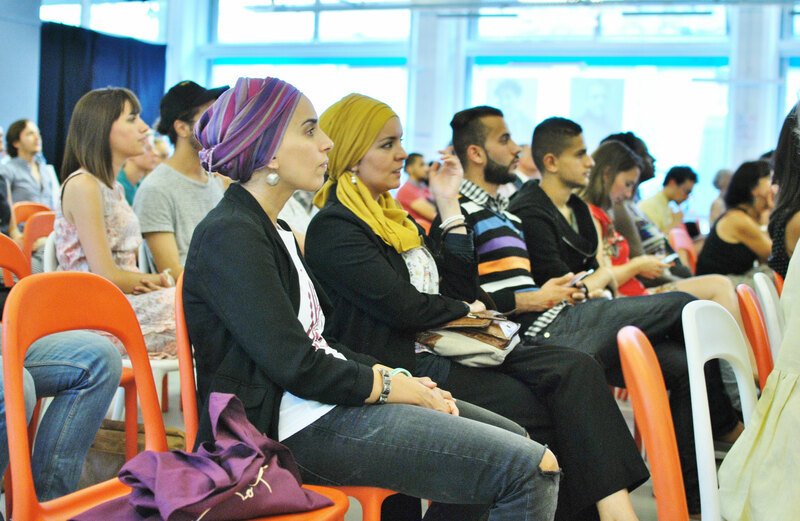 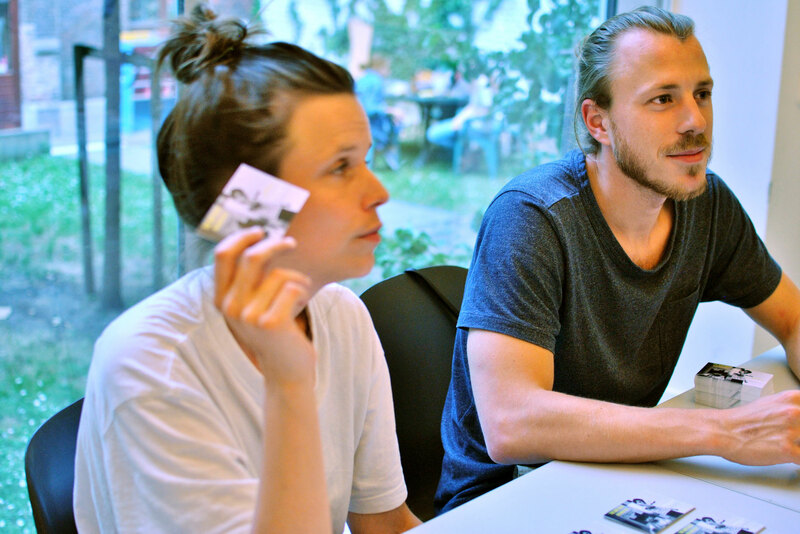 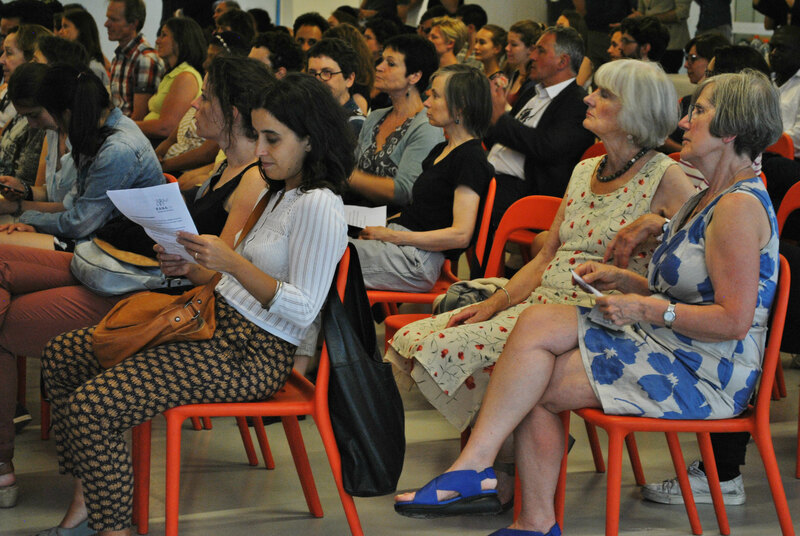 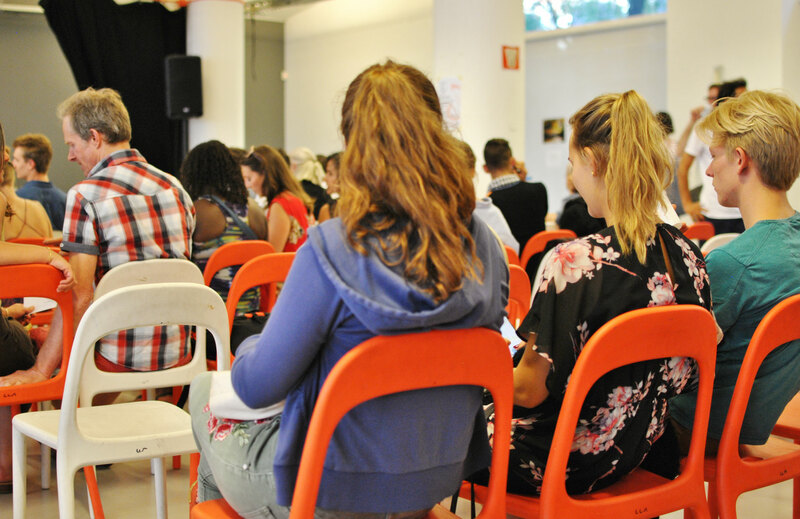 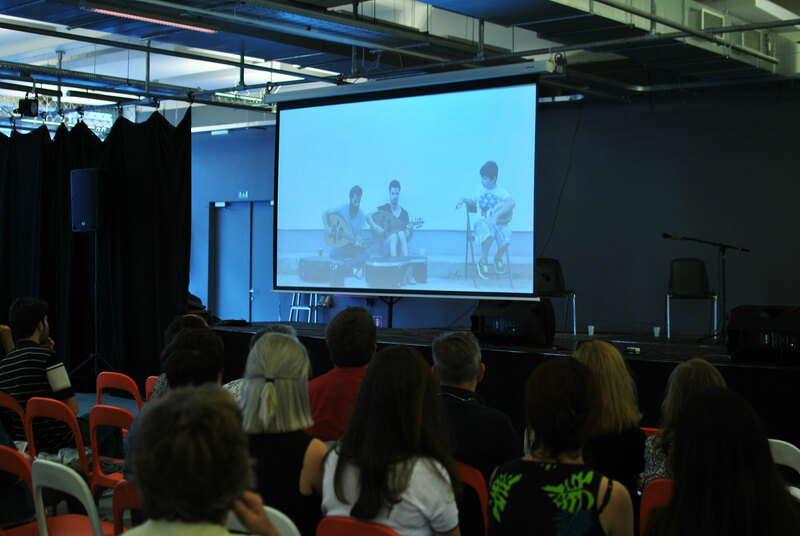 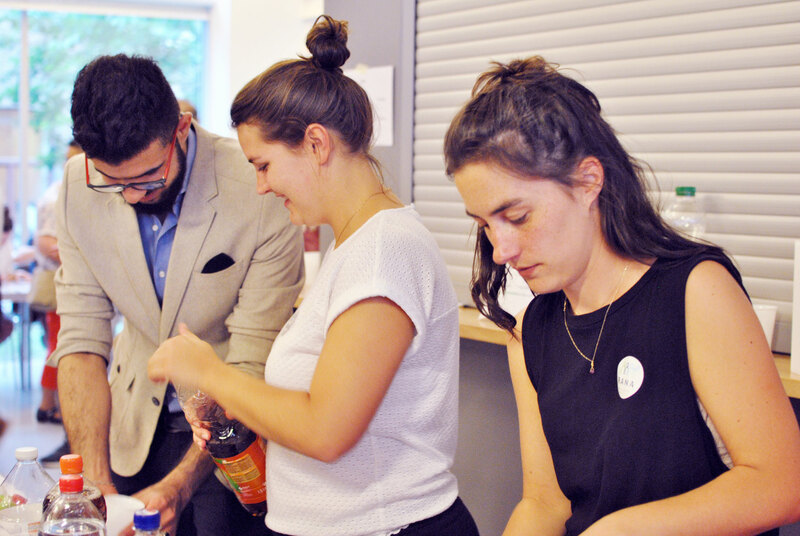 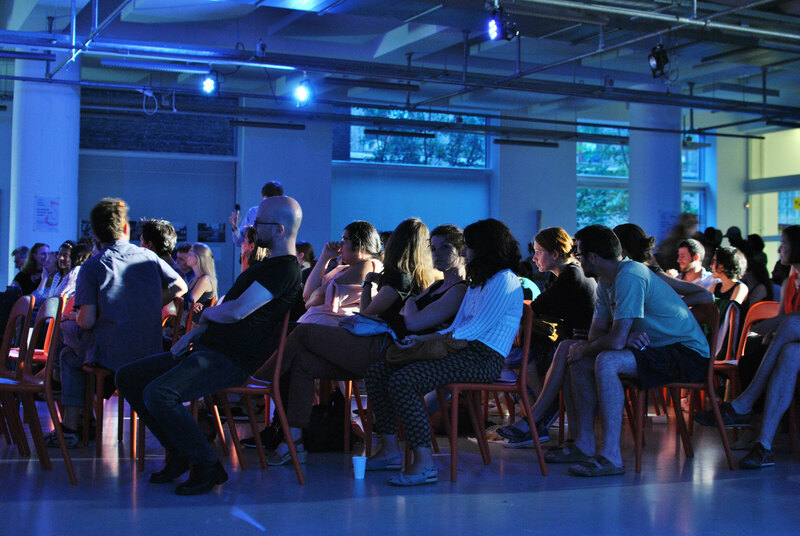 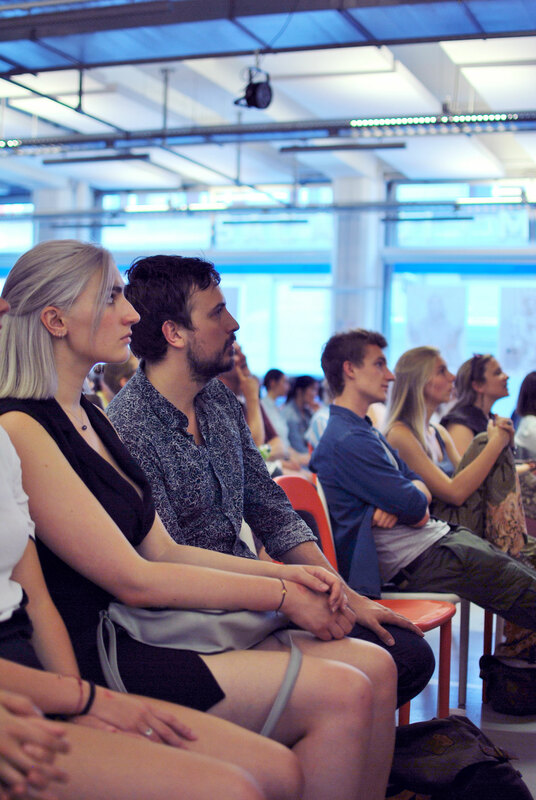 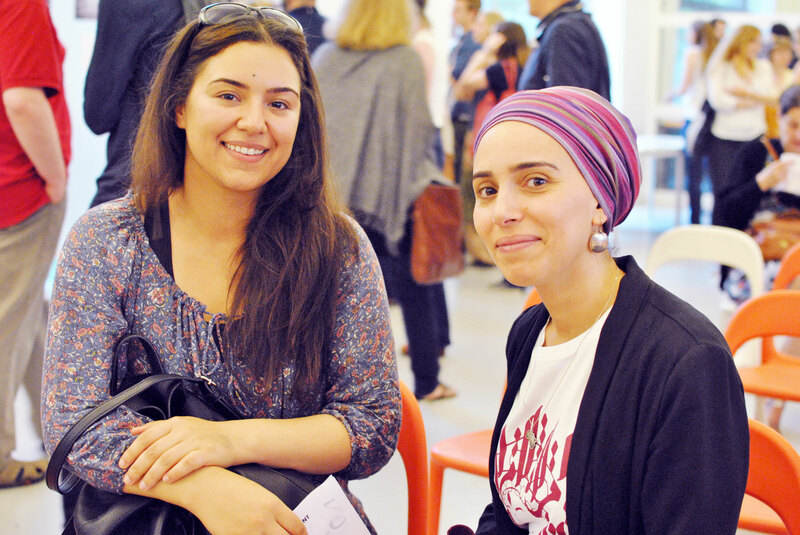 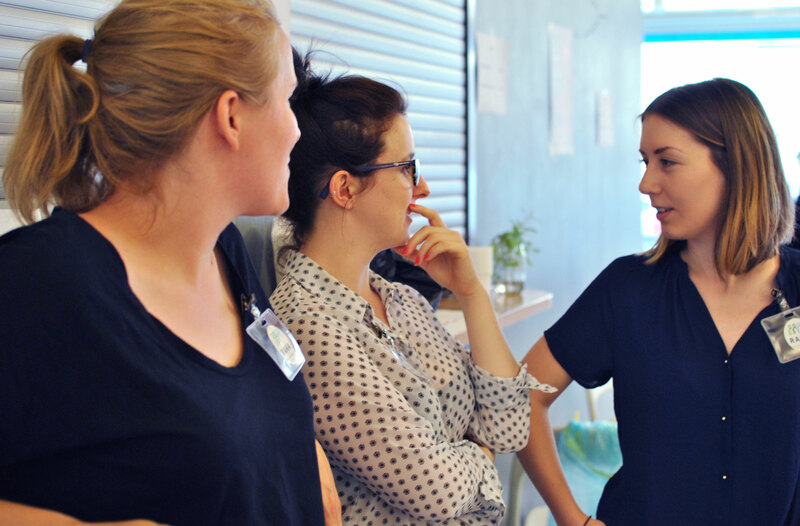 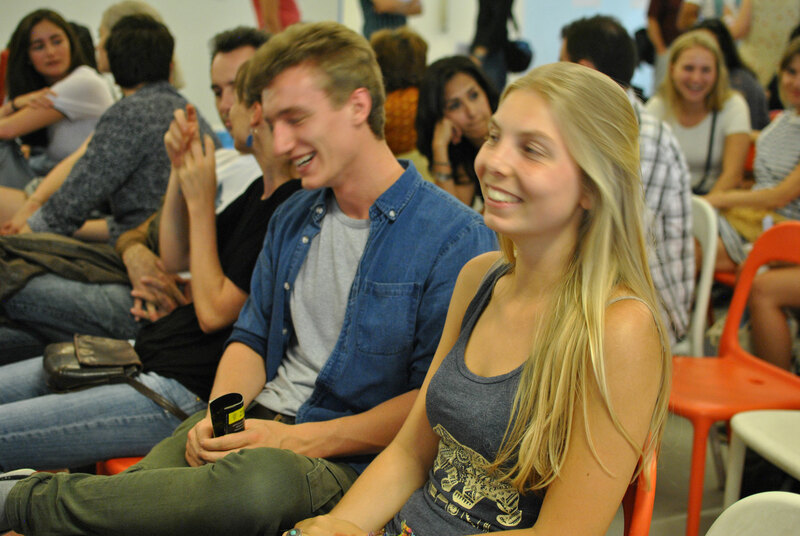 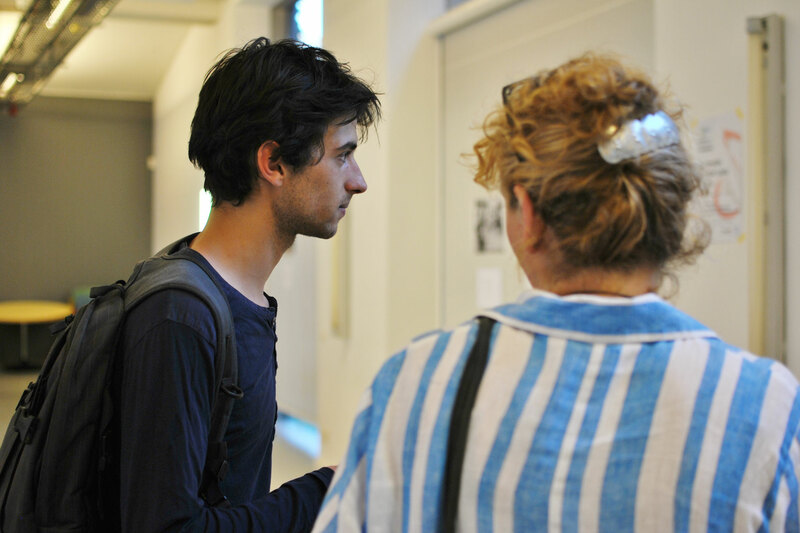 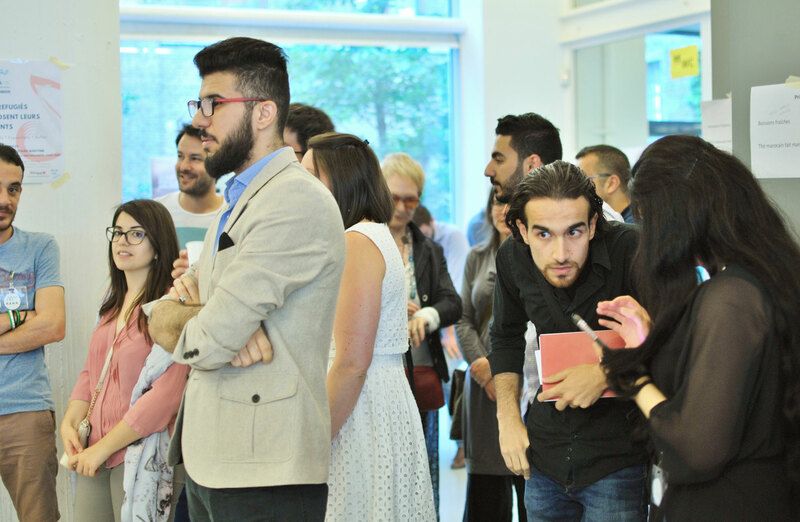 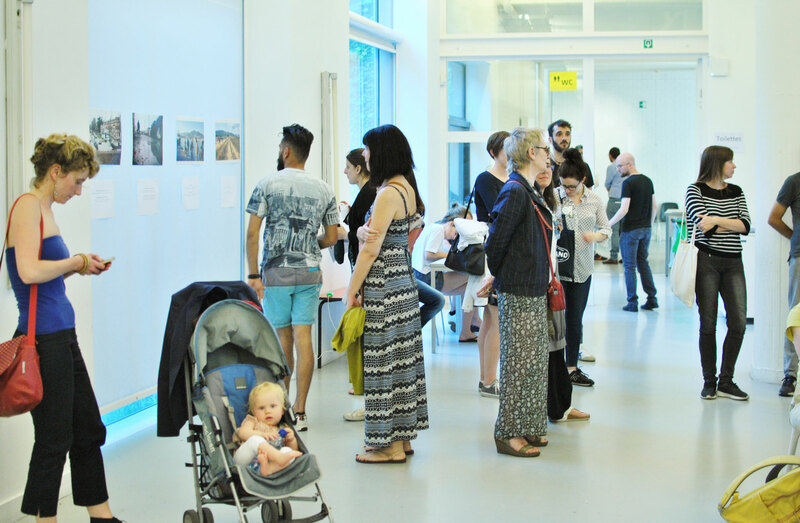 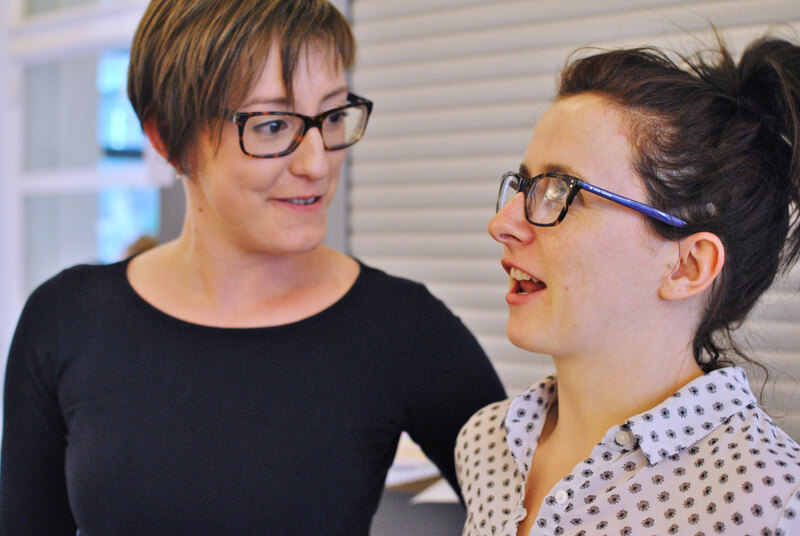 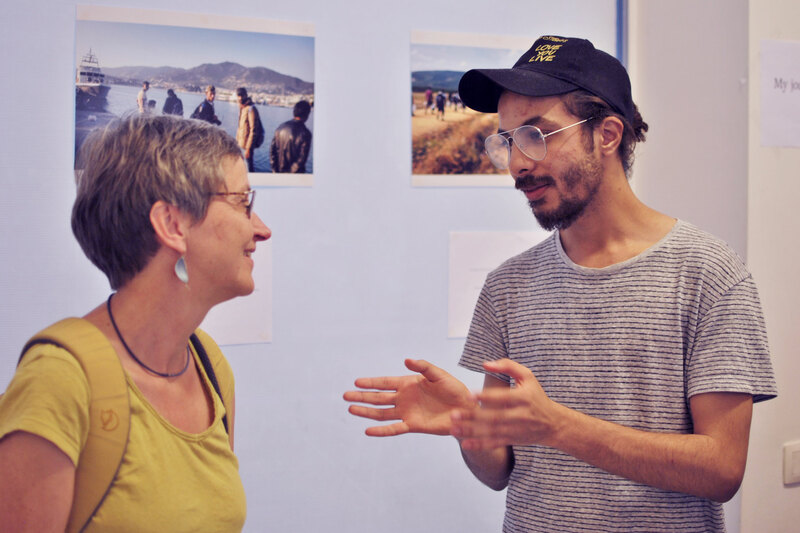 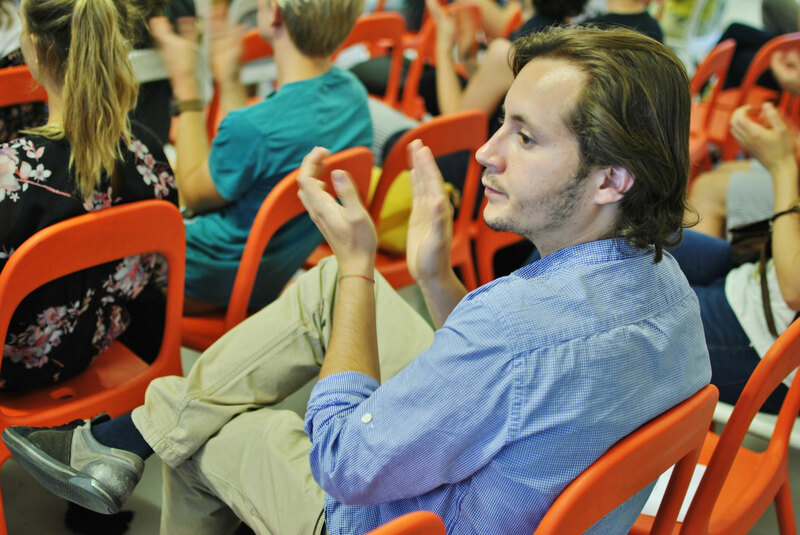 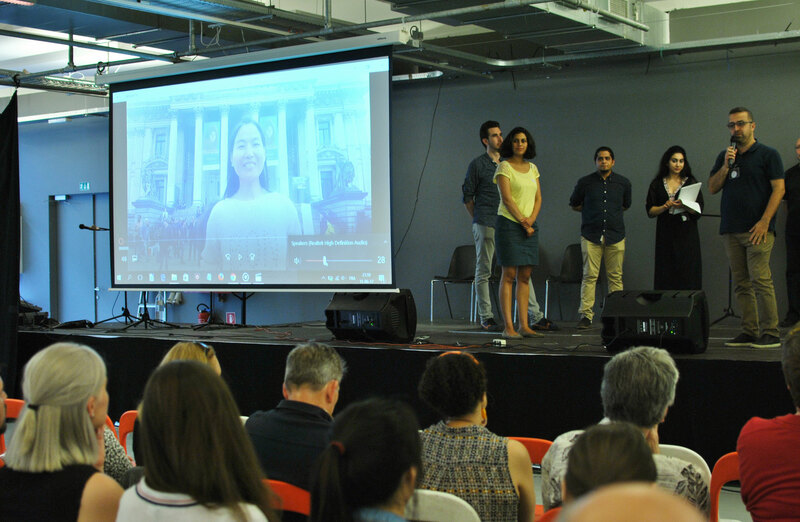 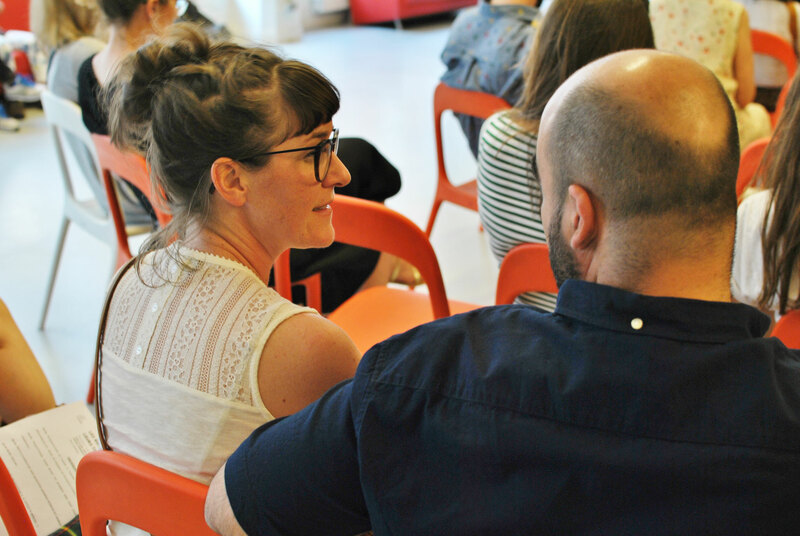 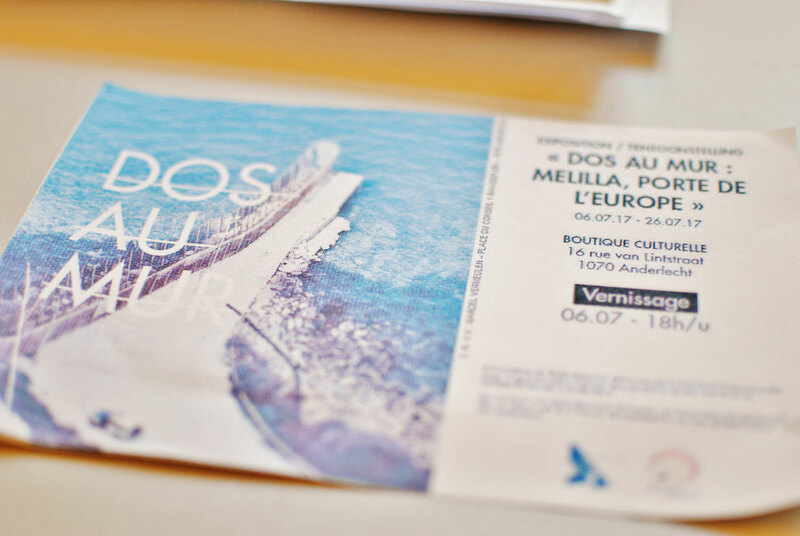 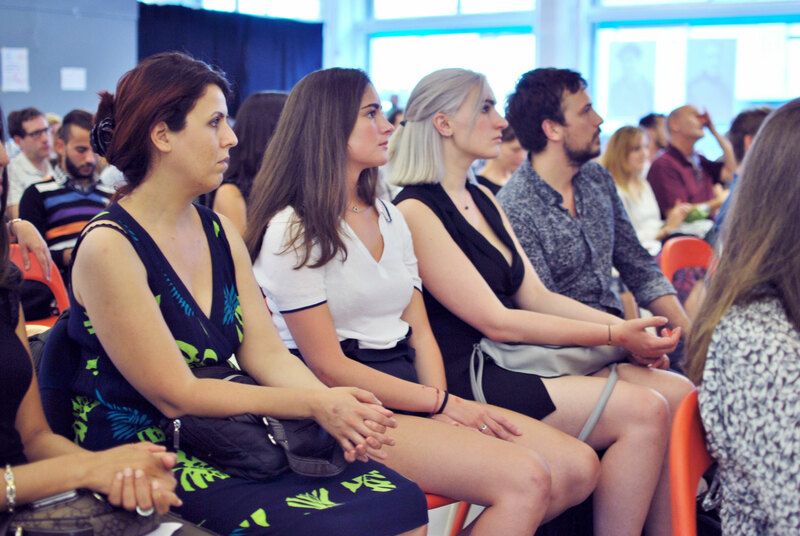 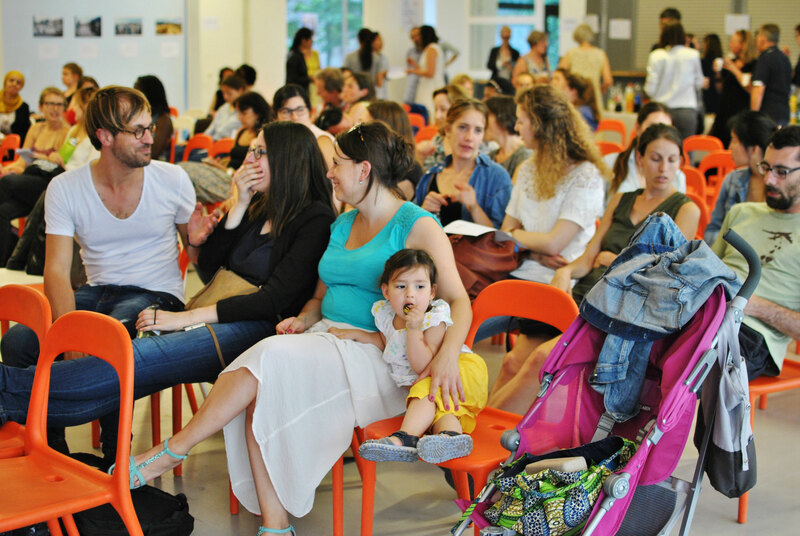 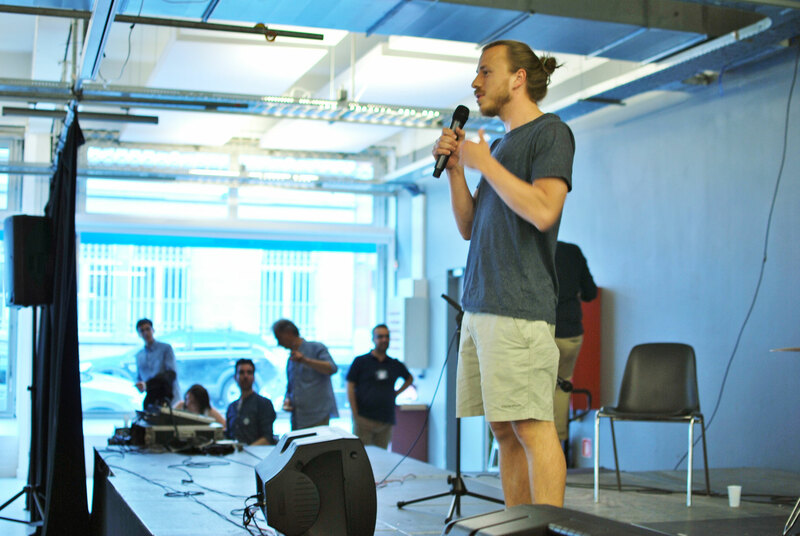 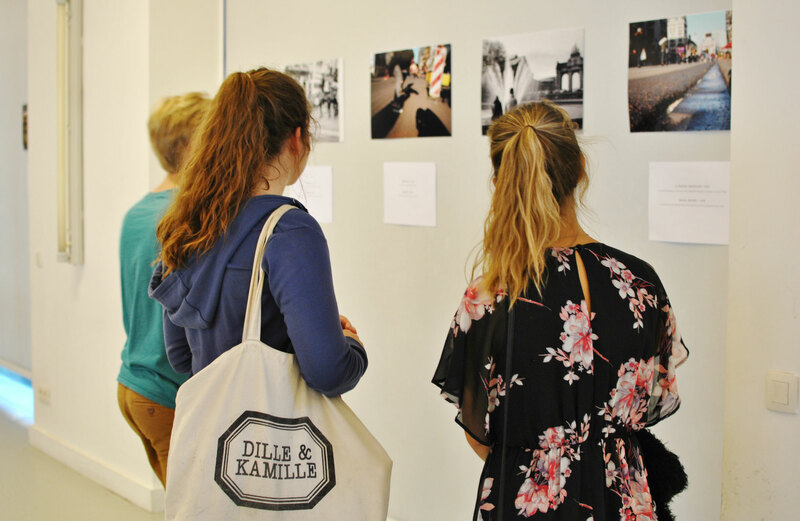 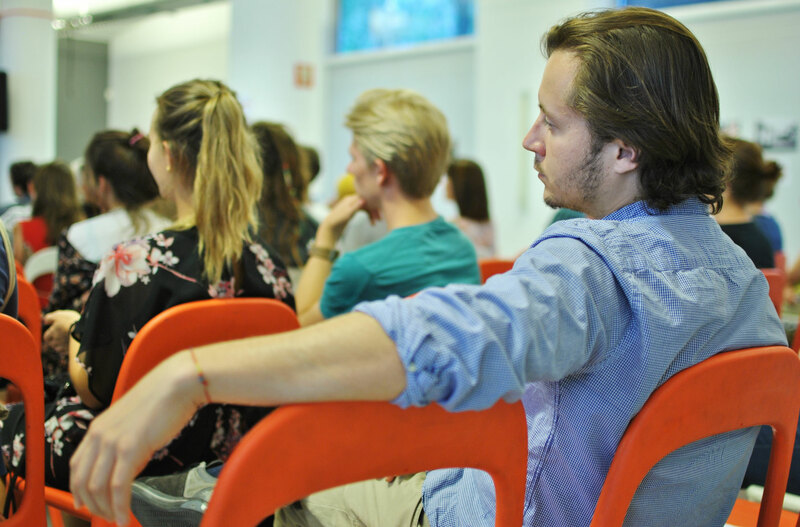 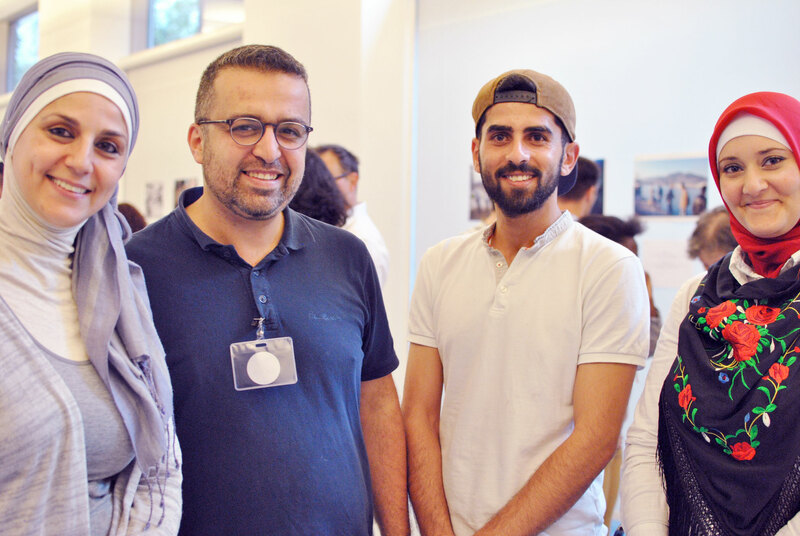 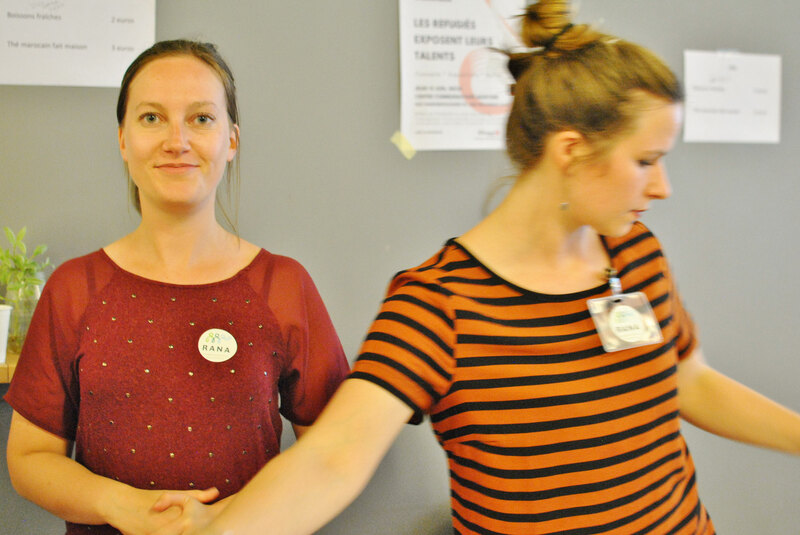 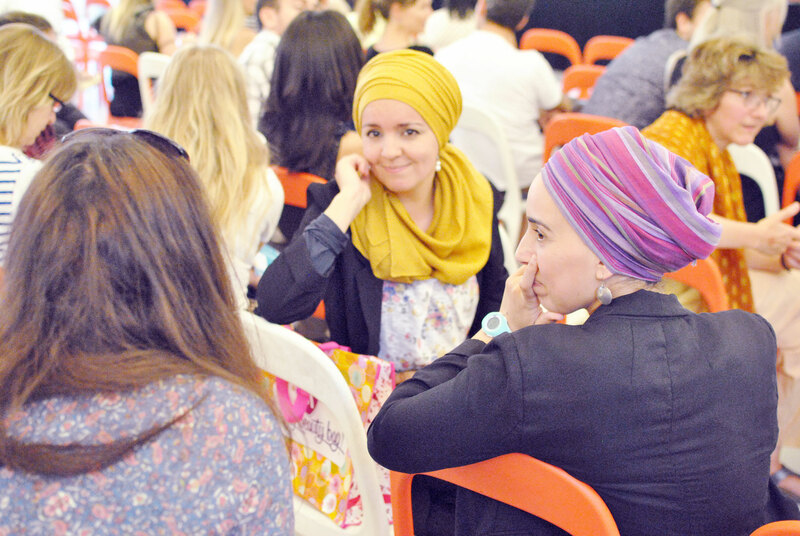 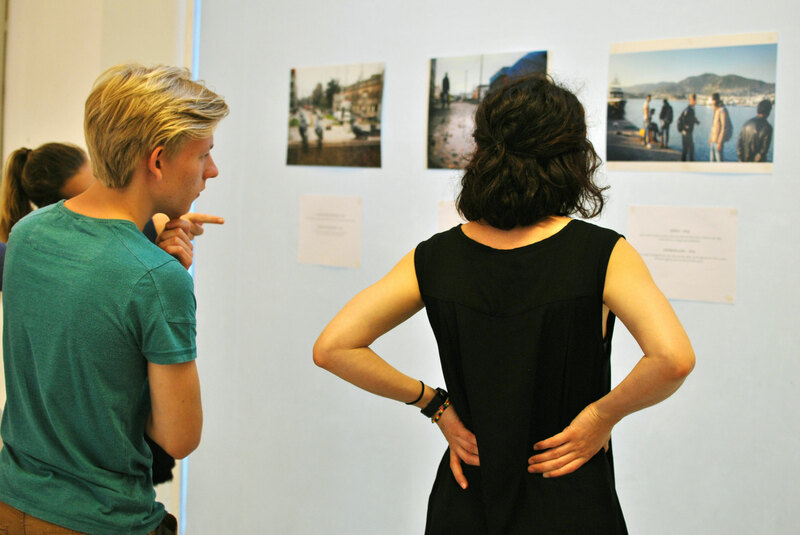 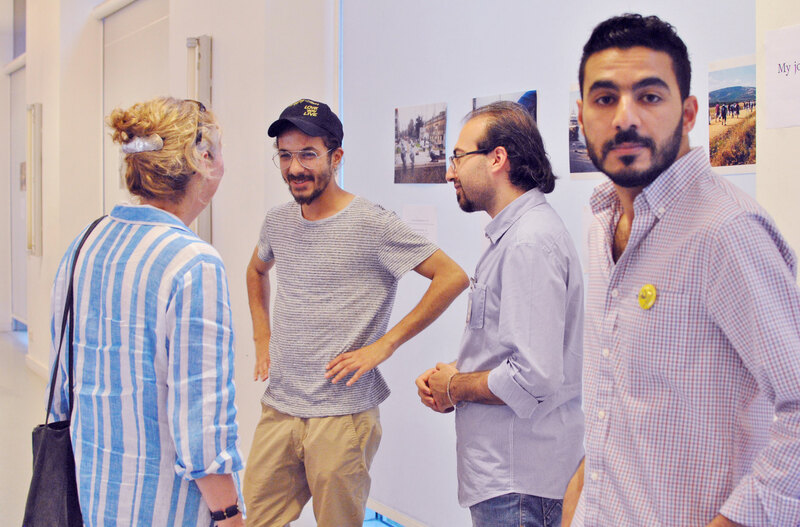 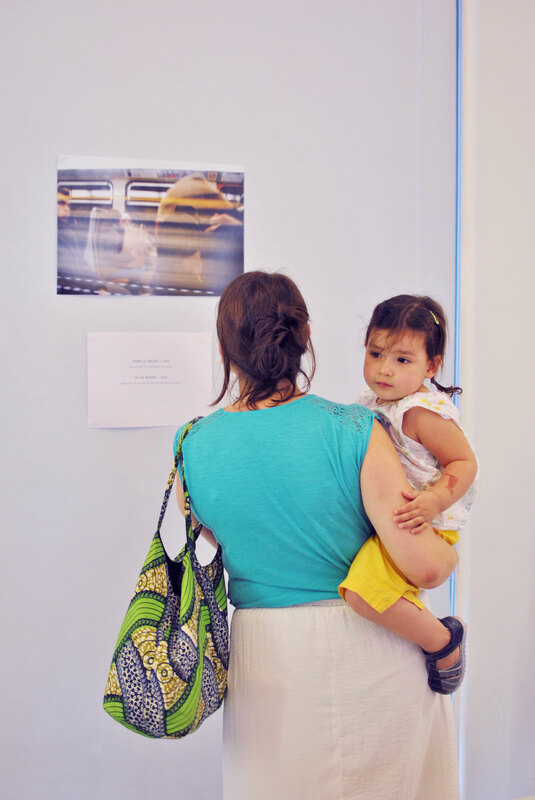 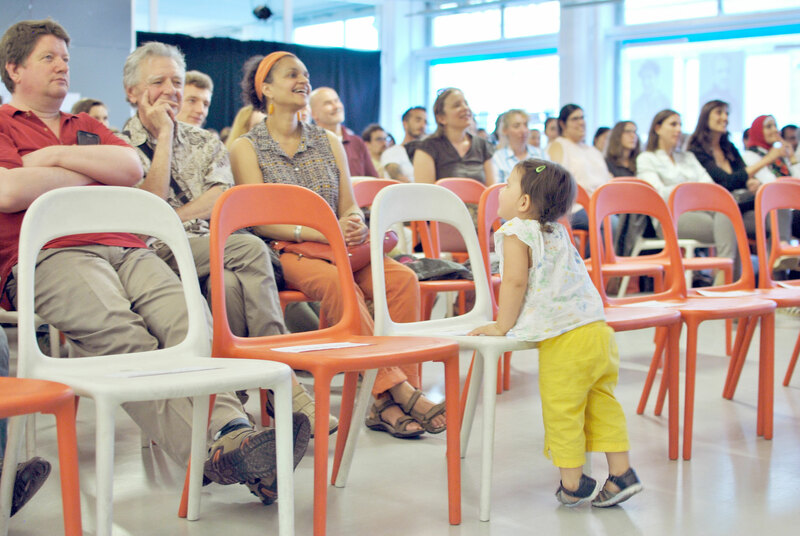 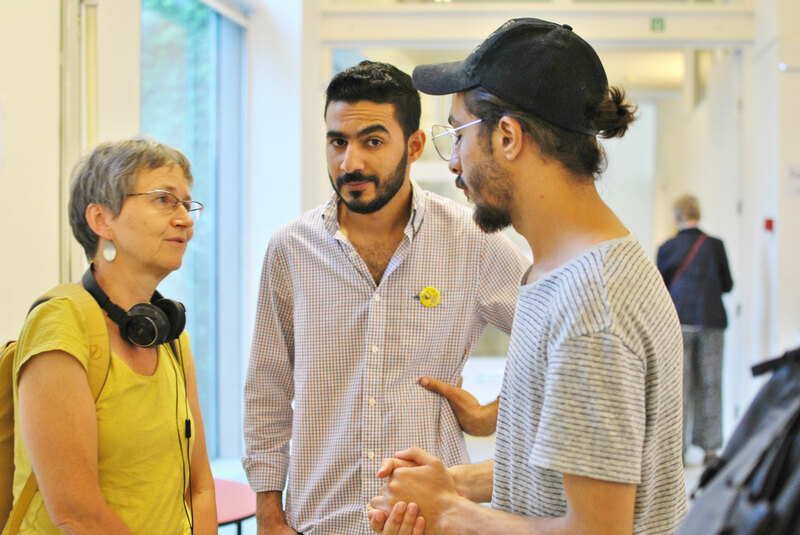 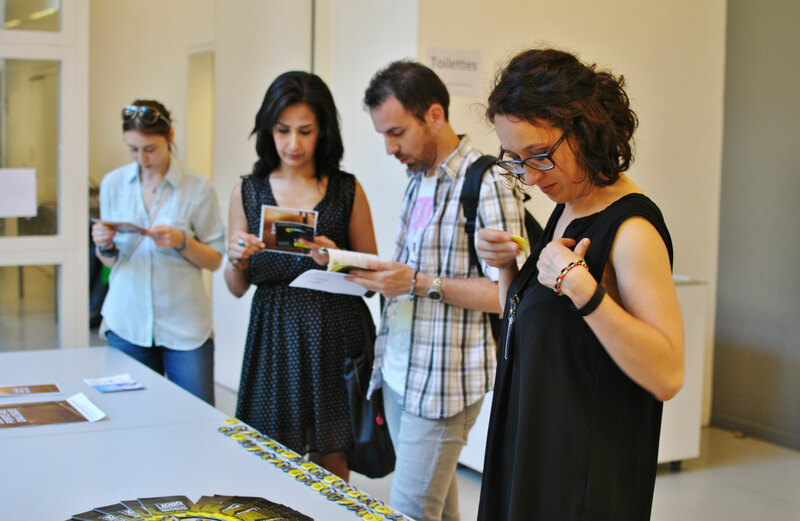 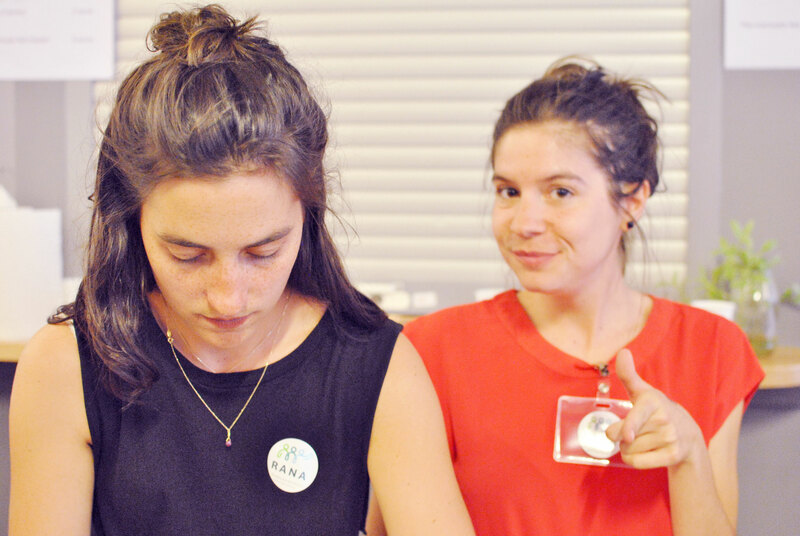 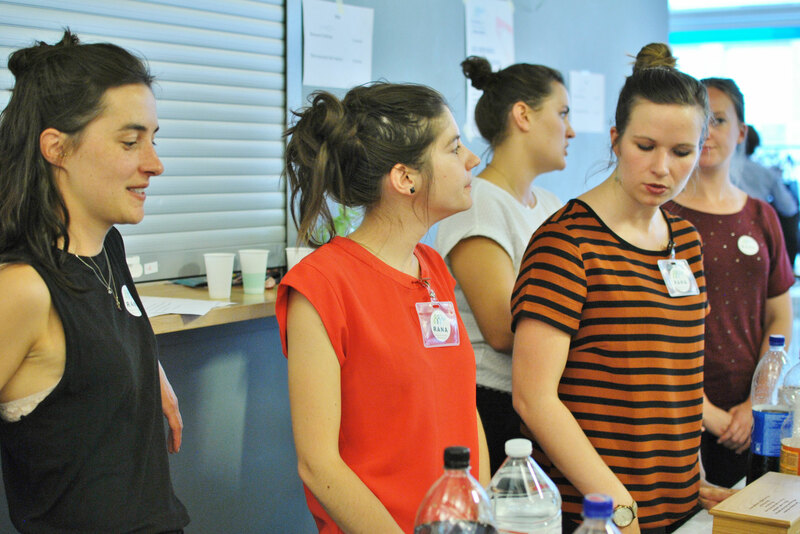 They also described their experiences to an eager audience (in French and Dutch, which they have been learning since their arrival in Europe, but also in Arabic and English). 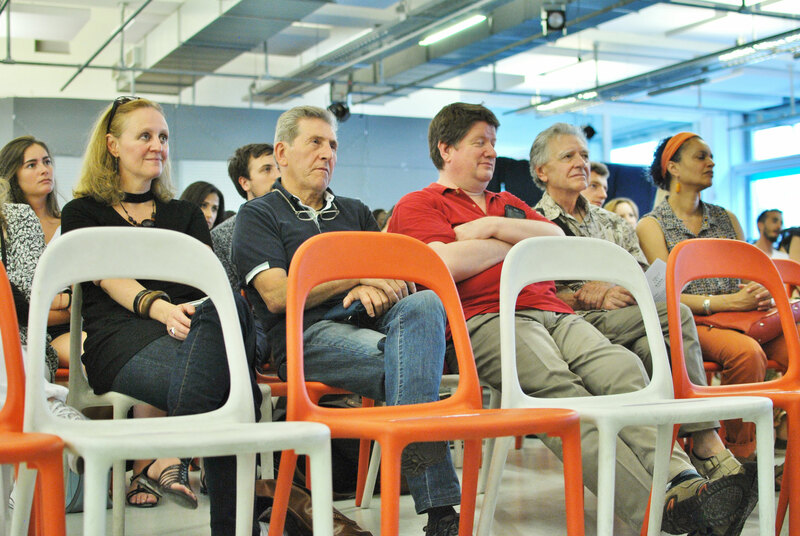 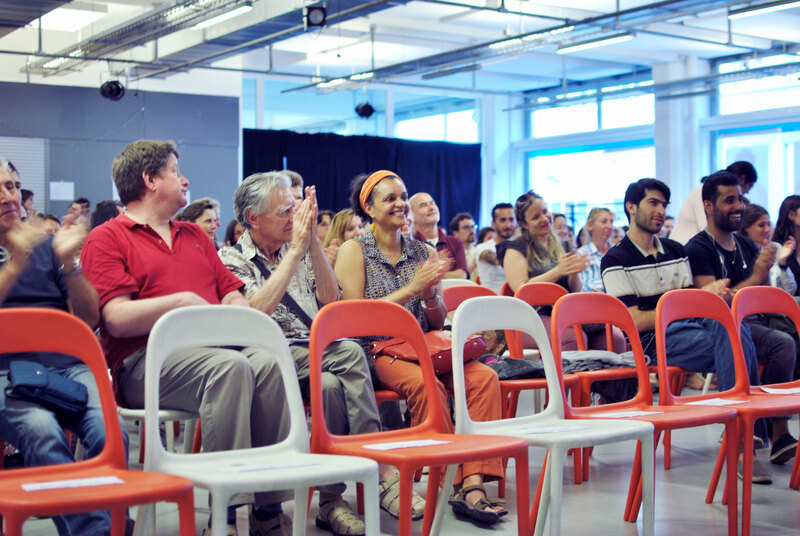 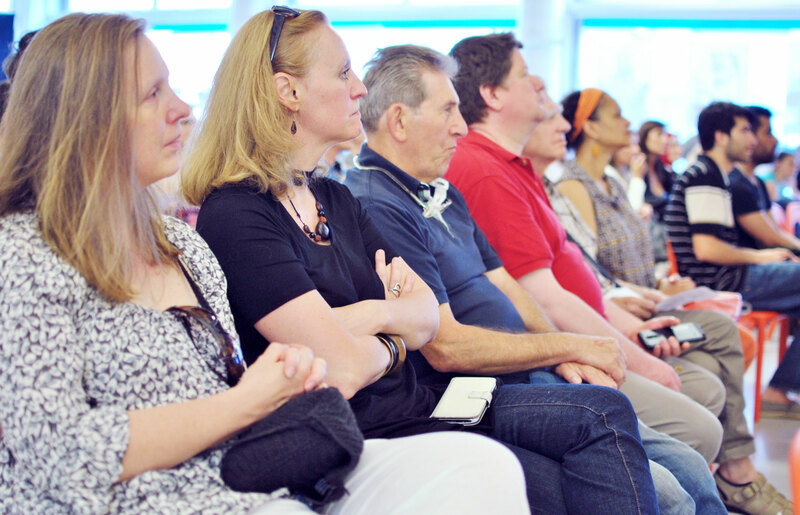 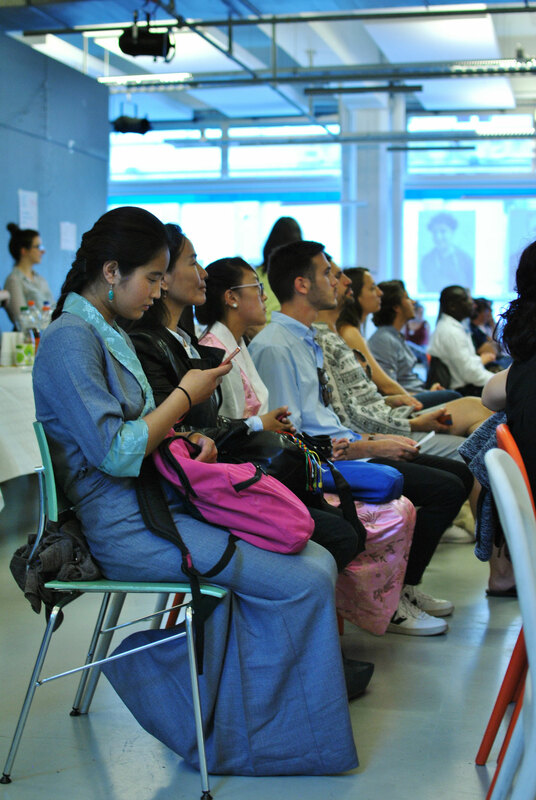 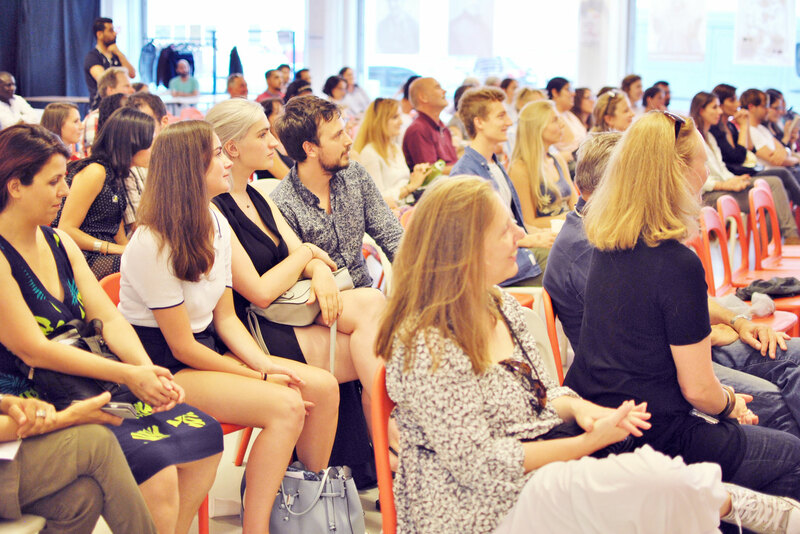 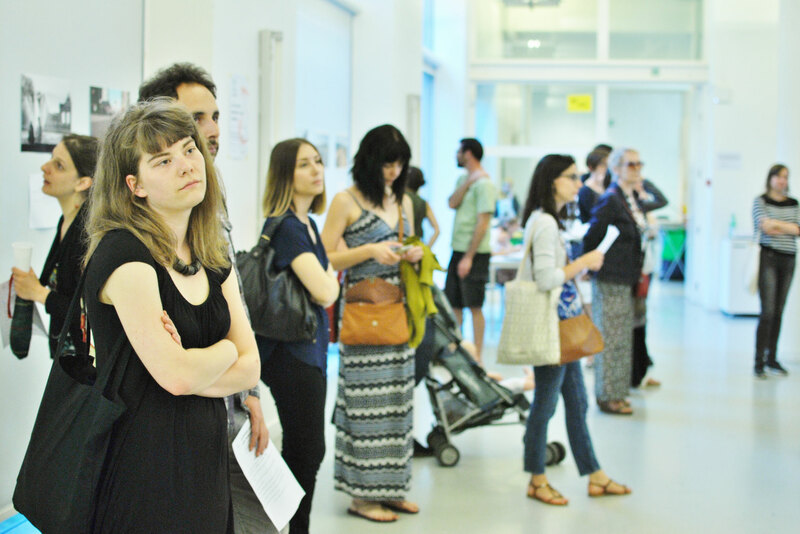 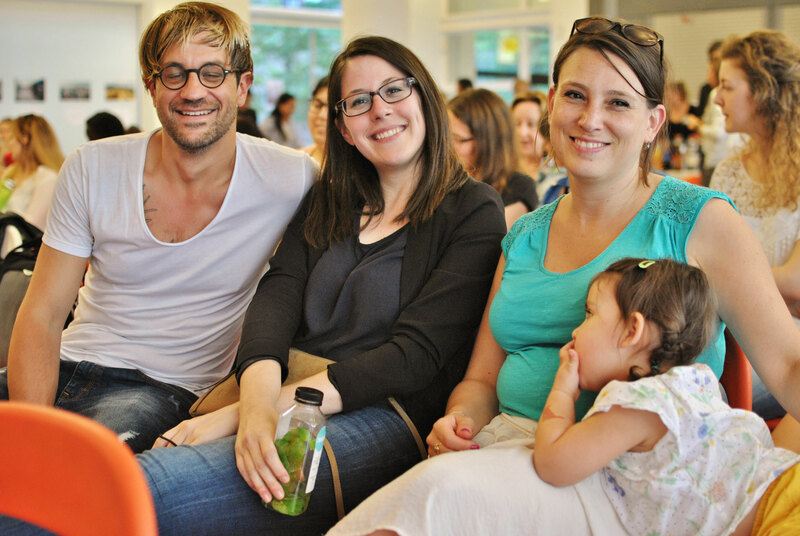 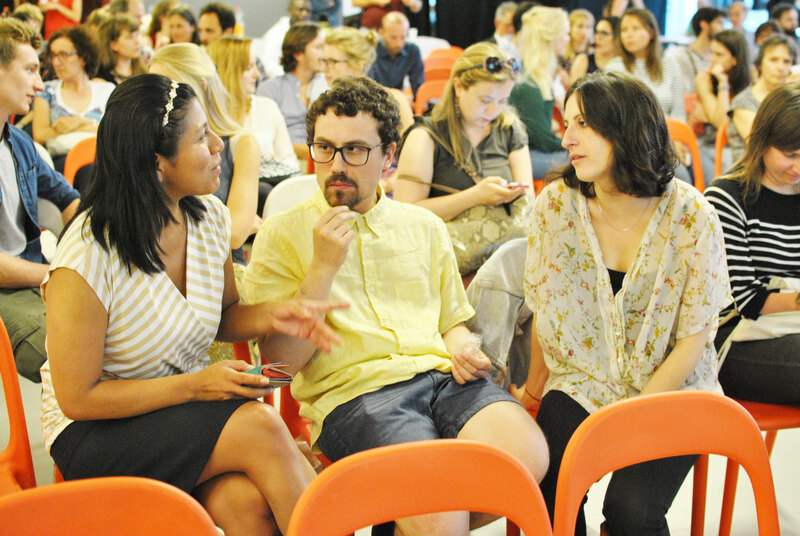 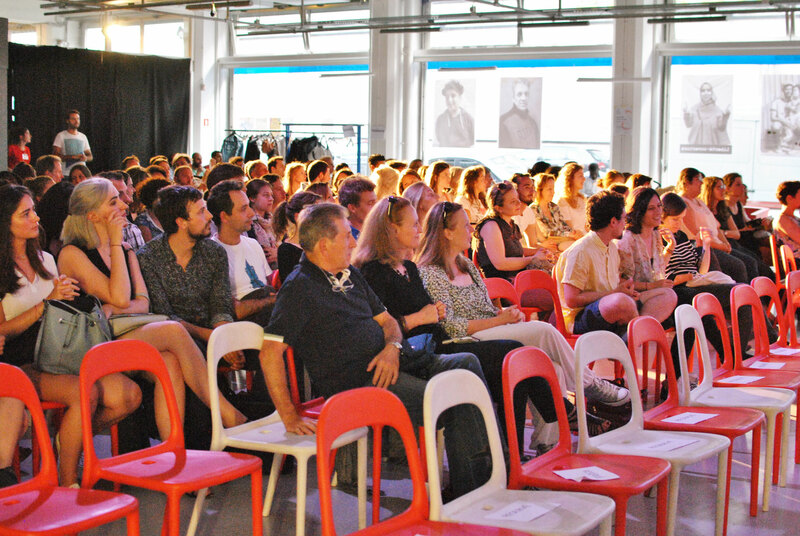 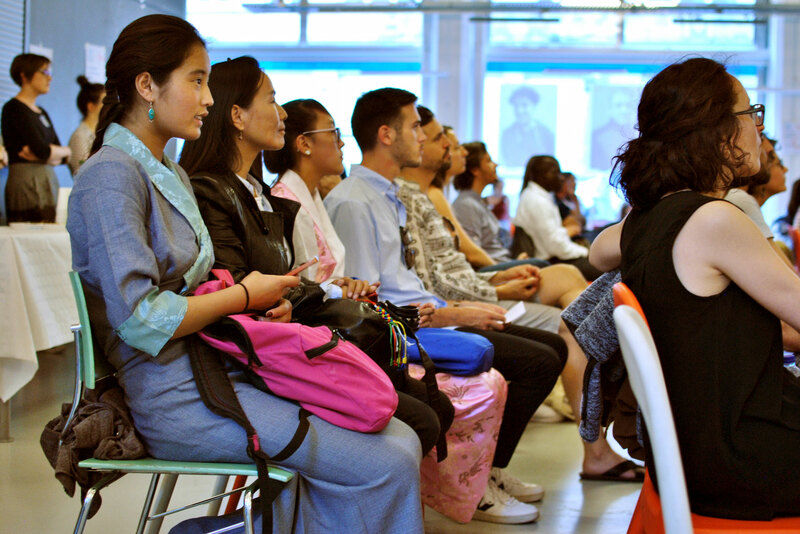 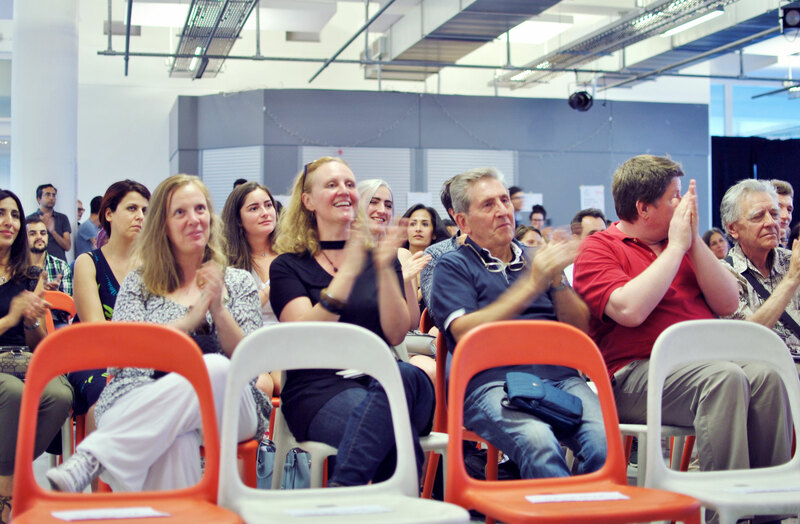 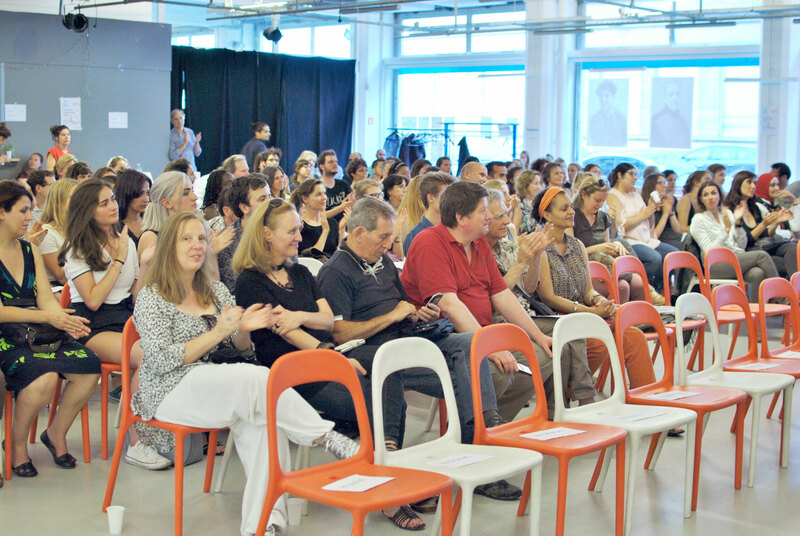 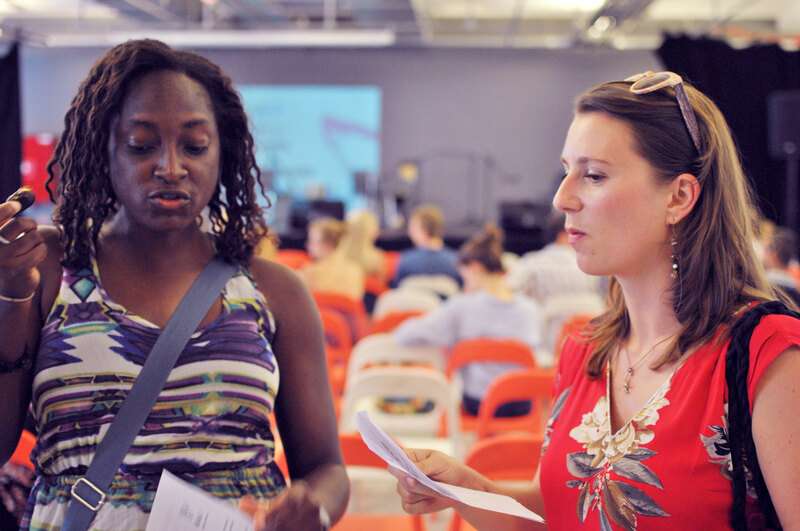 The event was attended by more than 200 people. 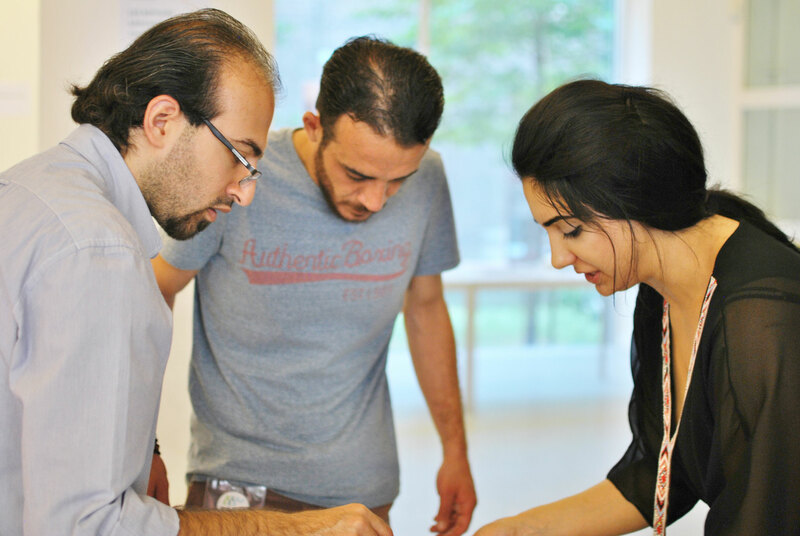 This is a family of Palestinian refugees who have arrived from Lebanon: a father, mother and two children. 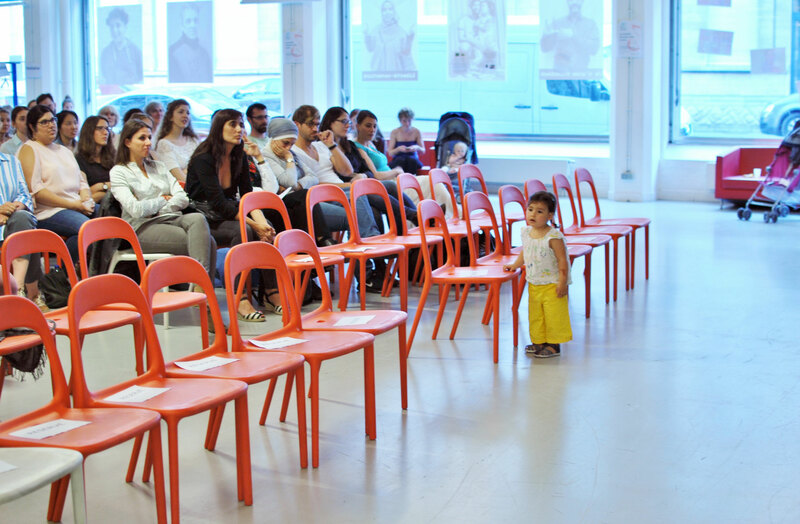 The father was arrested and placed in a detention centre over 100 kilometres from his family at the request of the Secretary of State. 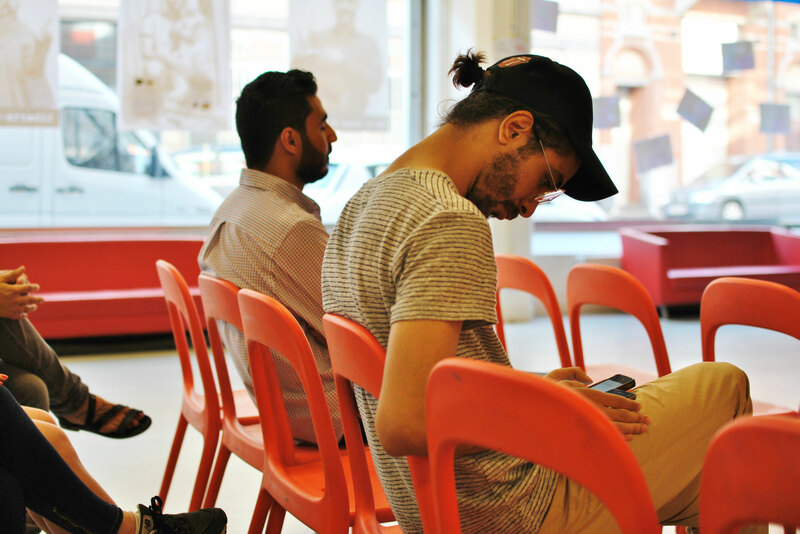 It then transpired that he had been unjustly arrested and interned. 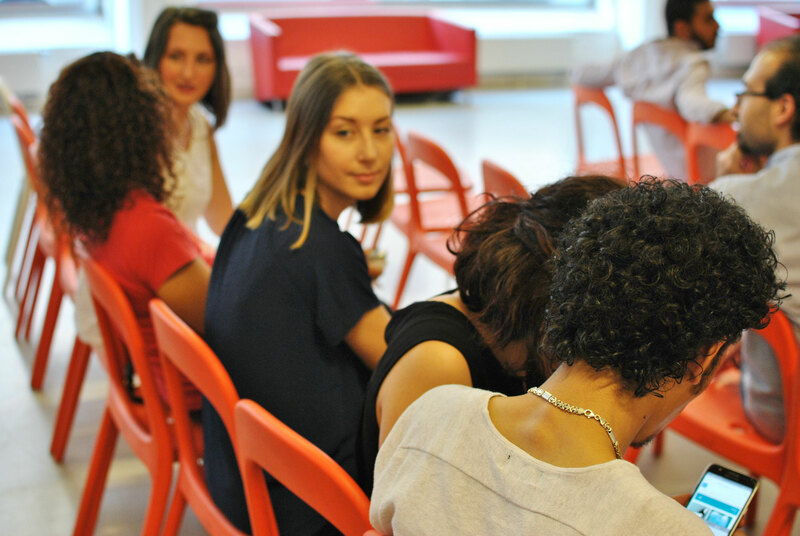 - Help with a rent deposit. 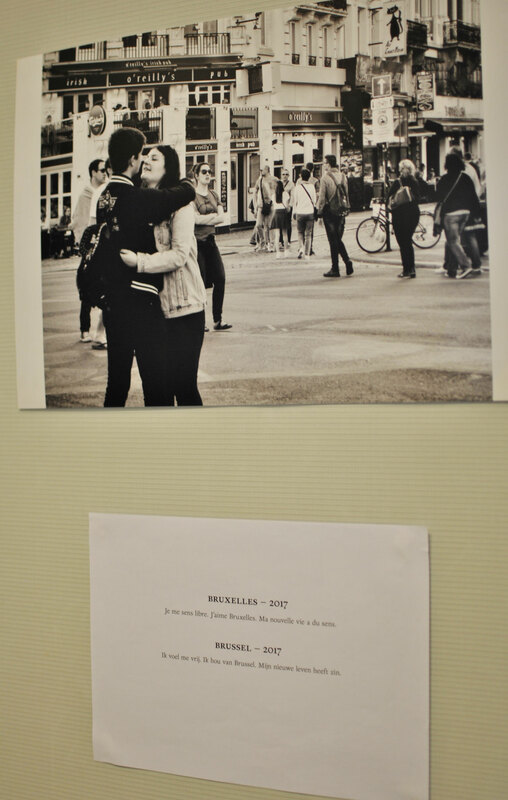 They have now been given their status as refugees and are living in Geel. 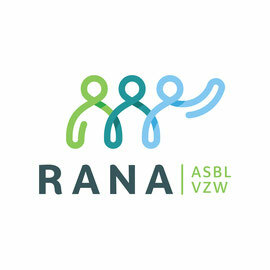 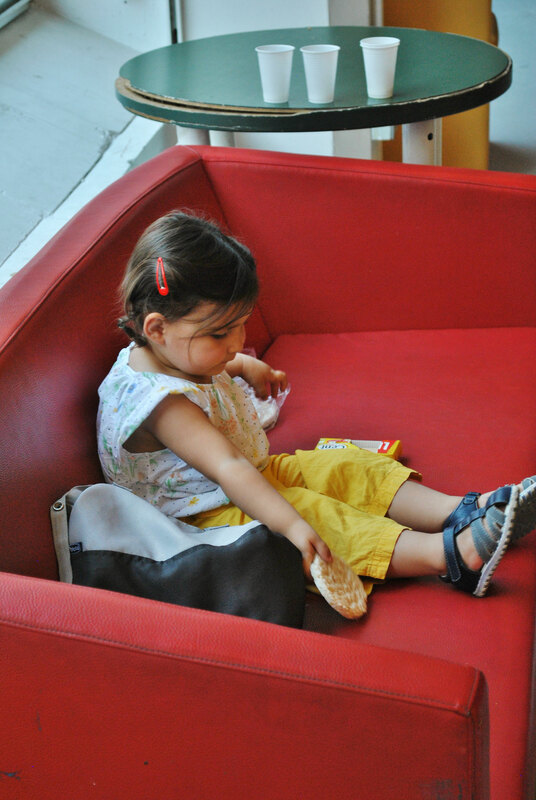 The father has created a volunteer group which wants to link up with RANA: it is active in the Geel area. 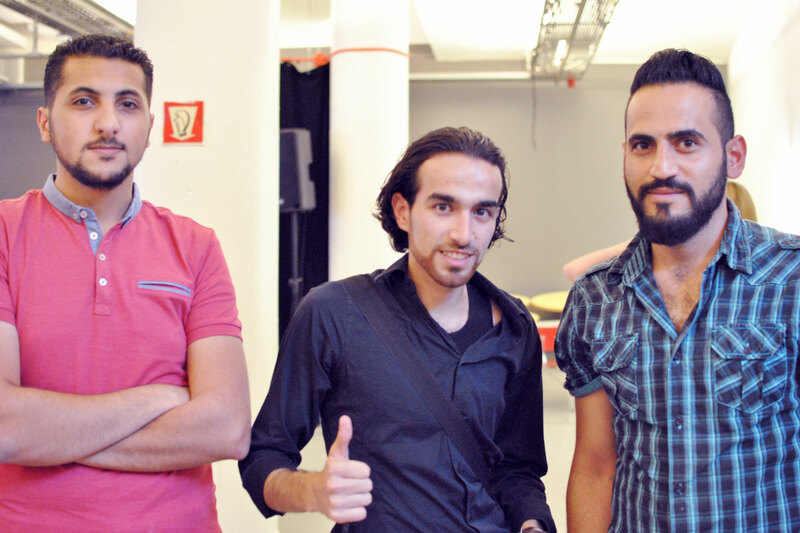 In the photo (from left to write): Achraf (member of RANA), the son, the father and the mother. 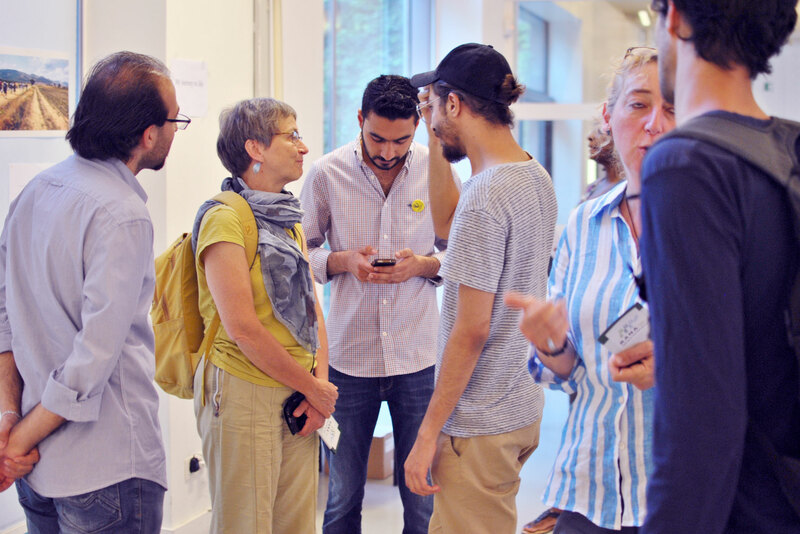 The family is explaining its project to RANA during a meeting at their house. 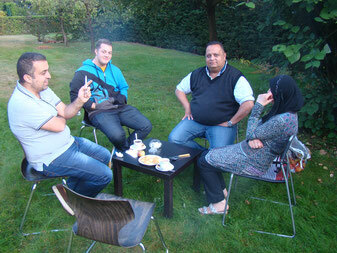 This is an Iraqi family consisting of the father, mother and three children, including a one-year-old baby. 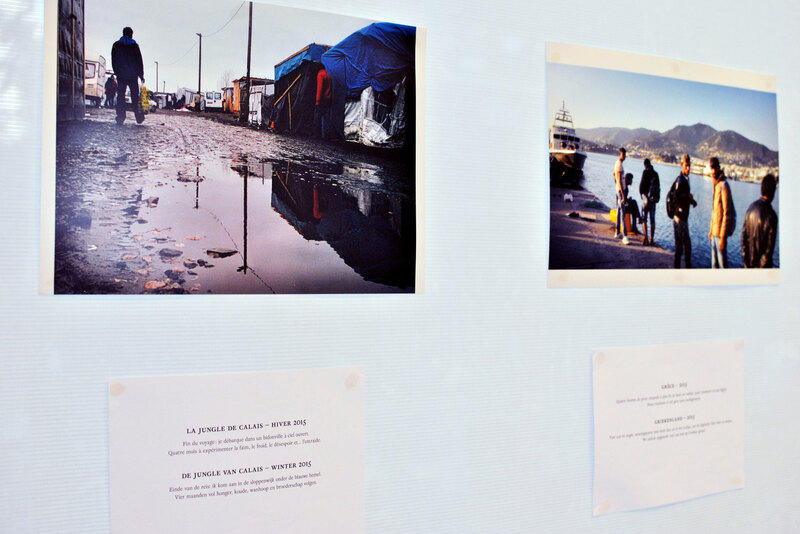 They were forced to leave their town following threats and the kidnapping of their 8-year-old son. 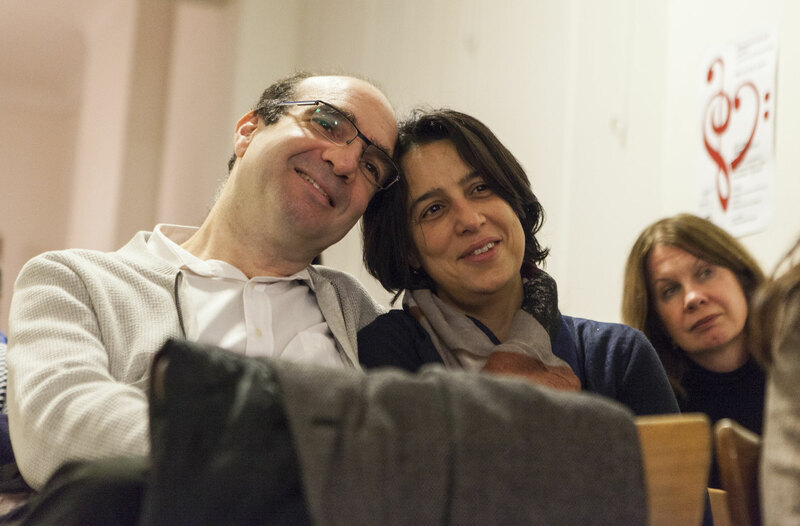 How did we help this family? 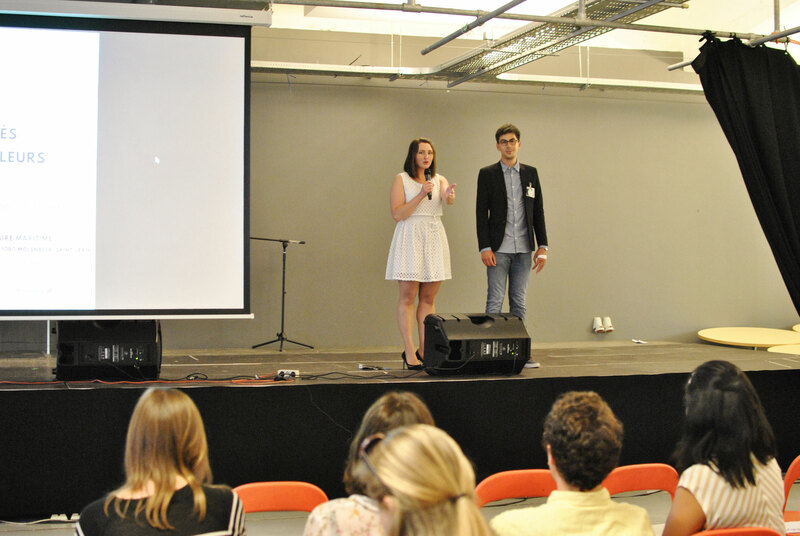 - We facilitated contacts between them and certain representatives of the media. 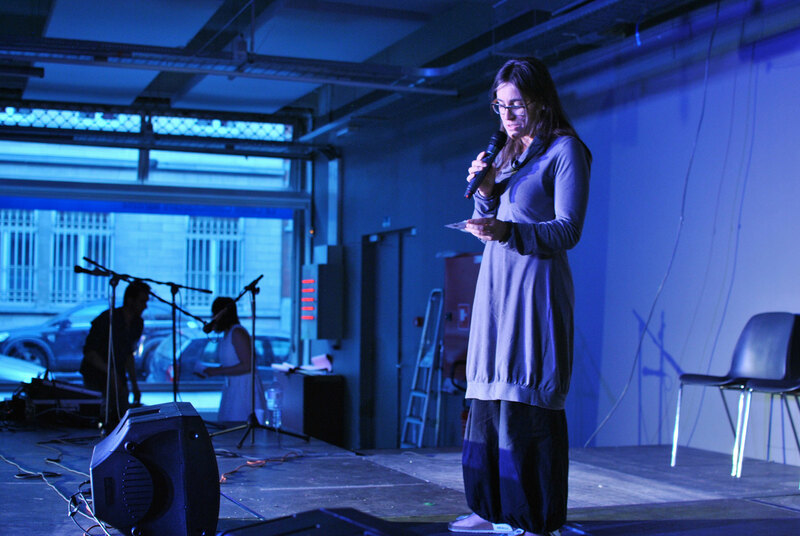 What action did RANA take? 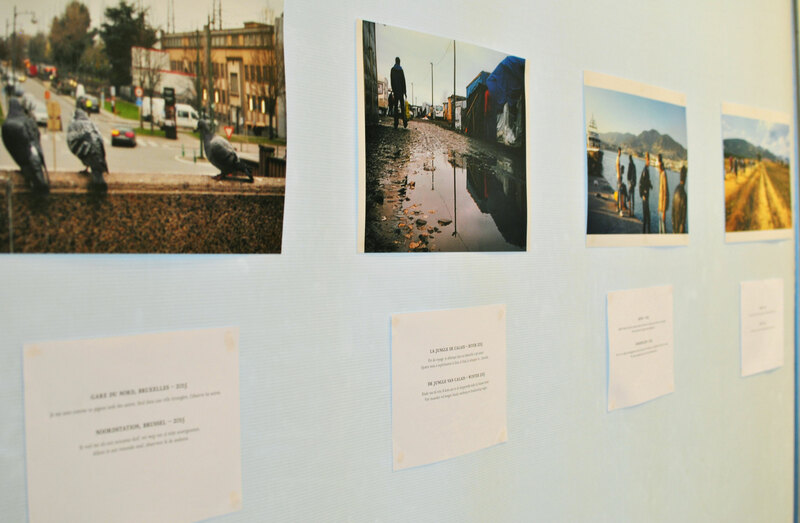 - Several calls to find out how he was getting on, including help when needed: not forgetting that this is a young man uprooted from his home environment with an overriding need for moral support.